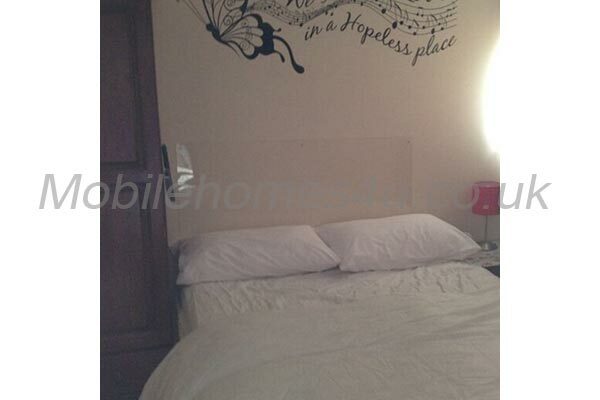 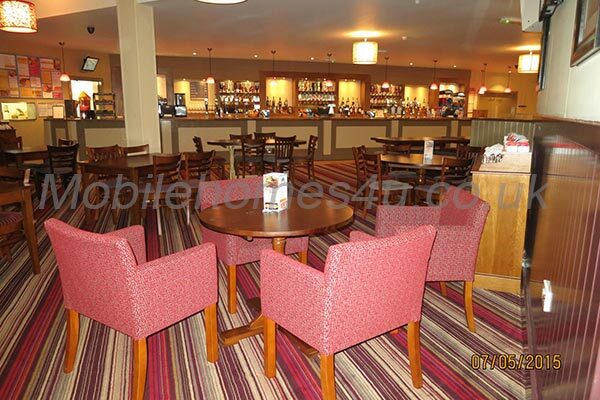 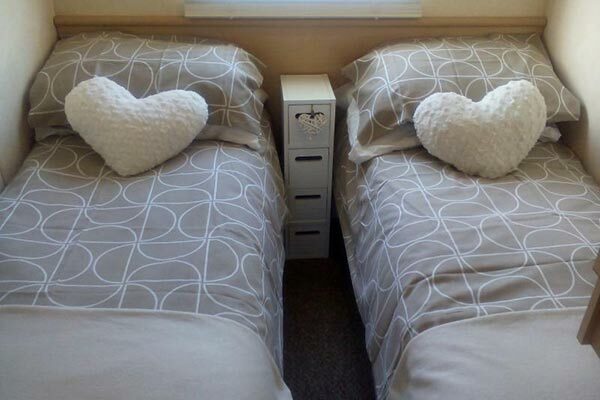 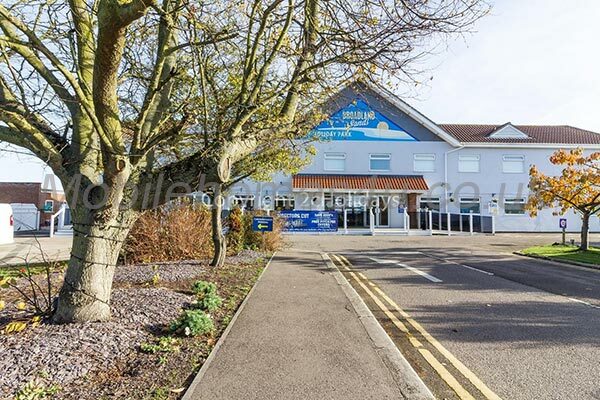 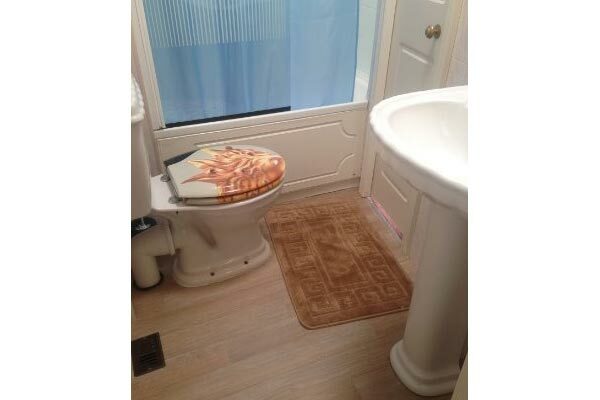 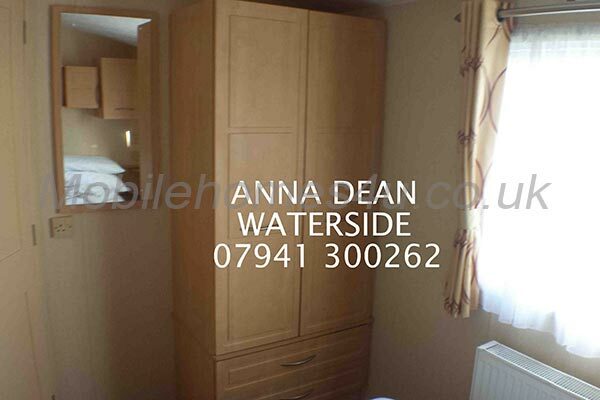 We have found 208 homes matching your search. 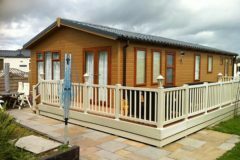 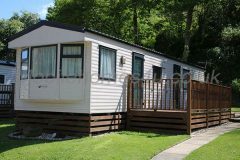 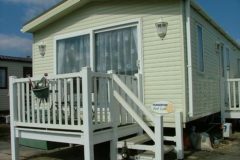 If you are wanting to hire a mobile home / static caravan in the UK there are many regions and holiday parks to choose from. 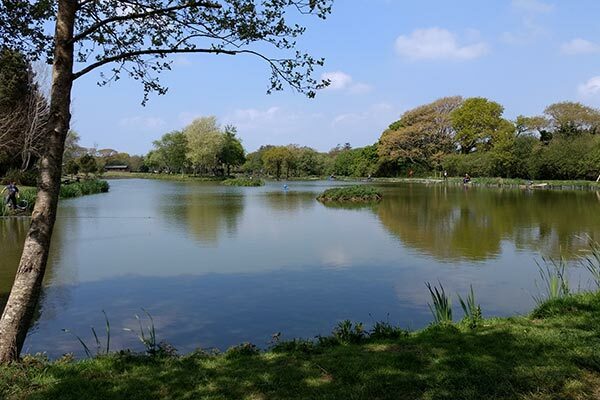 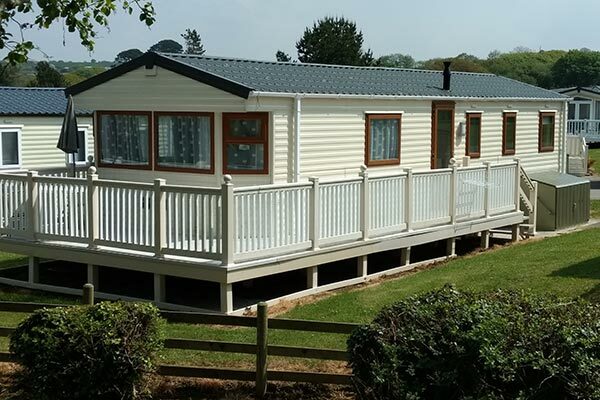 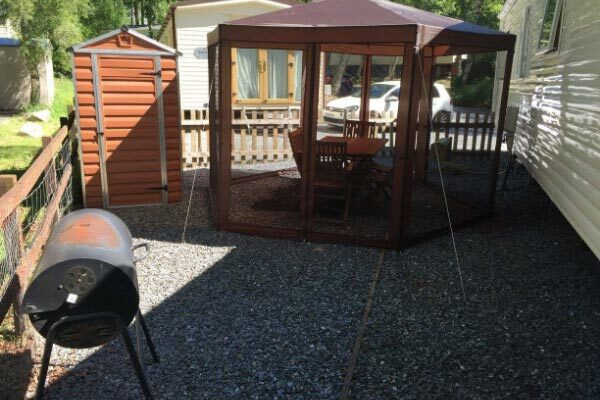 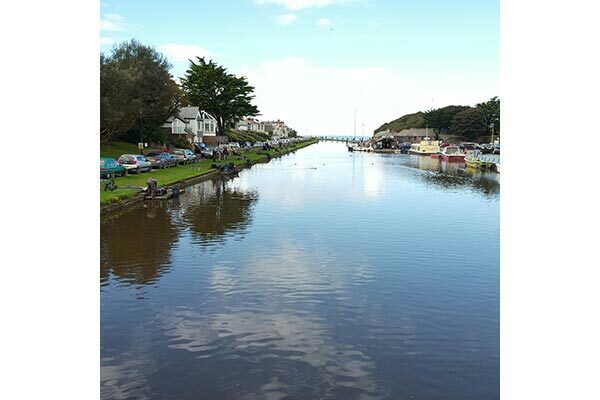 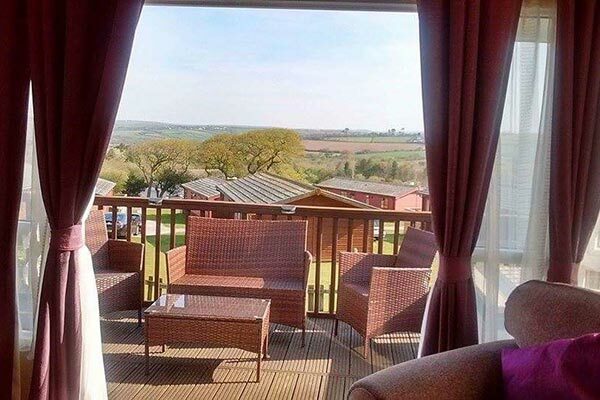 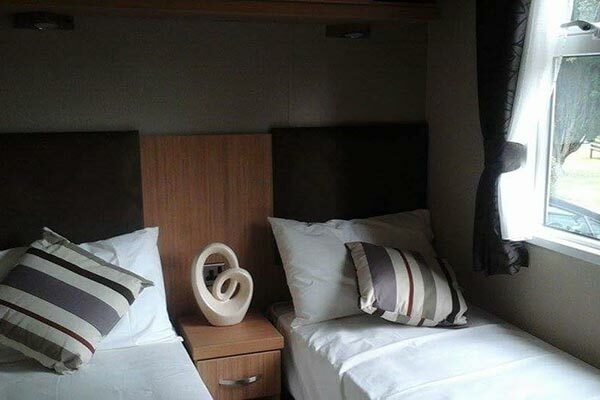 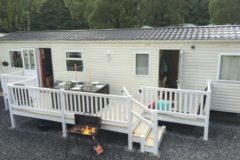 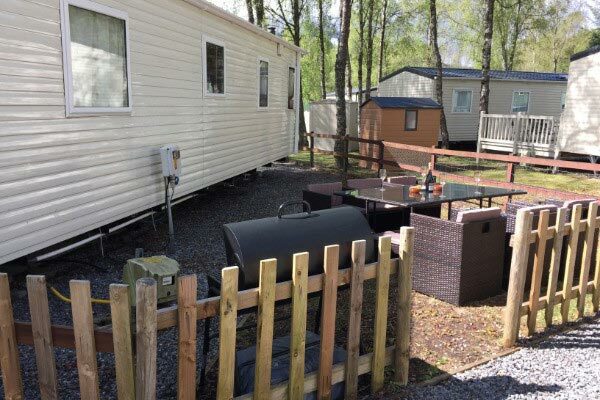 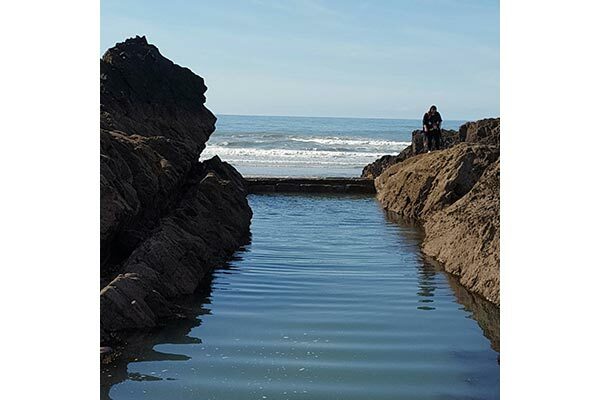 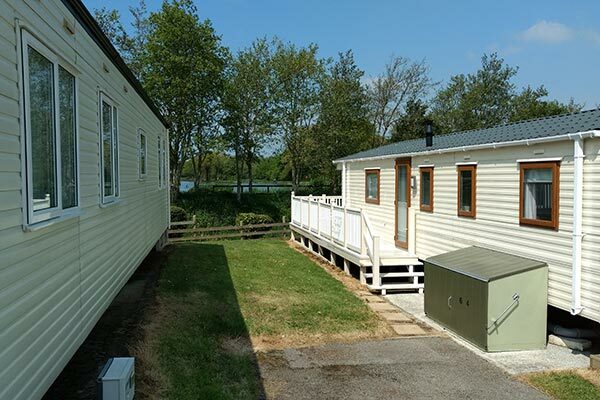 Browse through our private mobile homes in England, Scotland and Wales to find the one that is perfect for your ideal holiday. 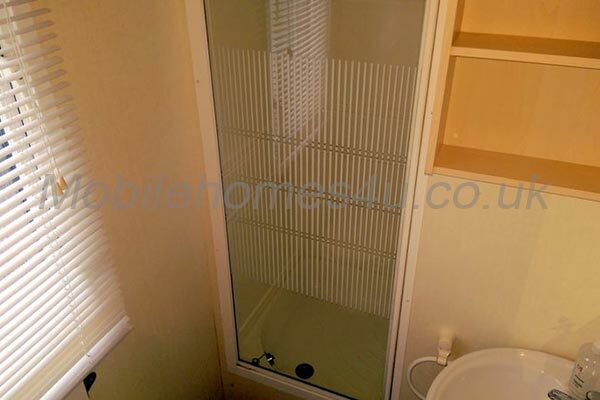 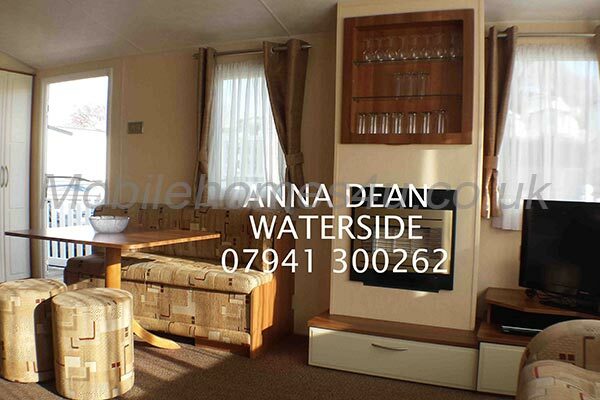 Double glazed caravan with verandah with lovely lake view. 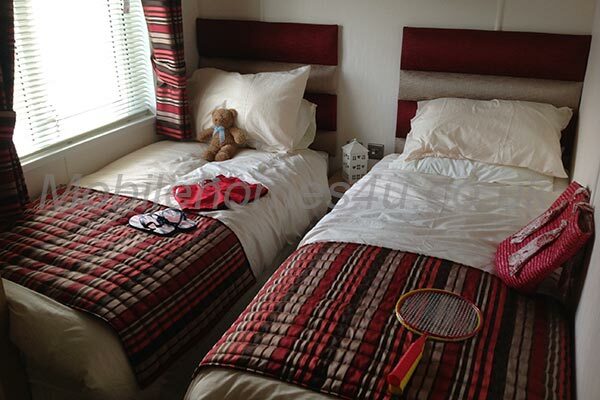 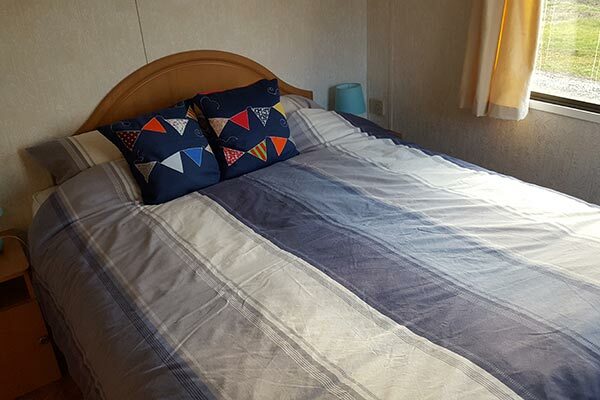 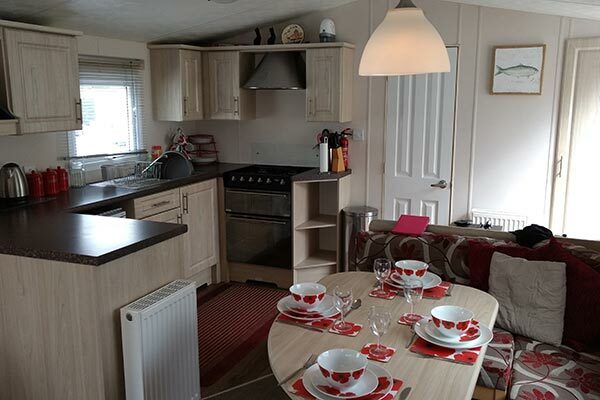 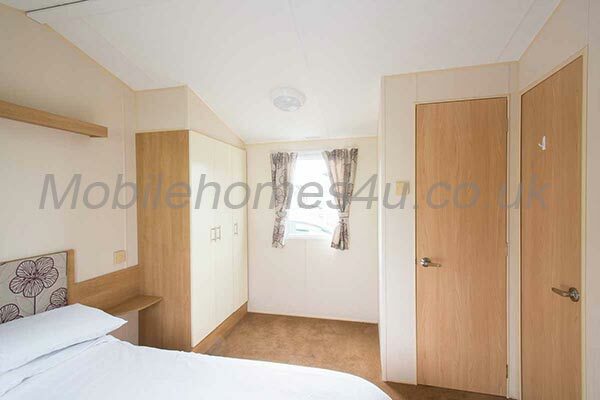 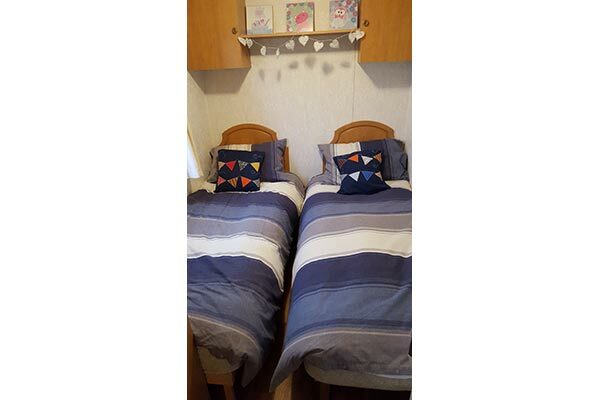 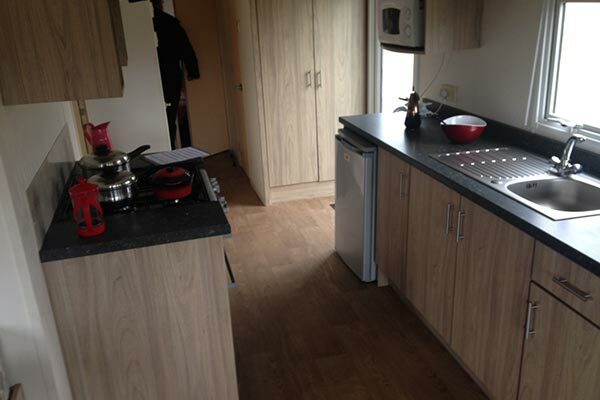 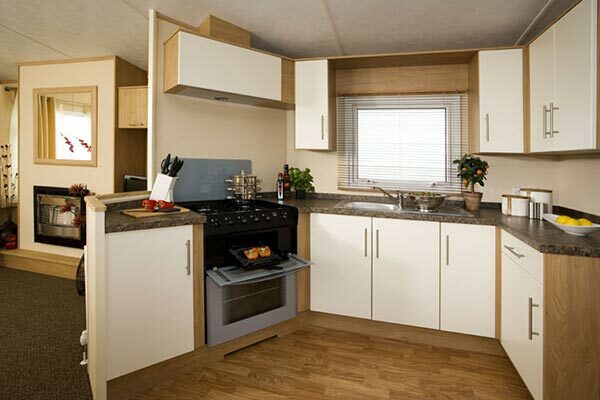 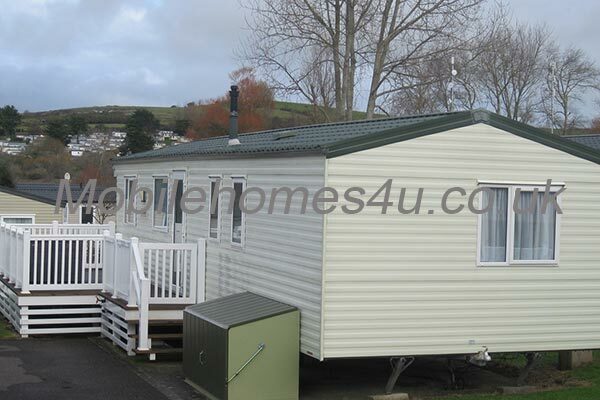 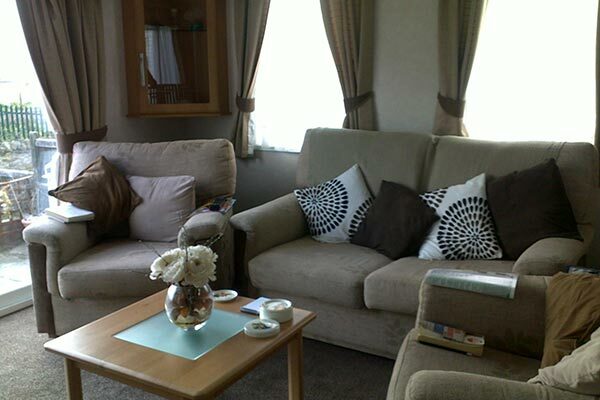 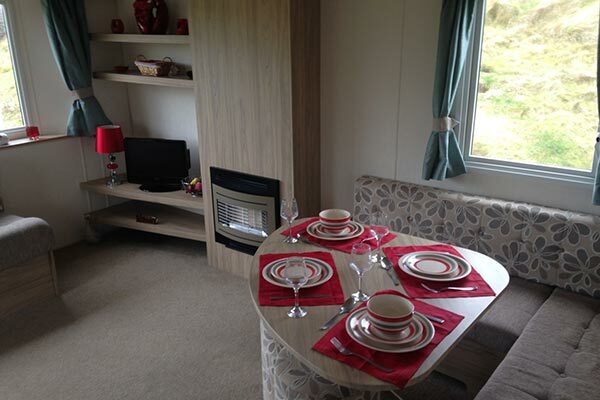 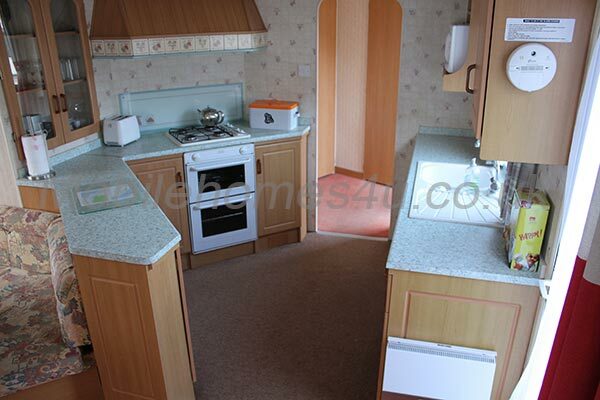 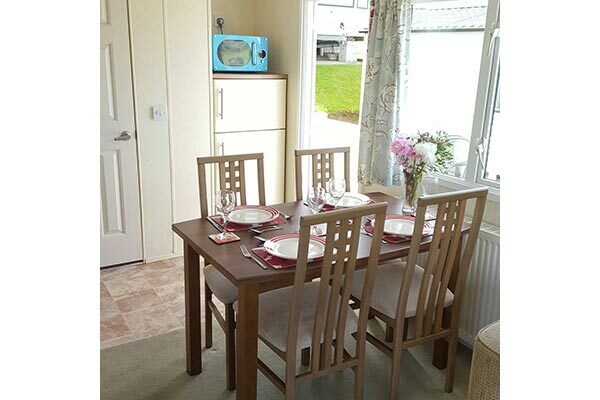 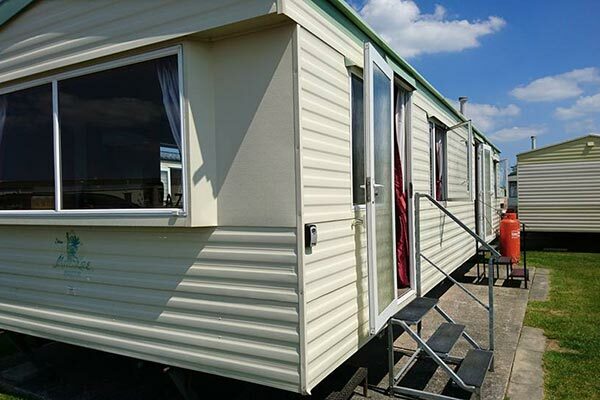 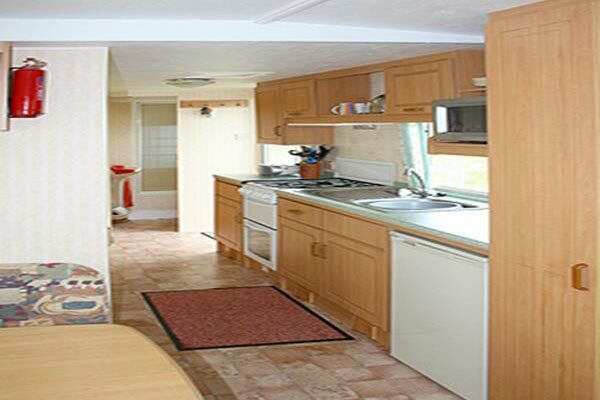 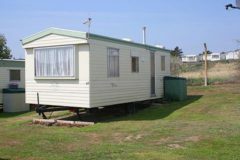 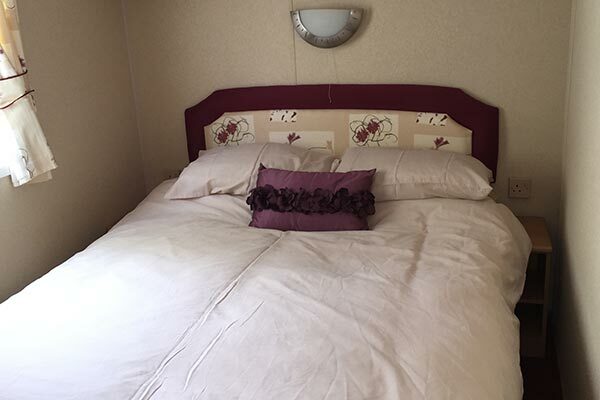 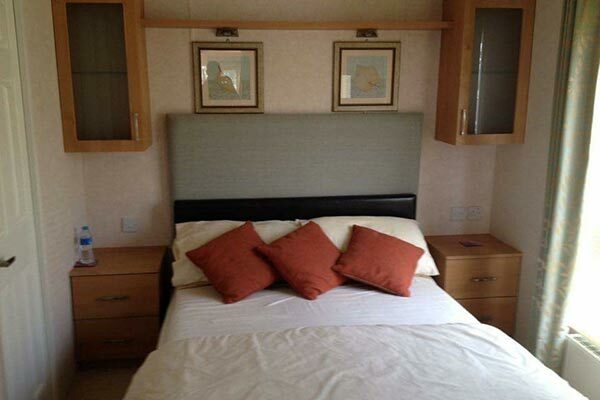 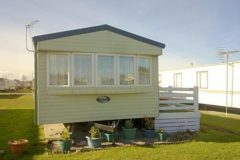 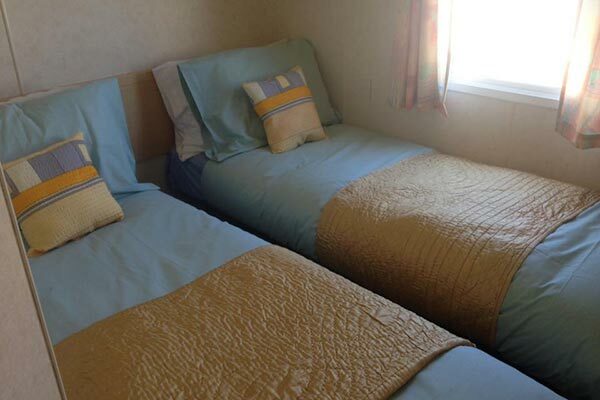 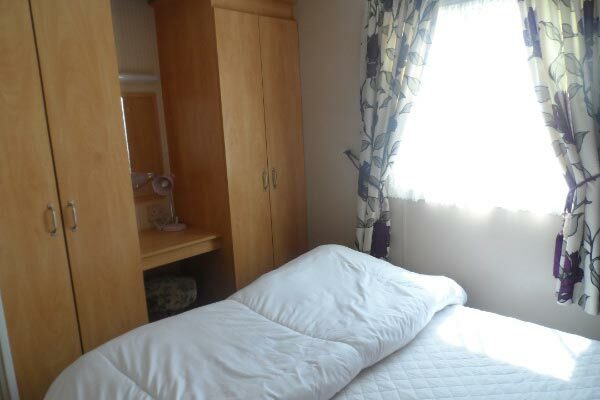 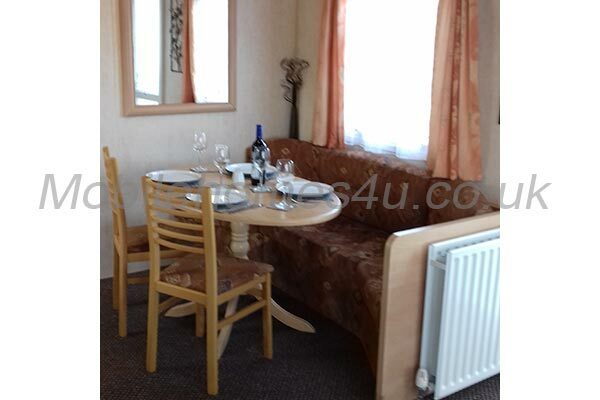 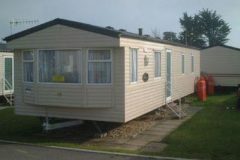 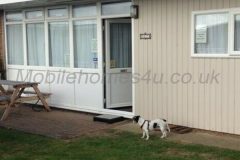 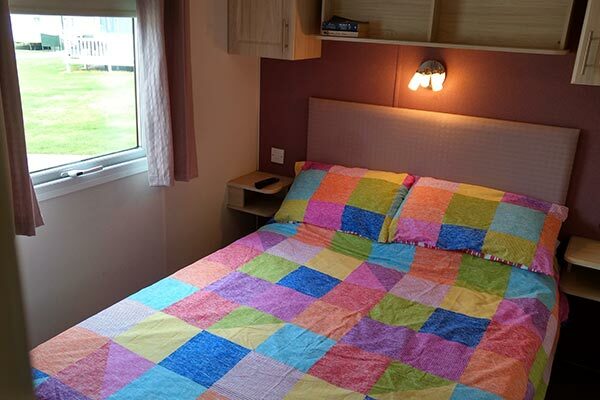 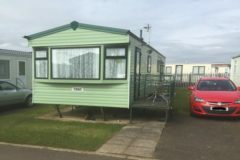 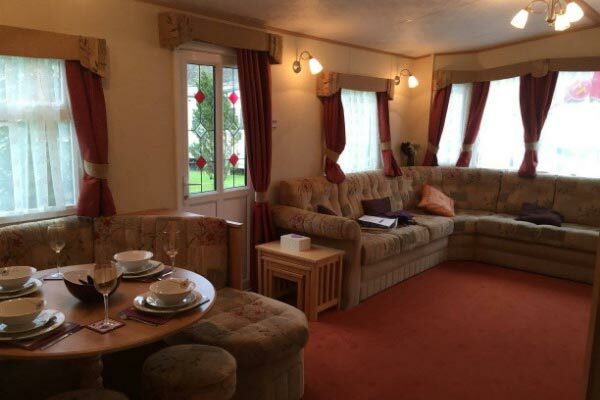 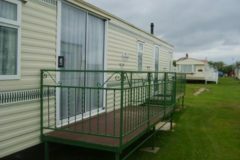 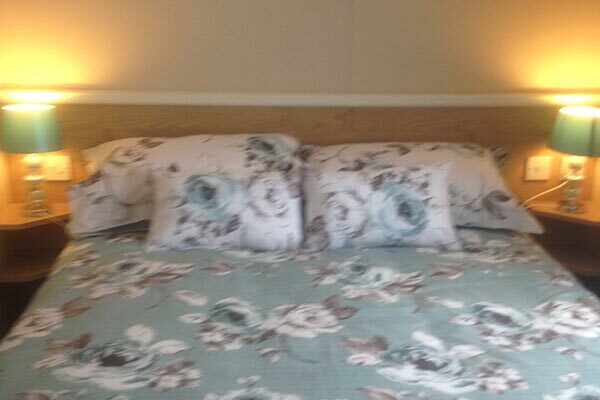 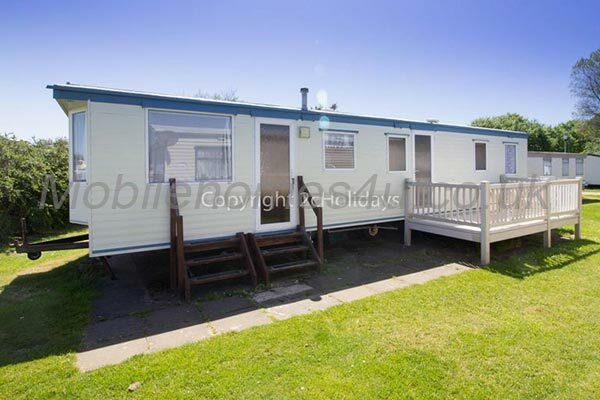 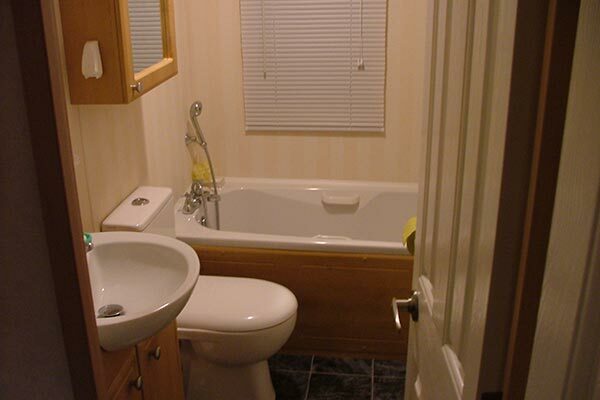 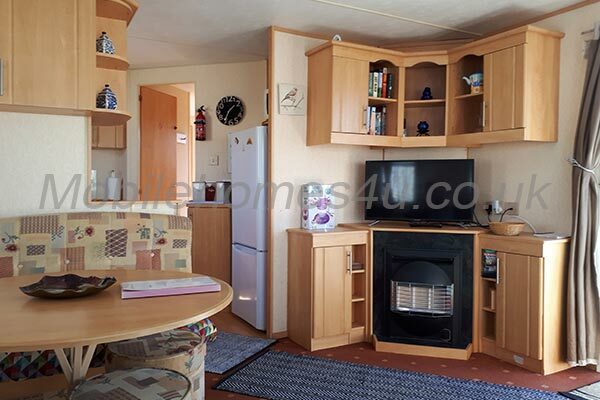 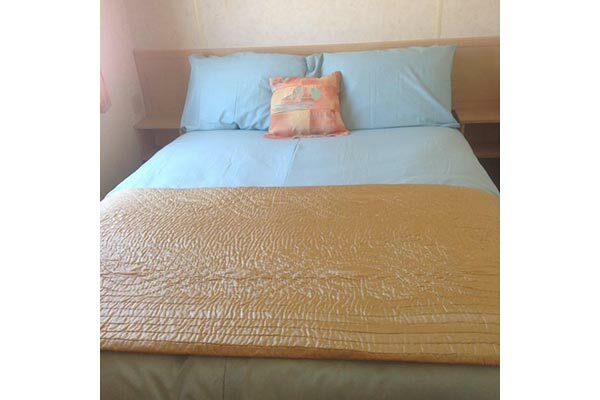 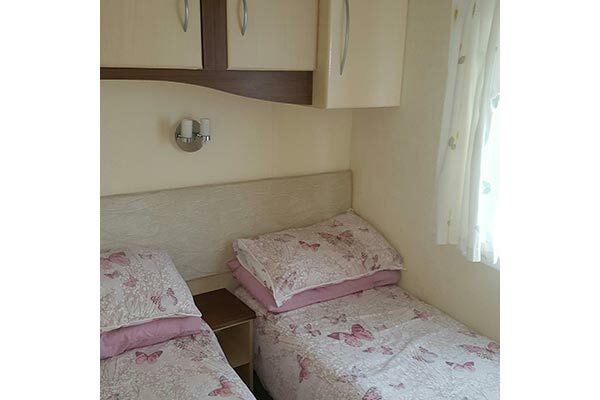 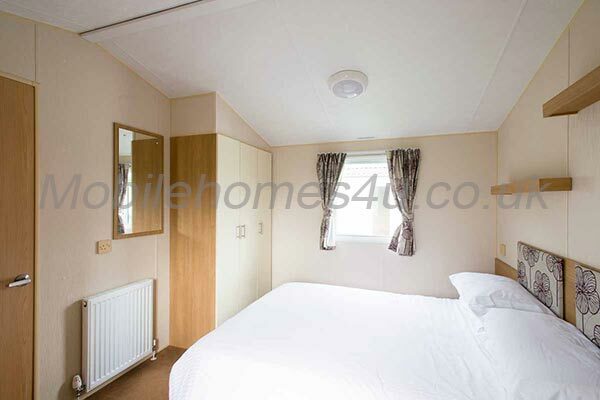 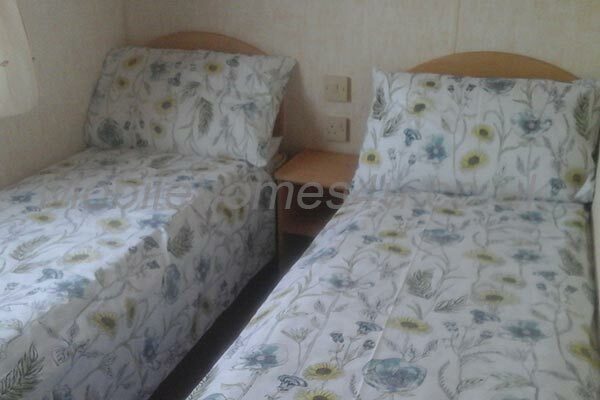 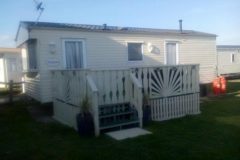 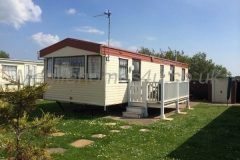 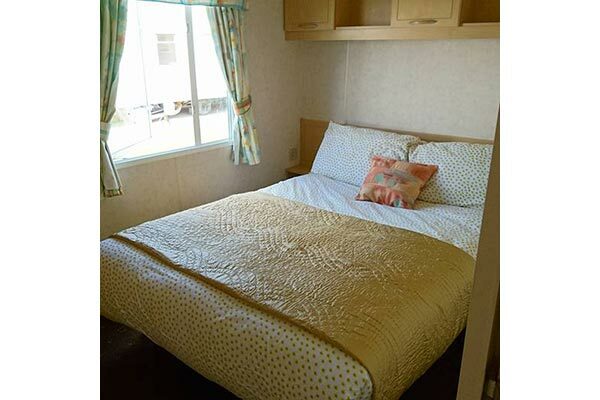 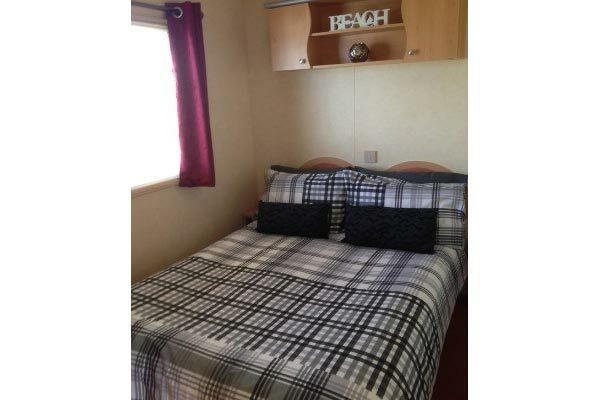 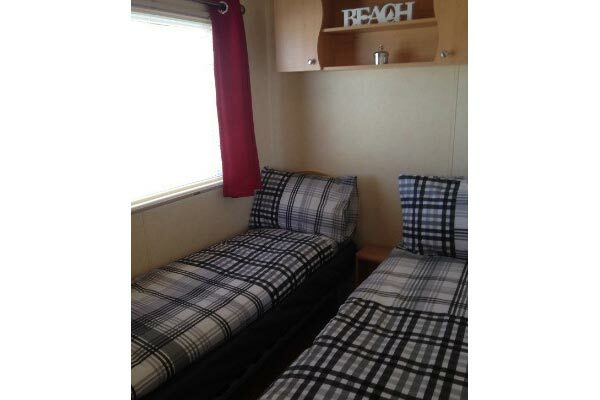 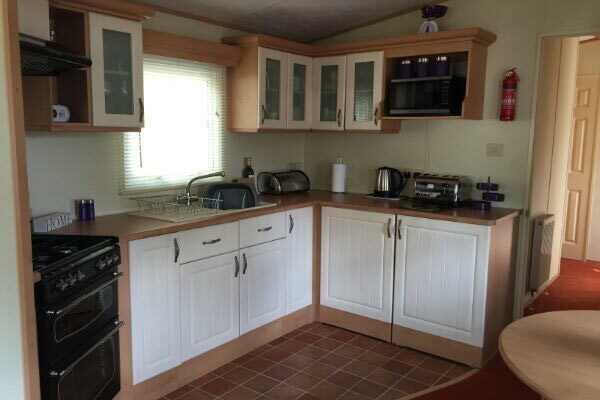 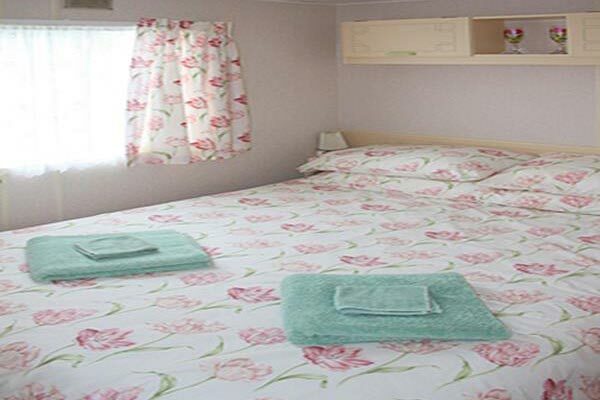 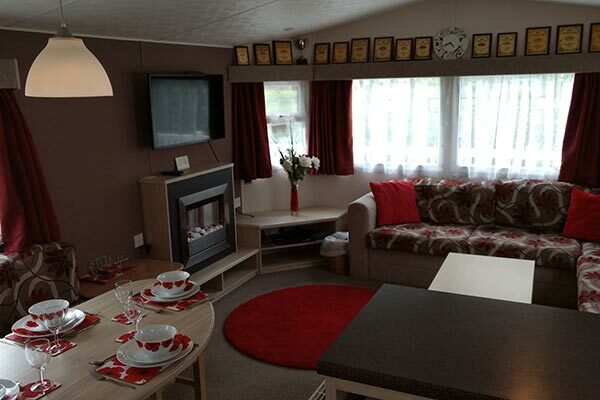 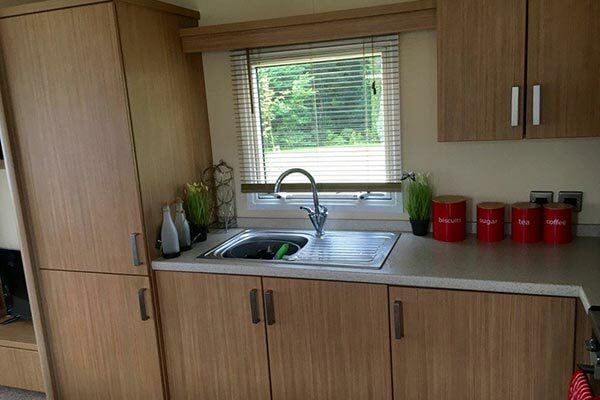 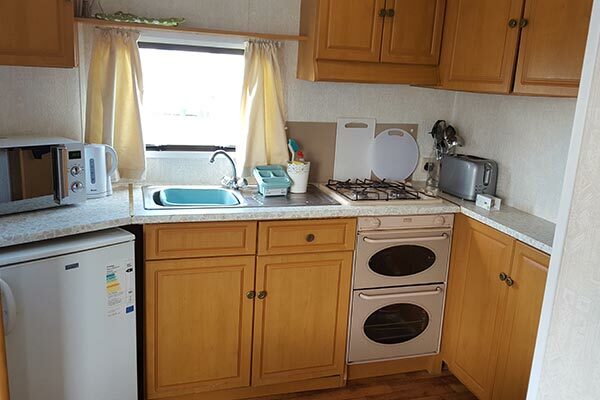 Well equipped 3 bedroom static caravan on Haven site. 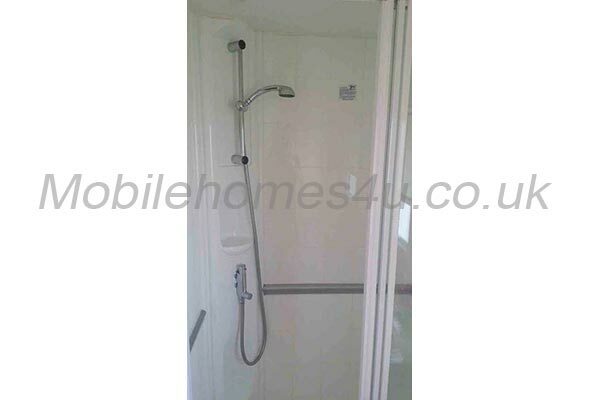 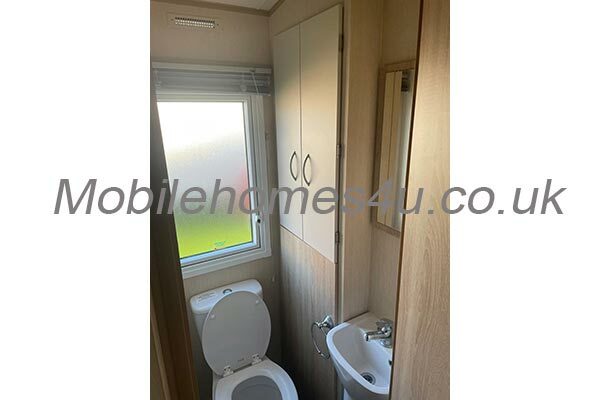 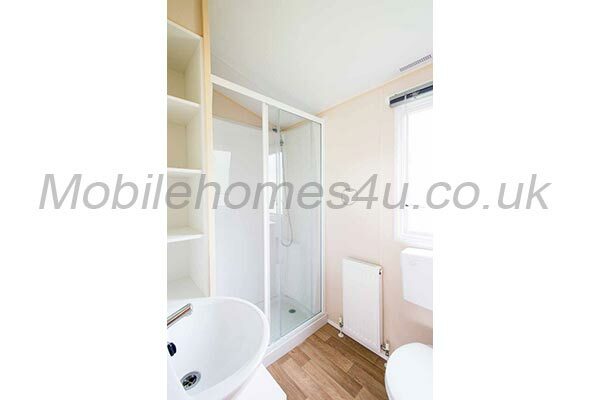 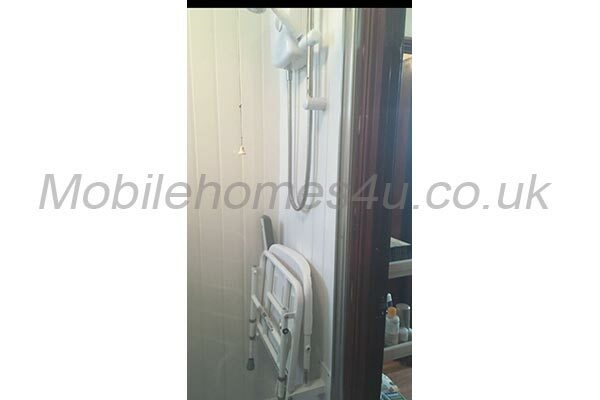 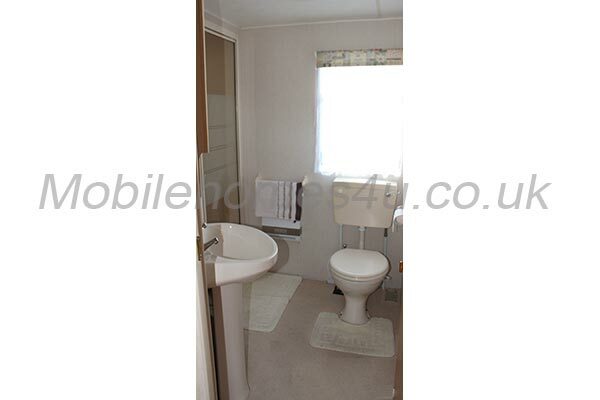 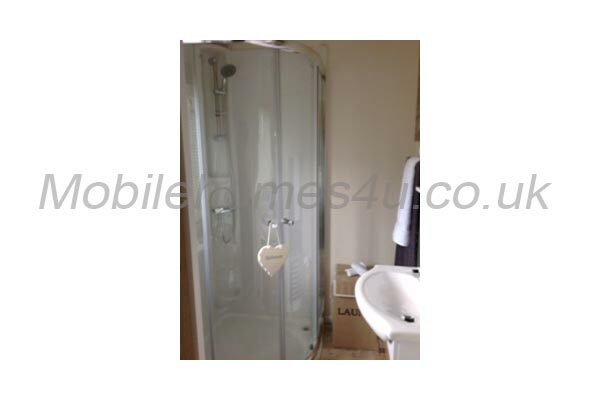 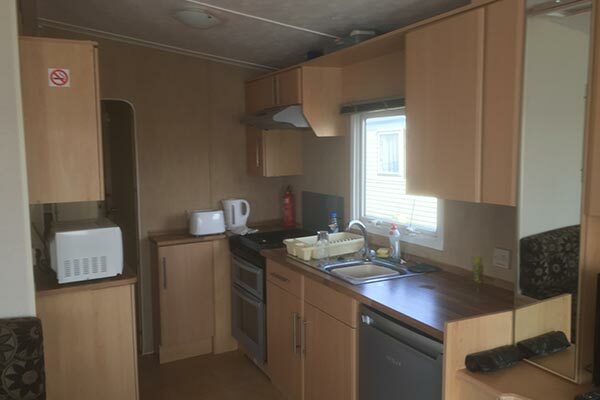 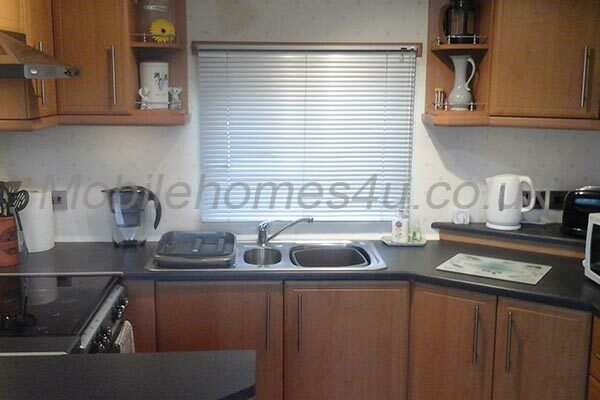 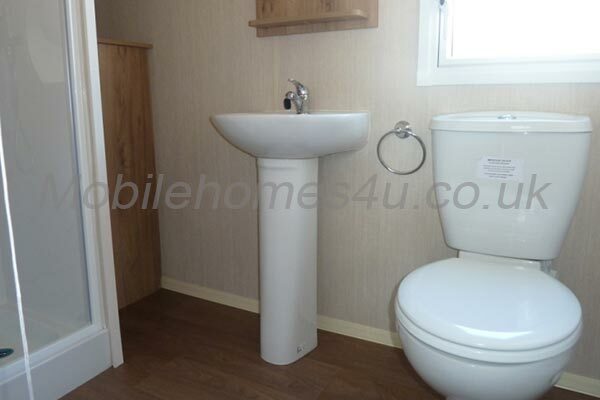 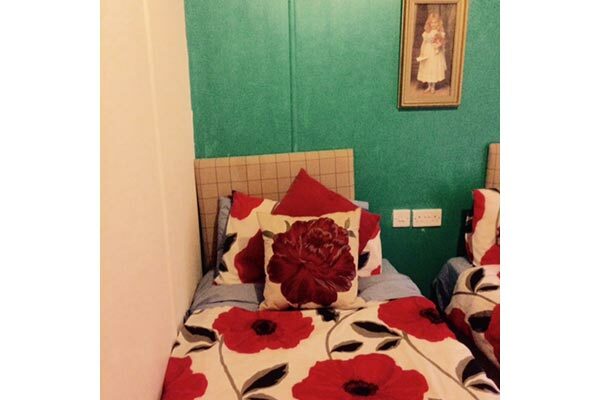 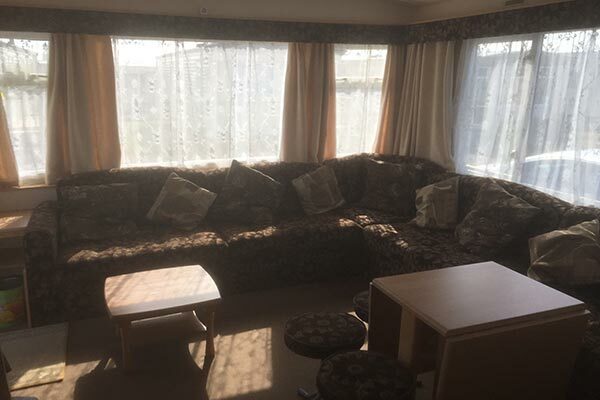 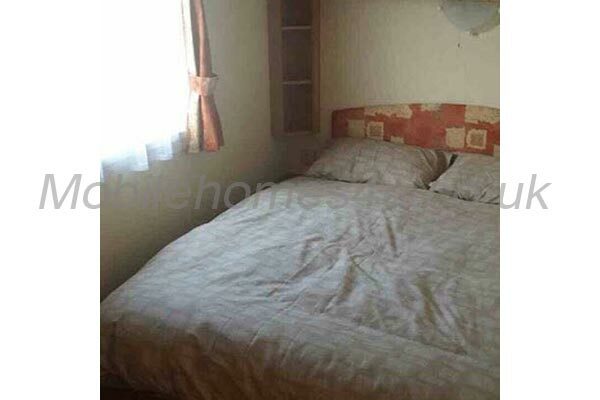 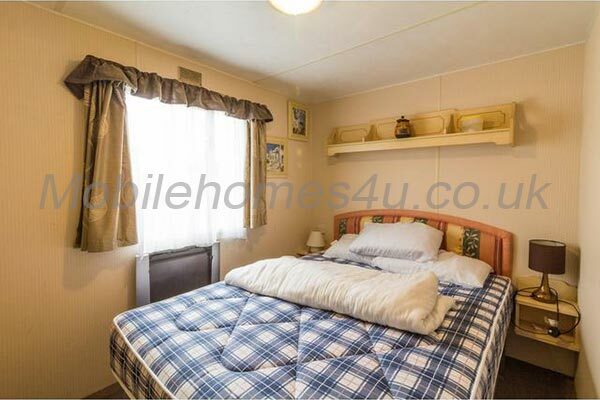 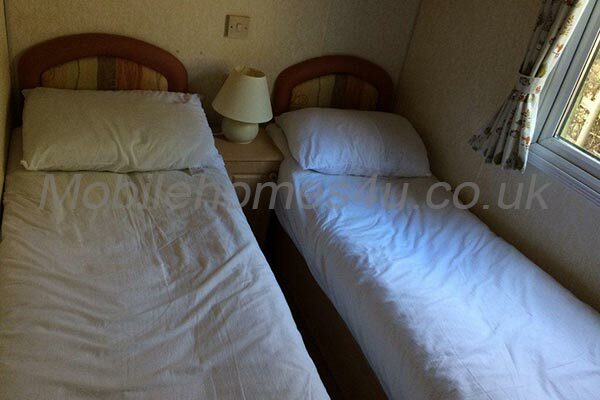 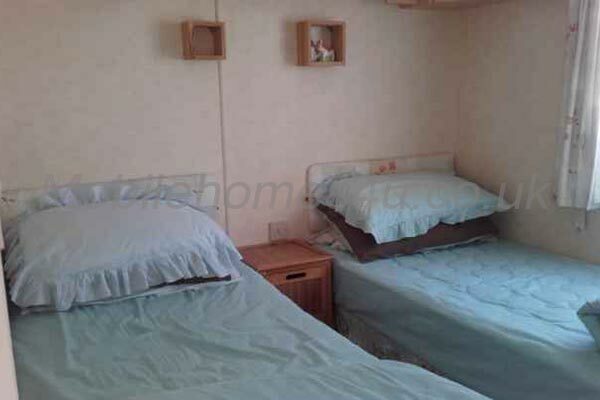 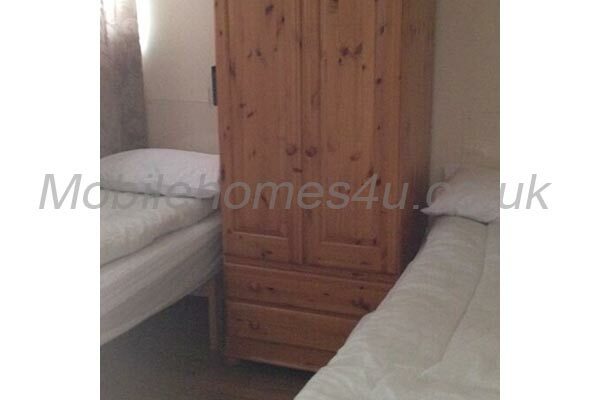 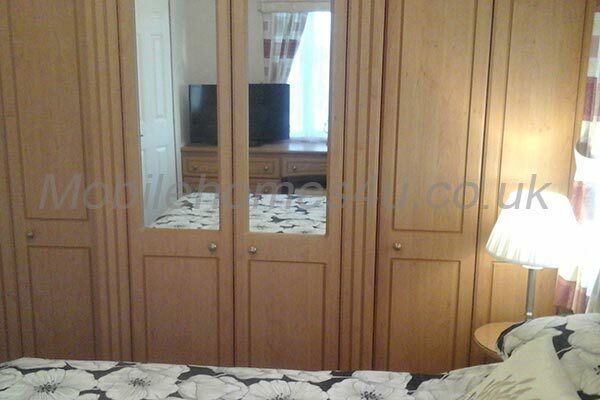 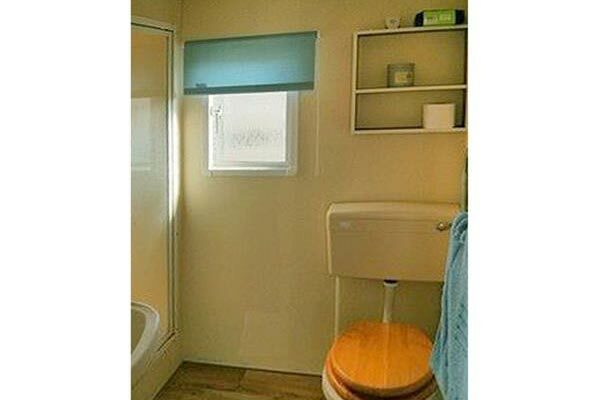 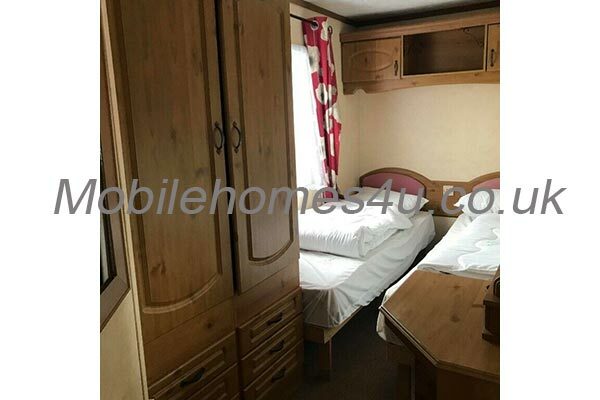 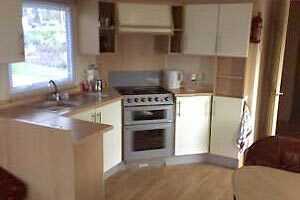 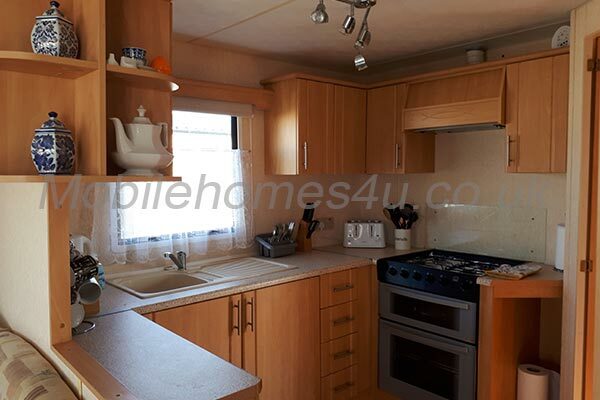 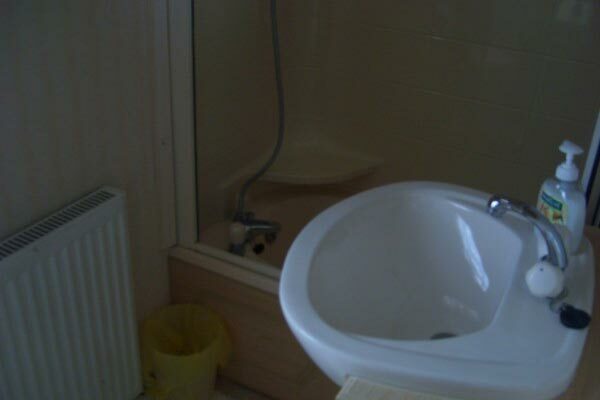 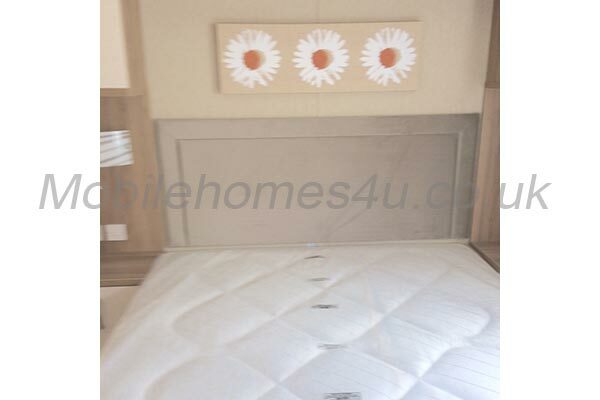 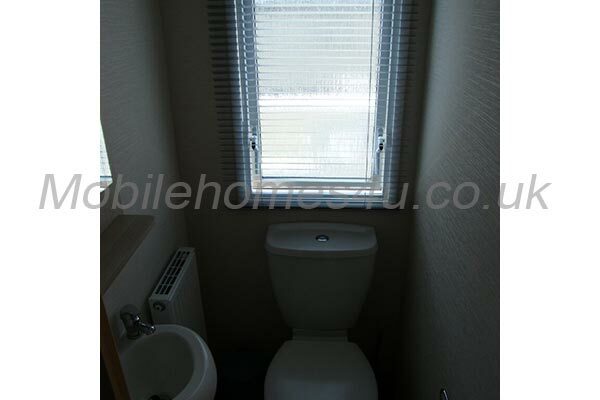 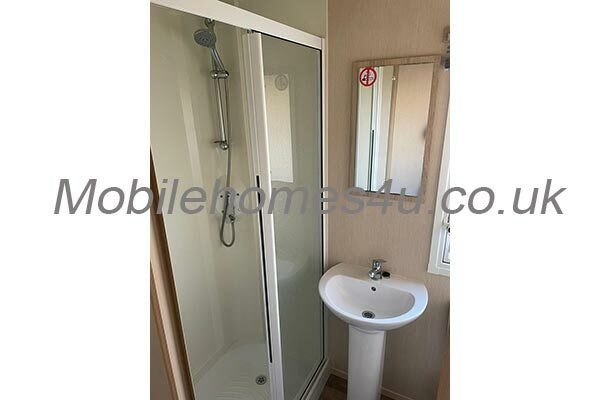 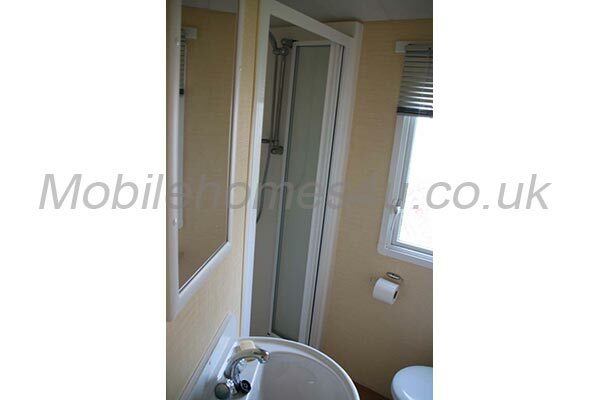 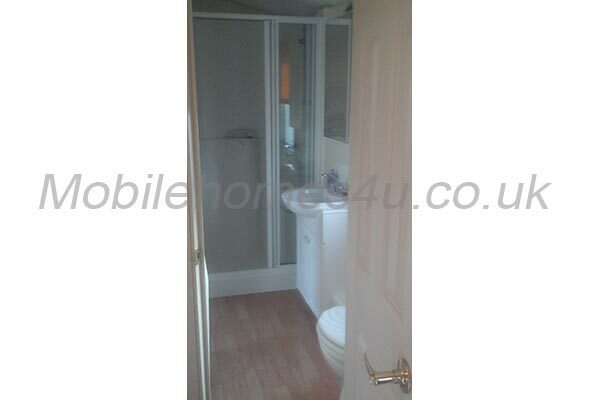 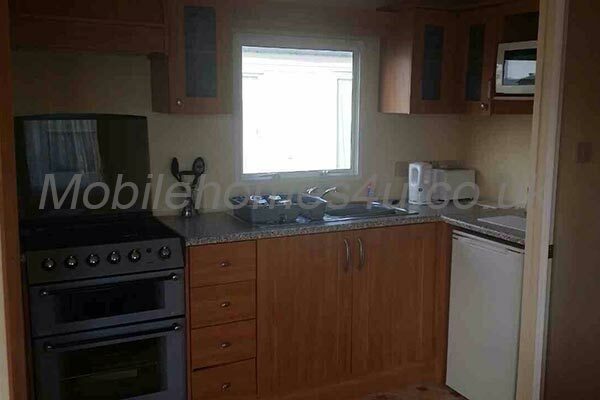 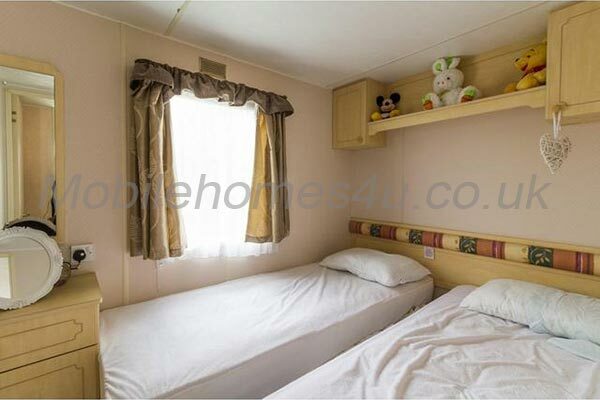 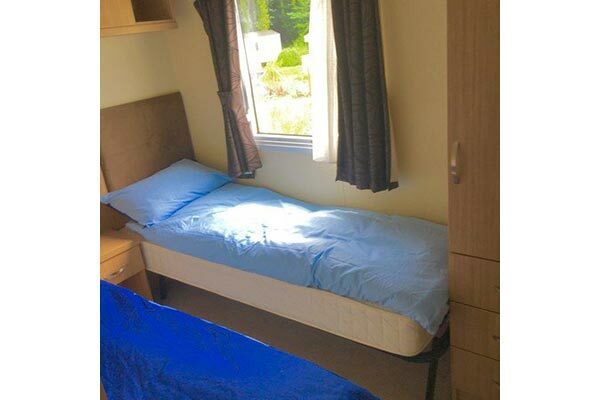 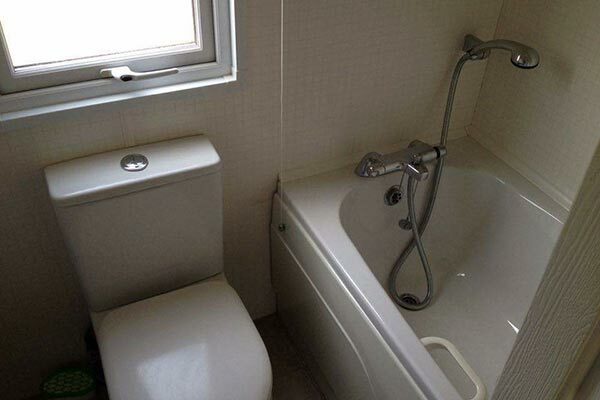 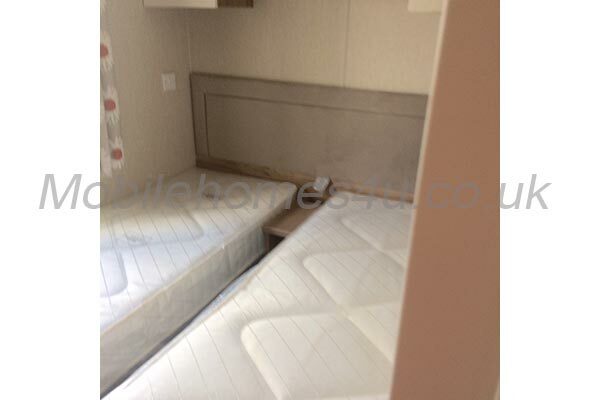 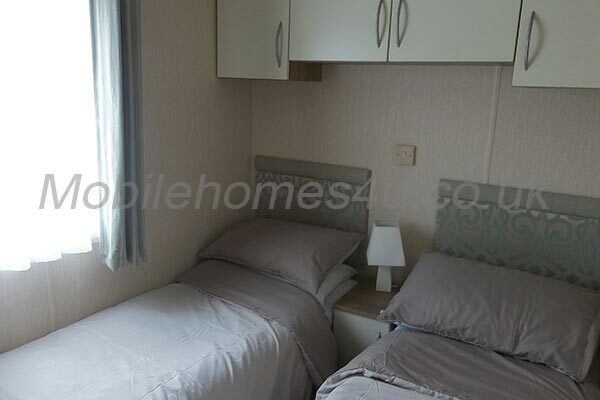 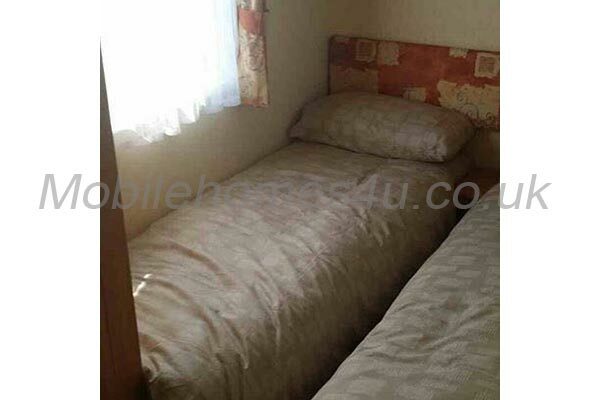 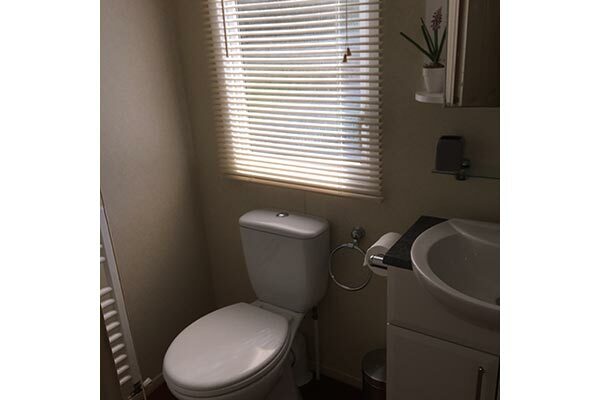 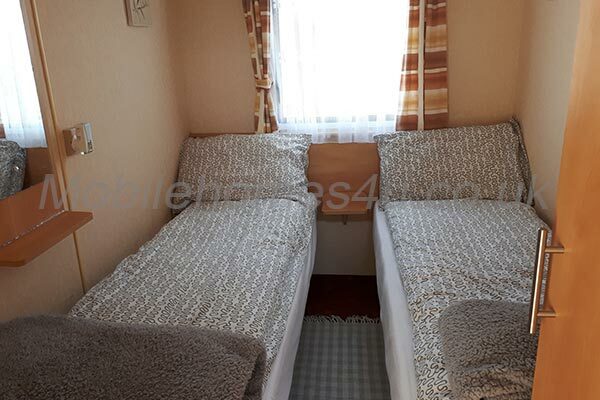 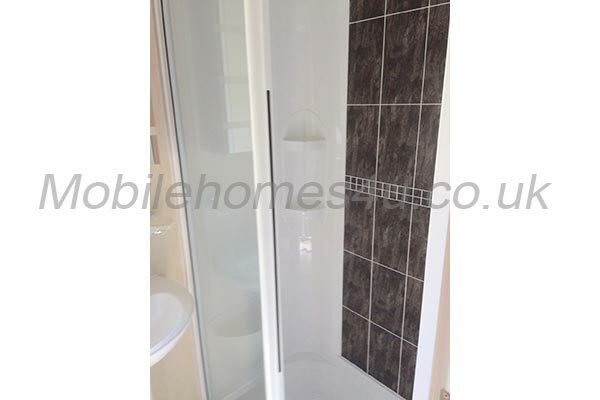 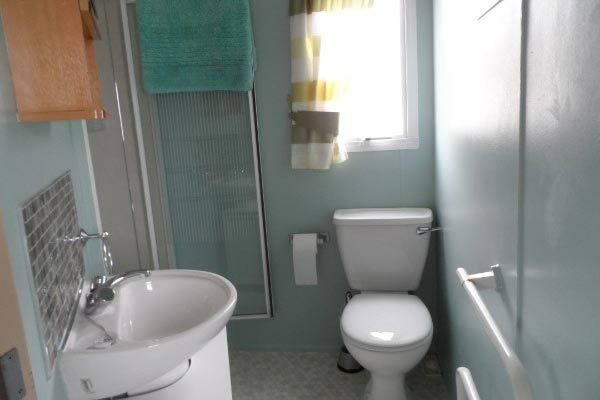 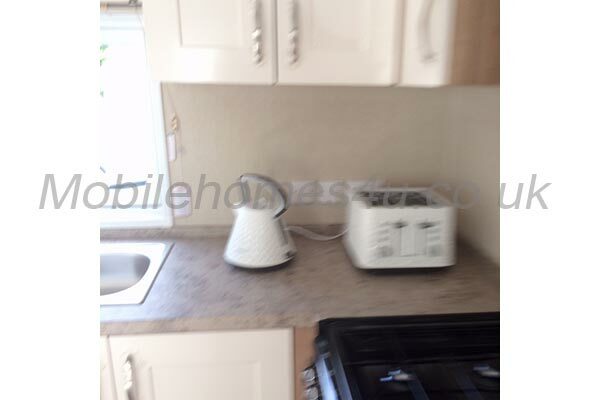 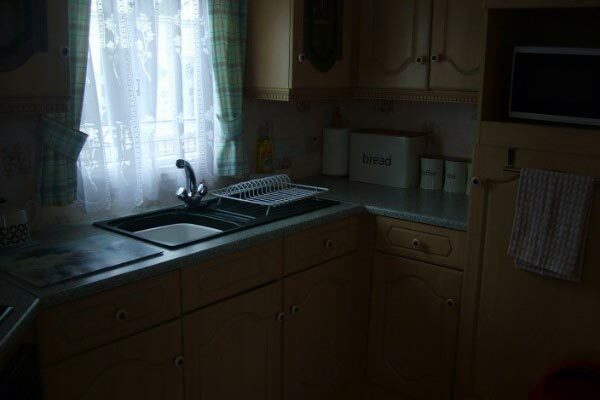 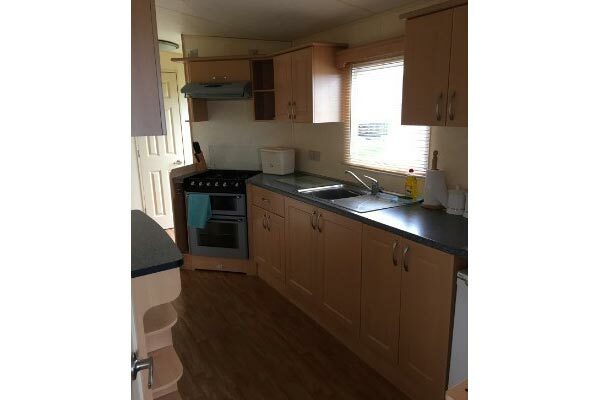 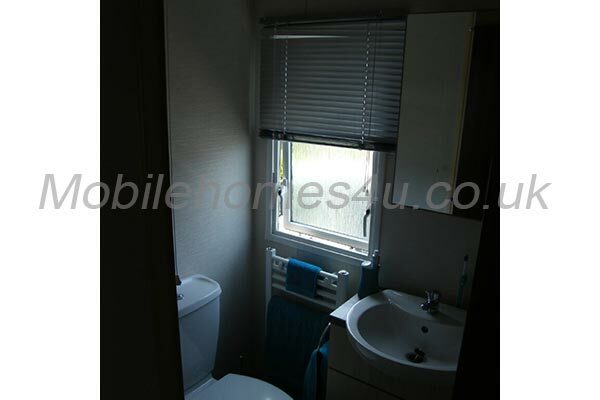 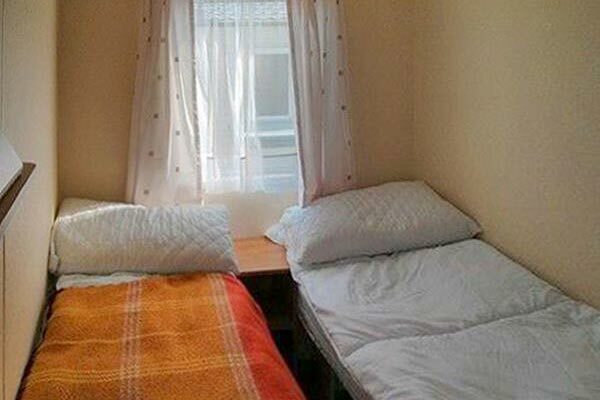 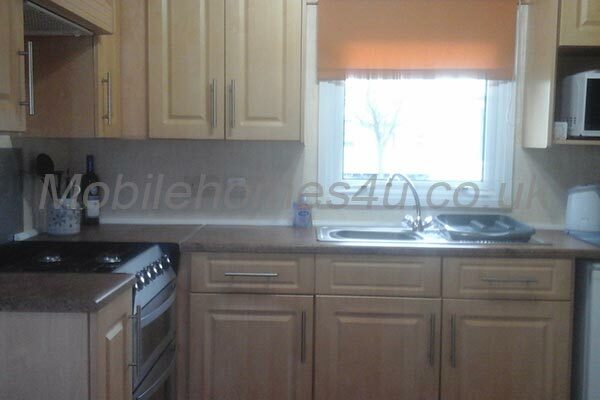 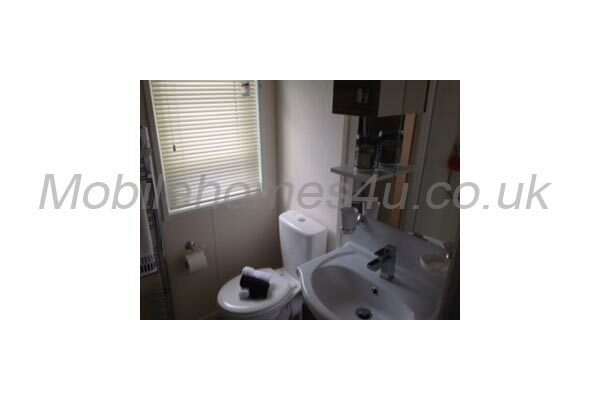 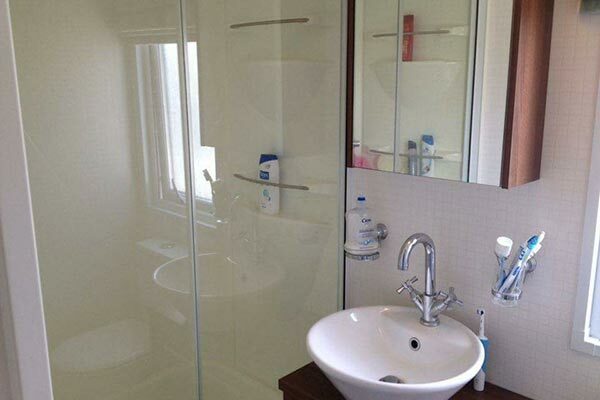 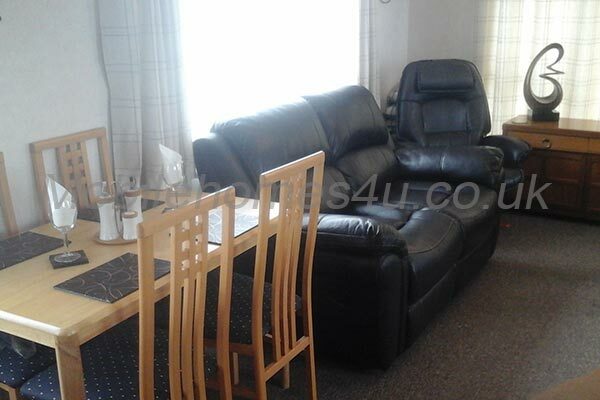 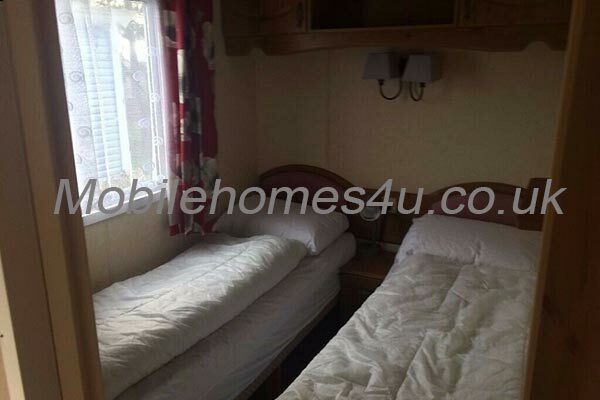 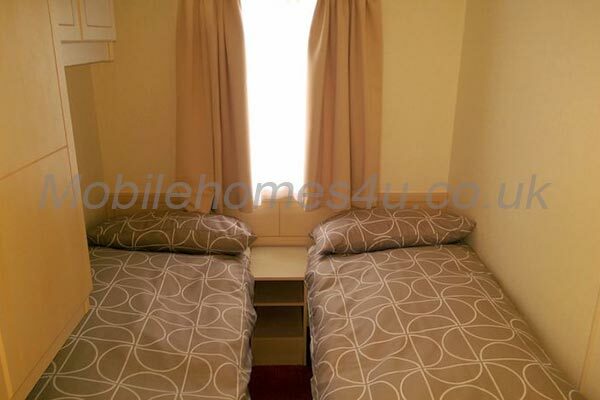 4 bedroom caravan with double glazing and central heating. 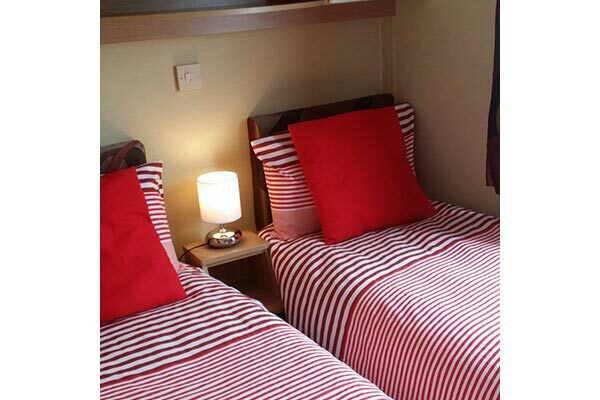 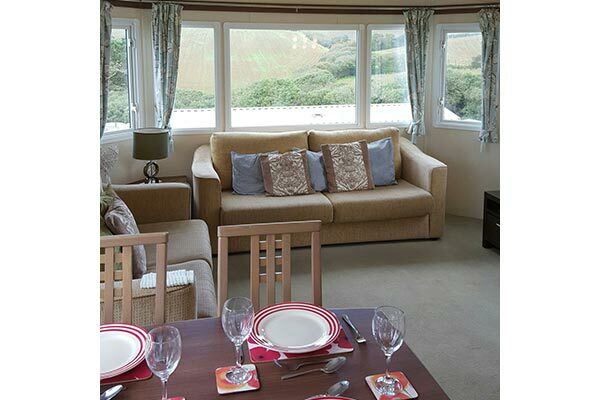 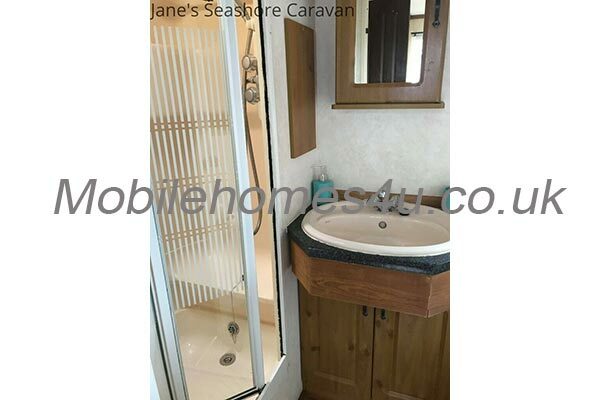 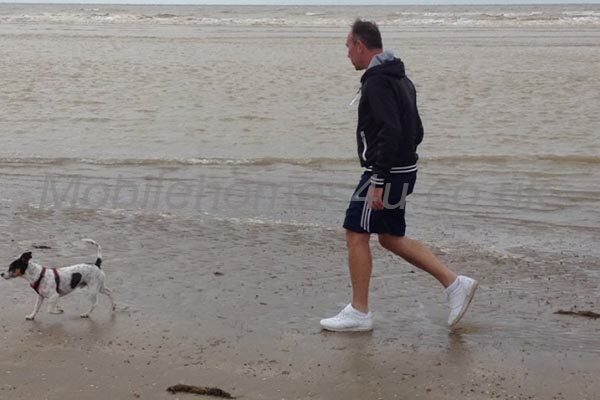 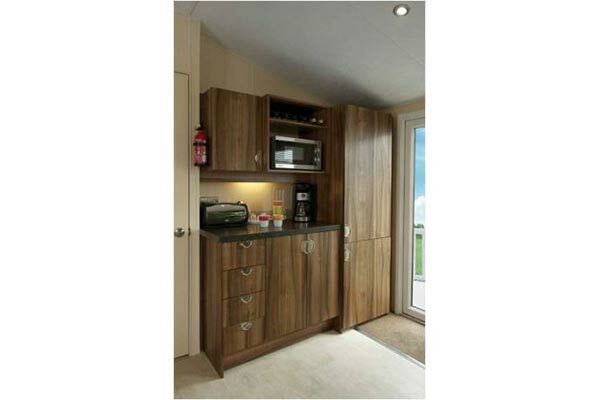 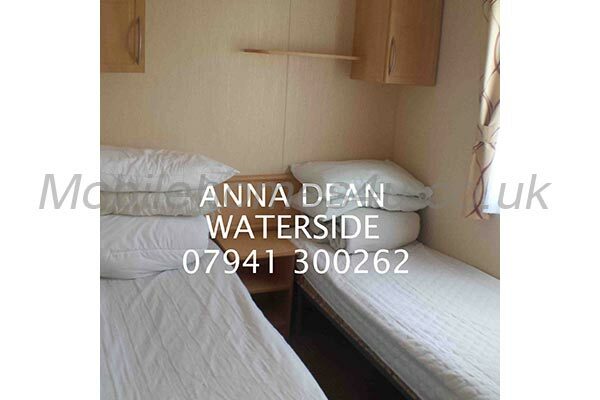 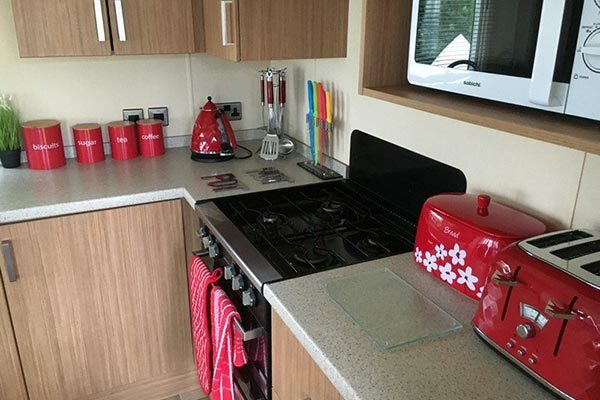 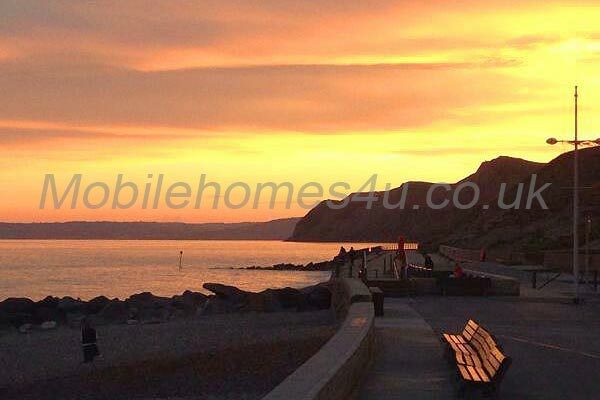 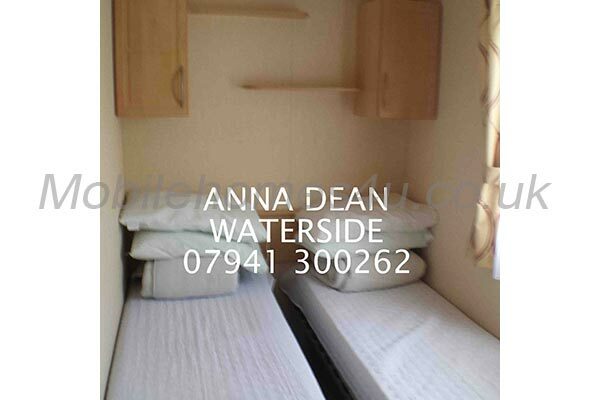 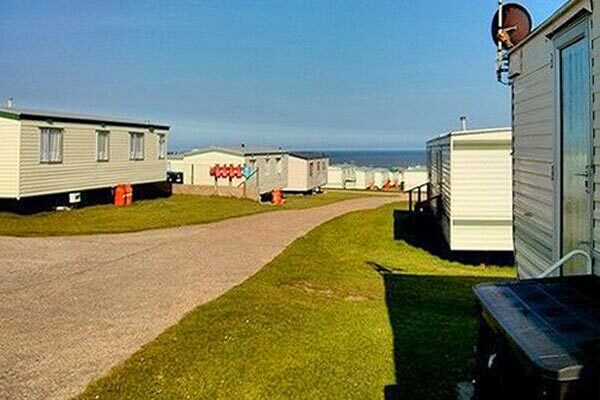 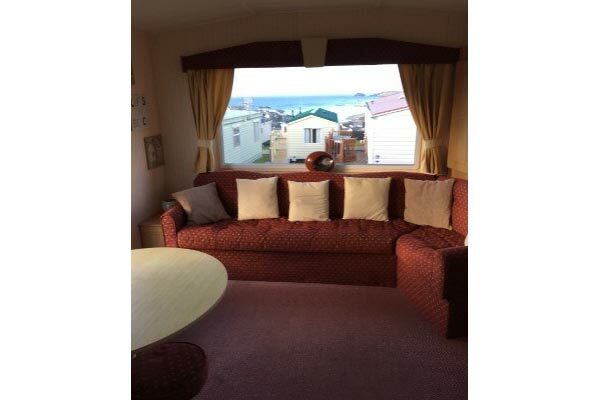 Top class static caravan with amazing sea views. 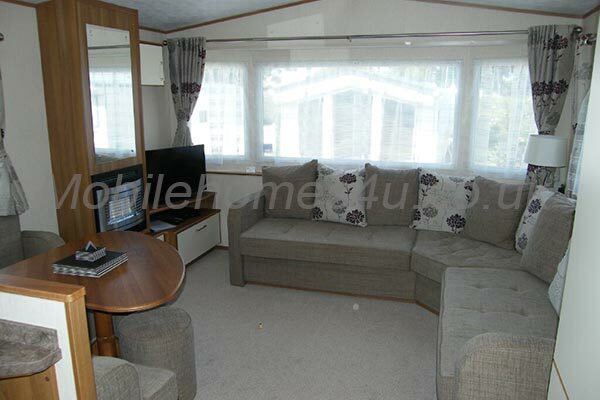 Spacious well equipped static caravan in sunny position. 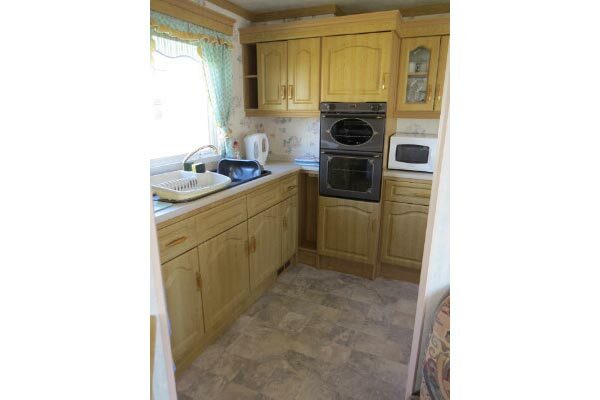 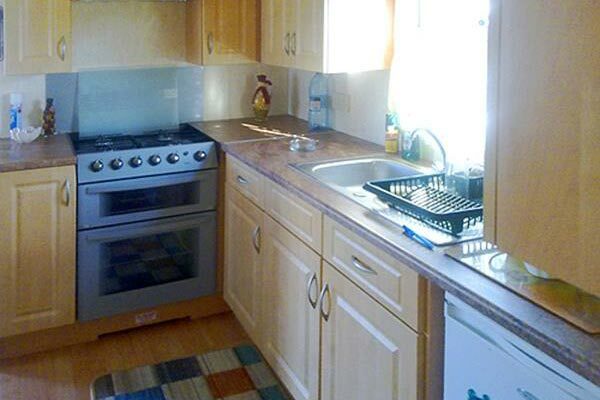 Lovely static caravan with double glazing and central heating. 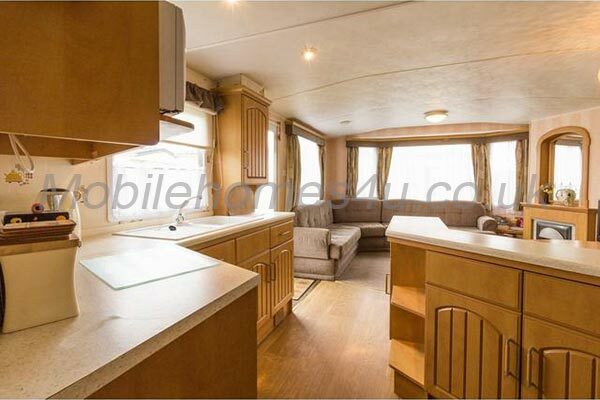 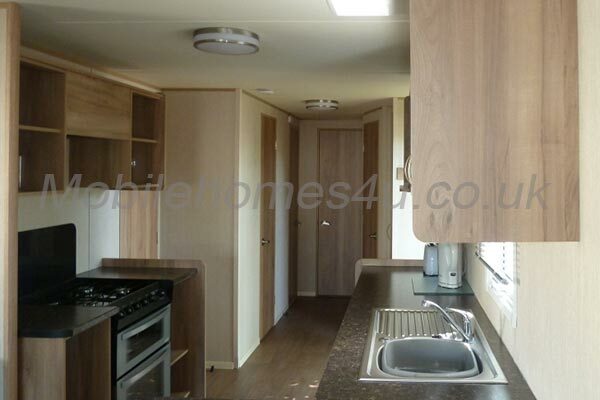 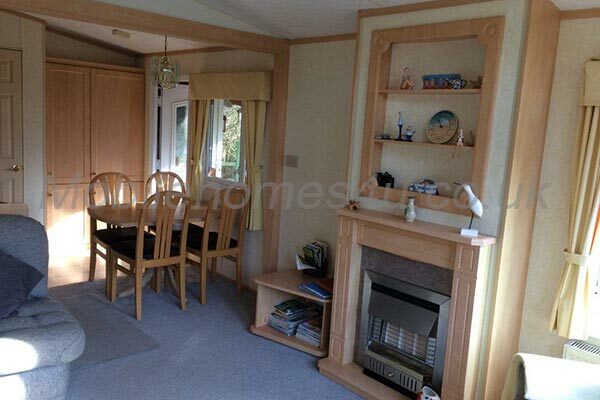 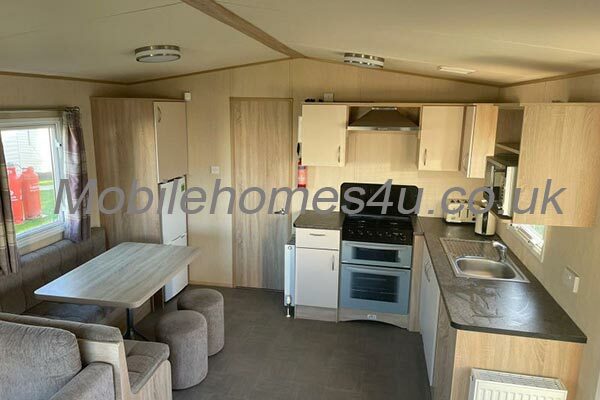 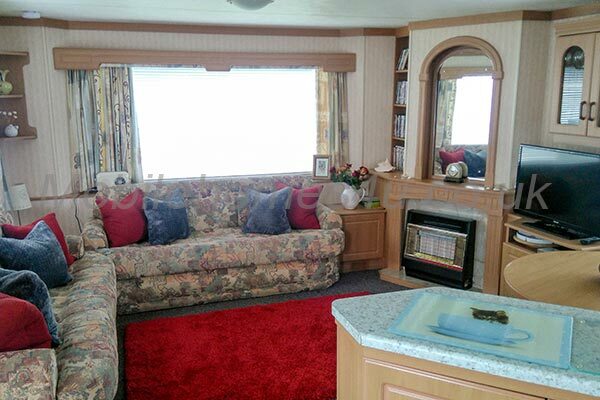 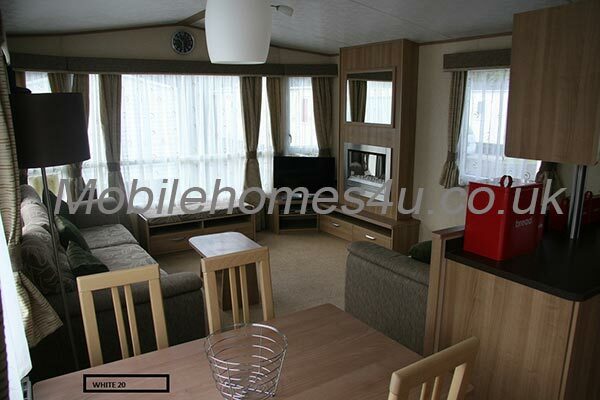 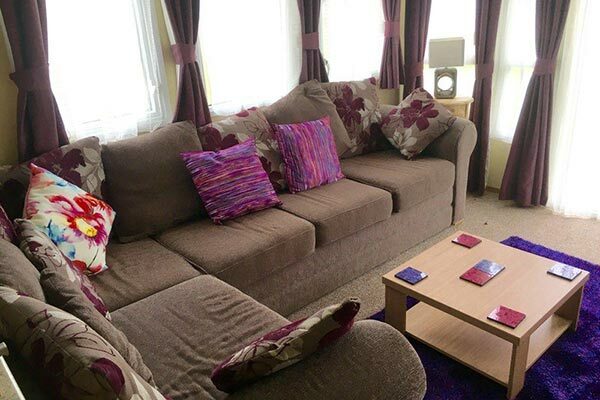 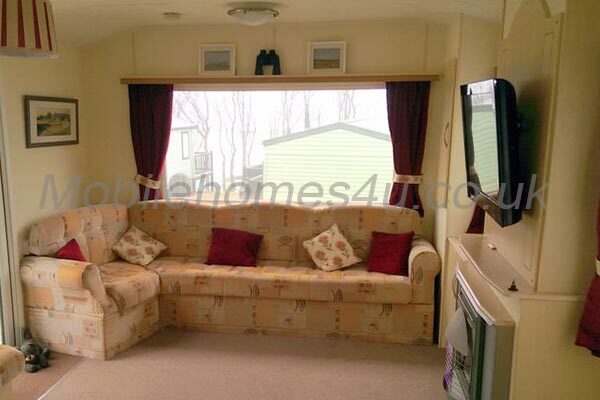 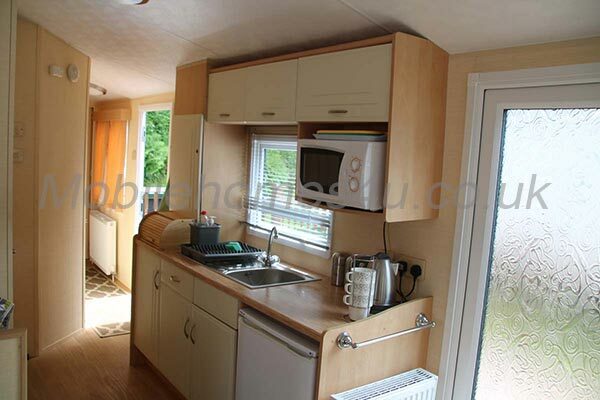 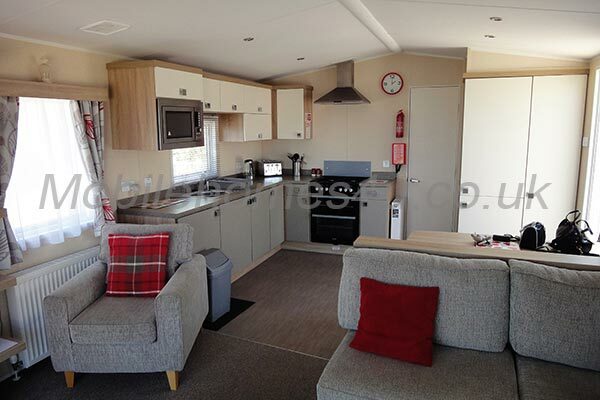 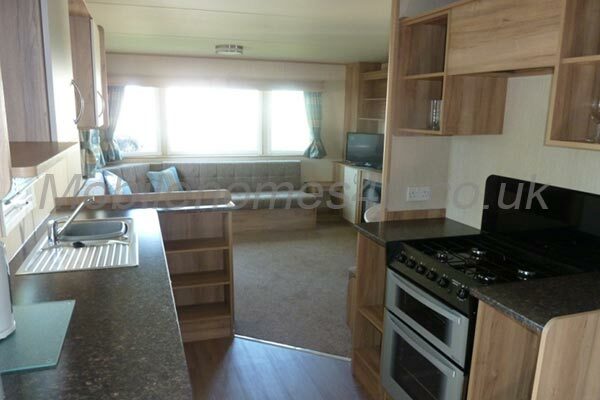 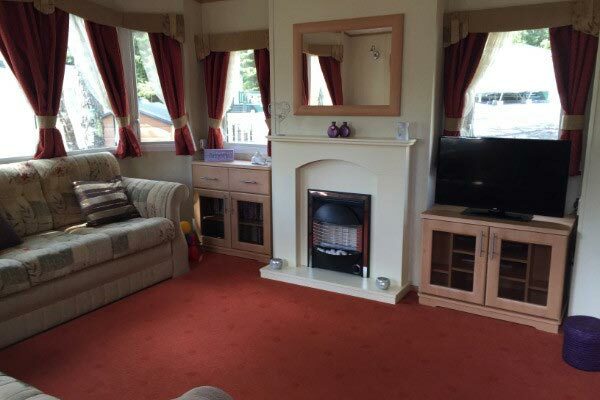 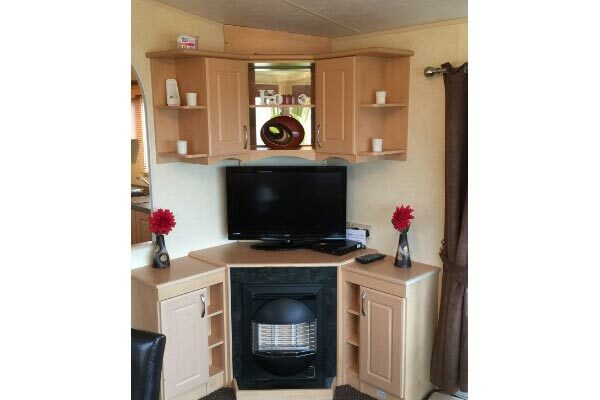 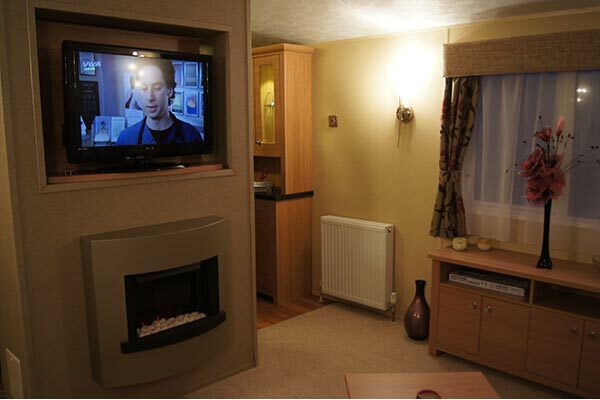 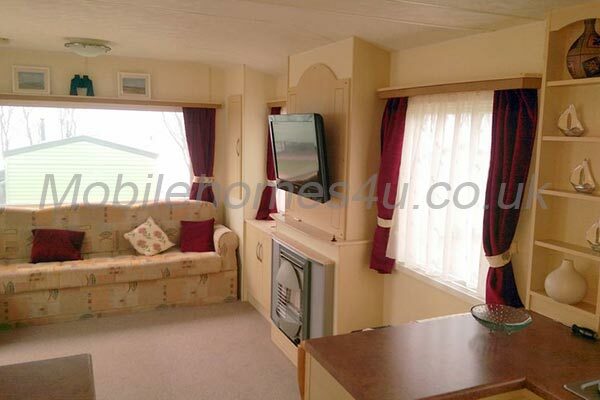 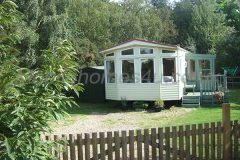 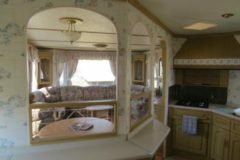 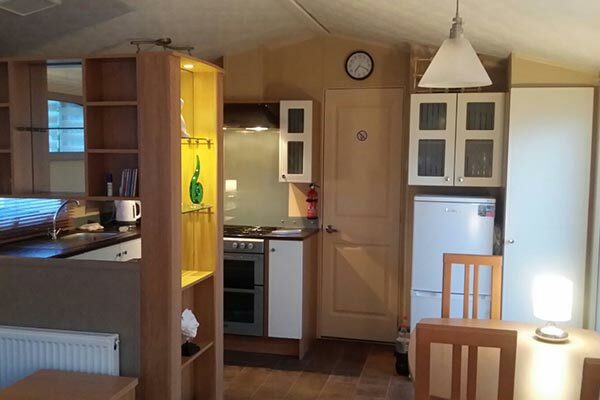 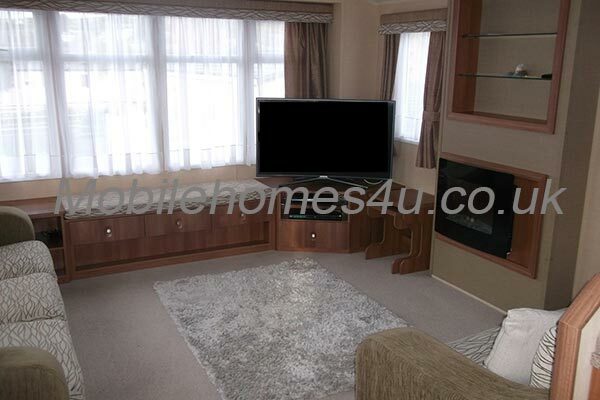 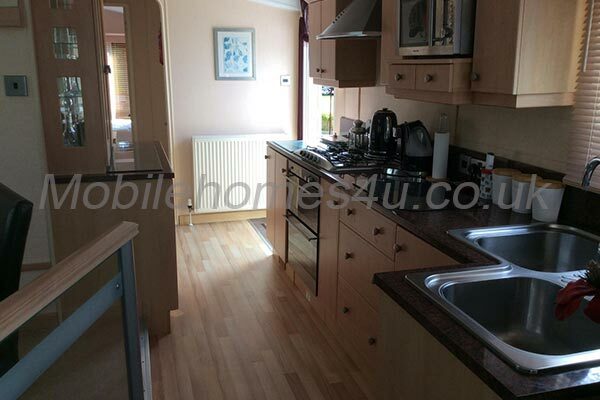 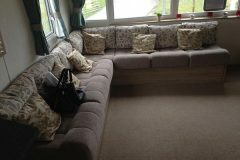 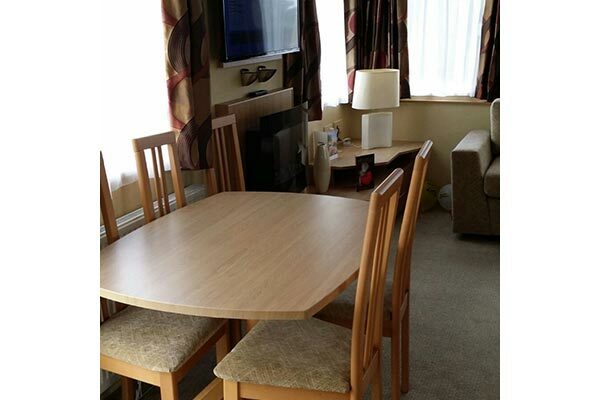 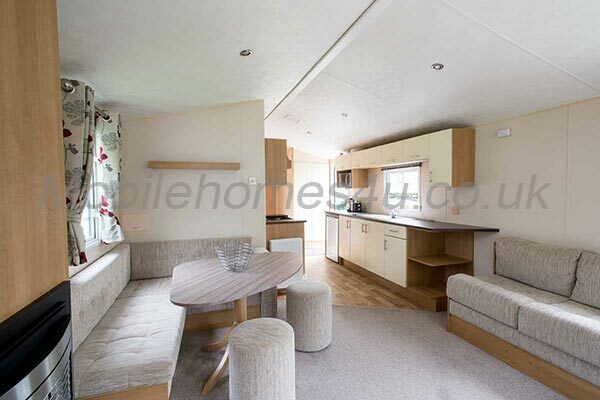 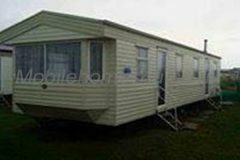 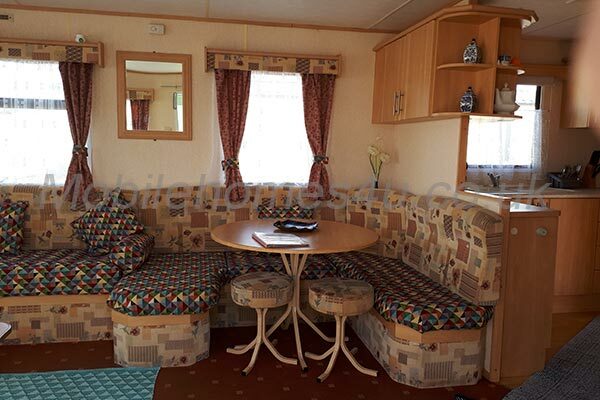 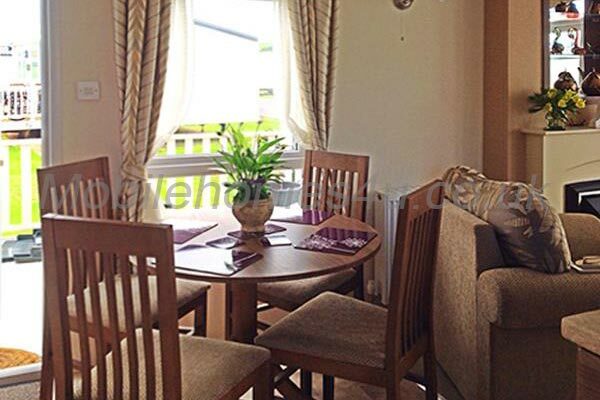 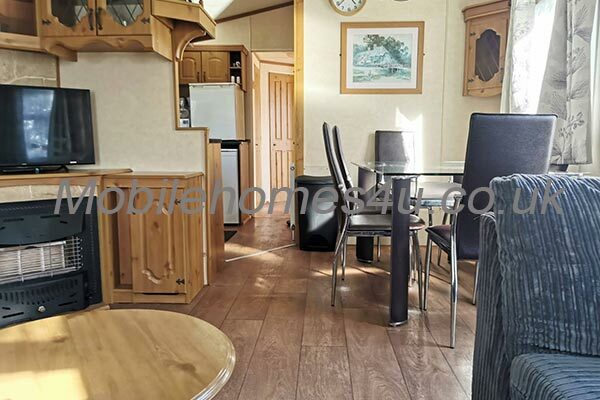 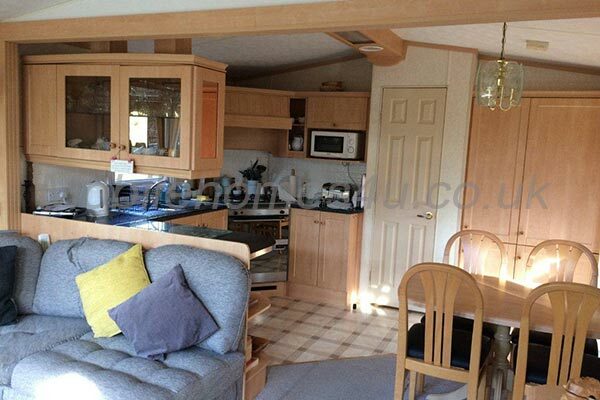 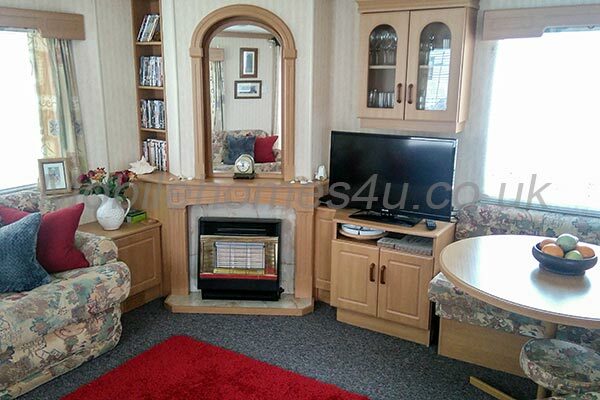 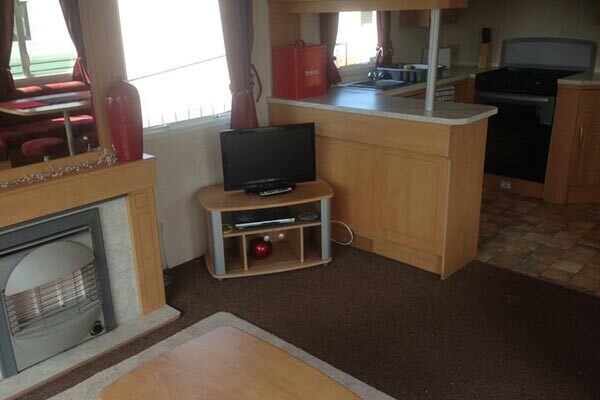 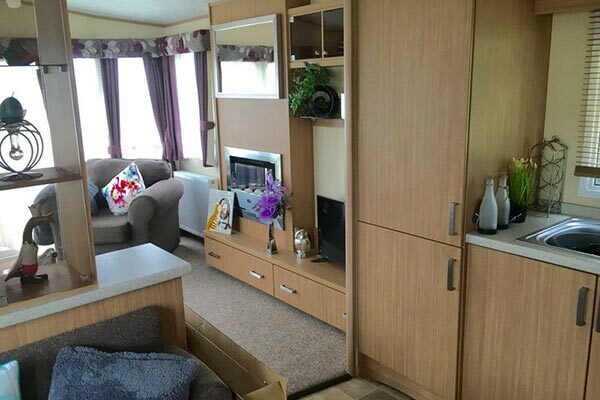 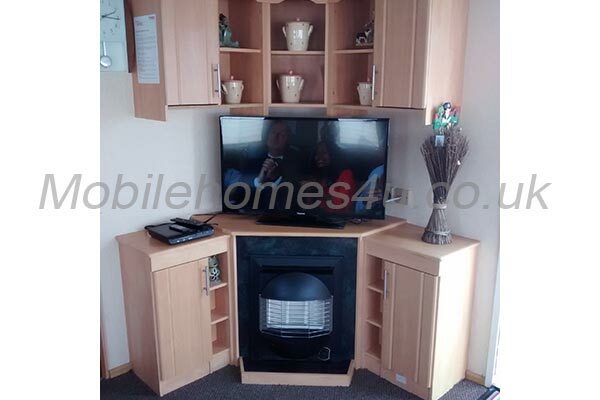 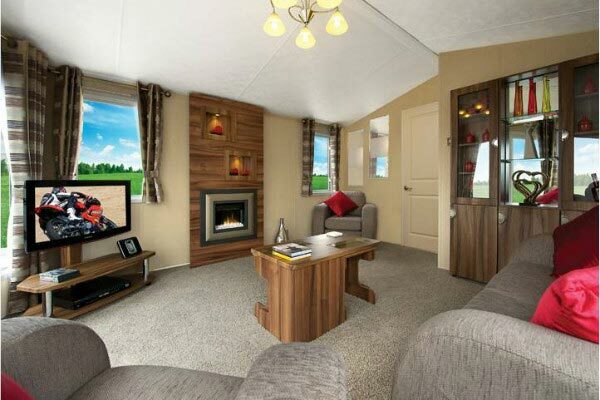 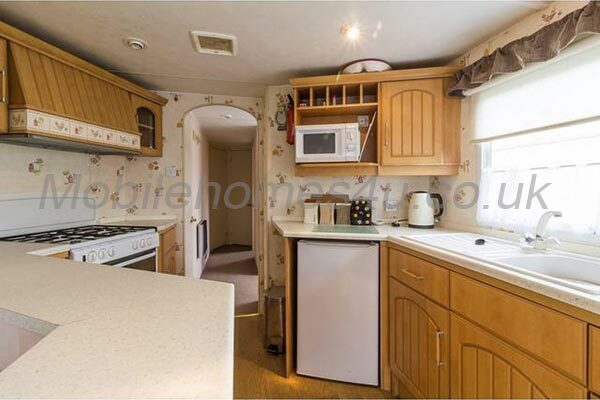 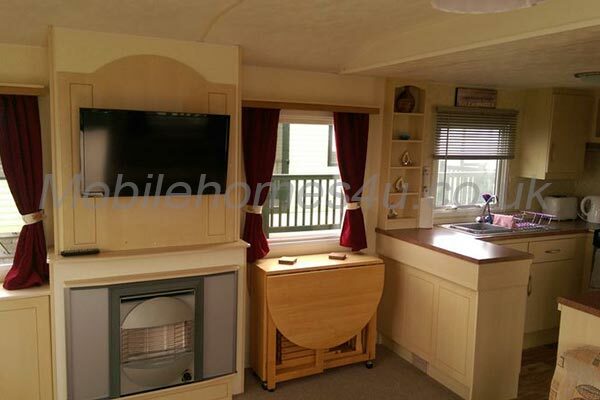 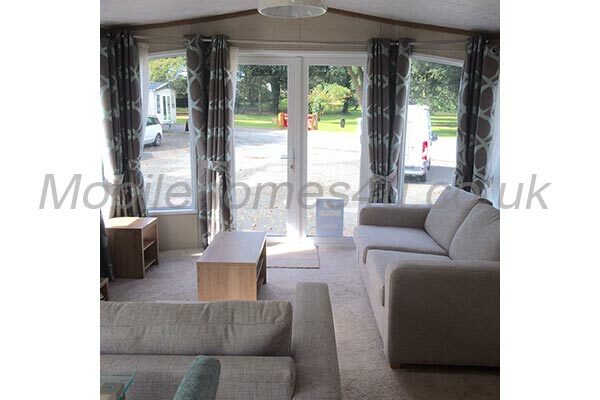 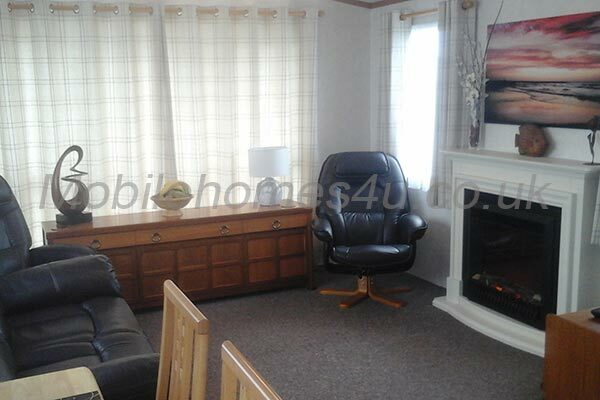 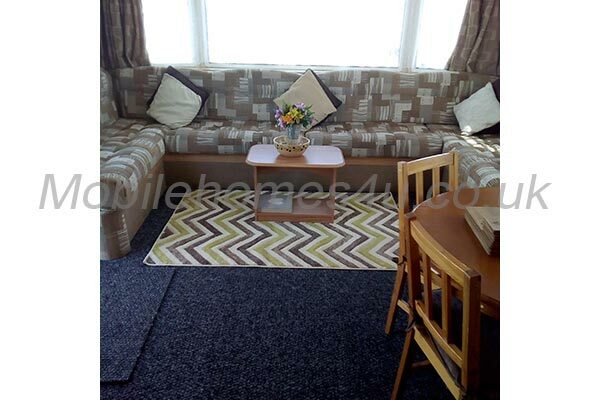 Spacious static caravan with heating and veranda. 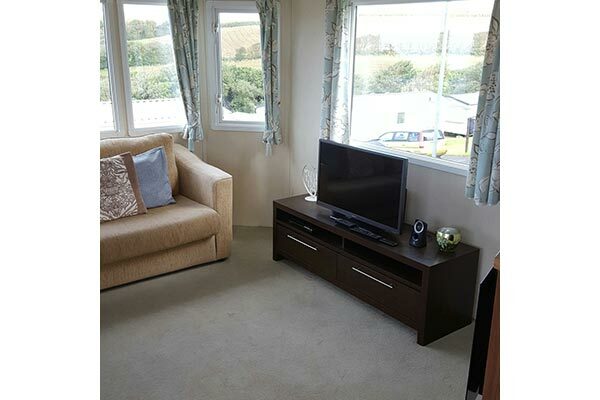 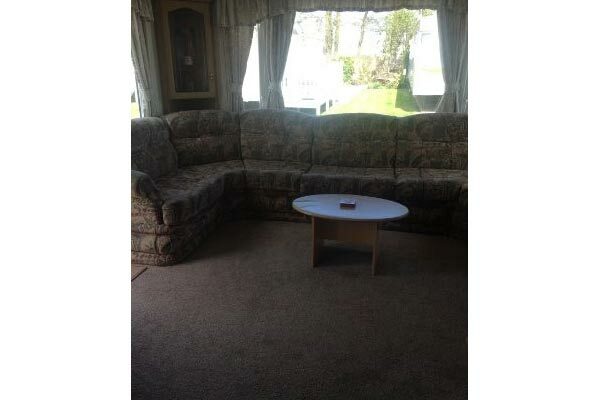 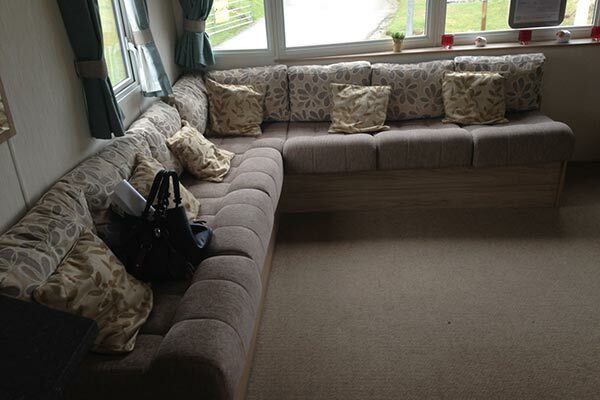 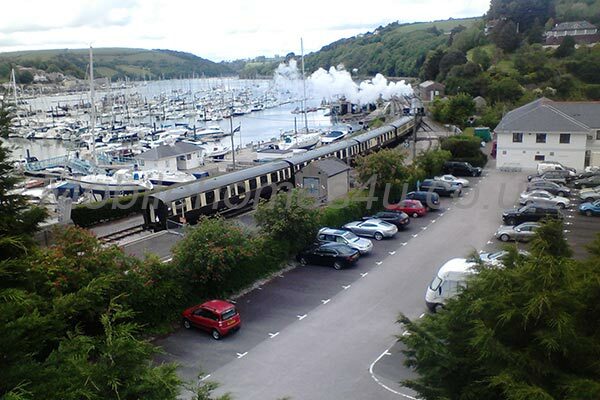 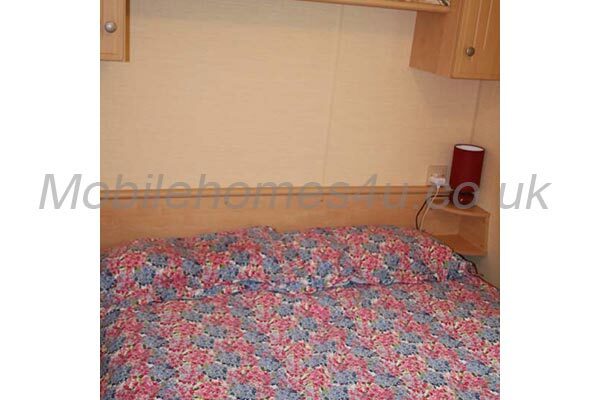 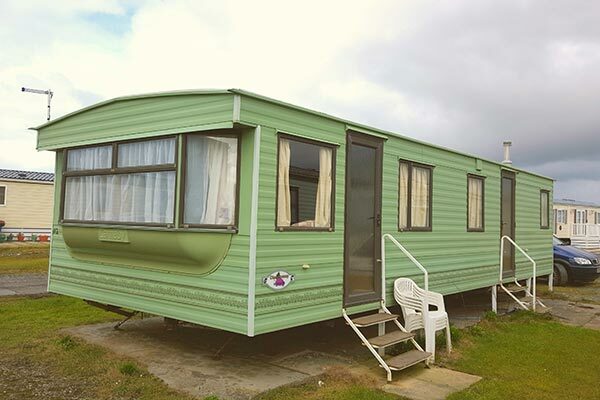 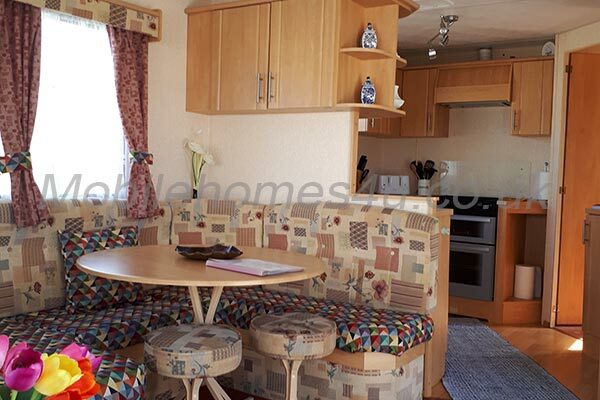 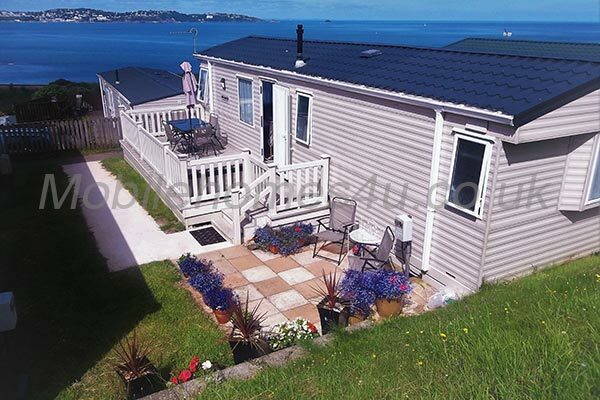 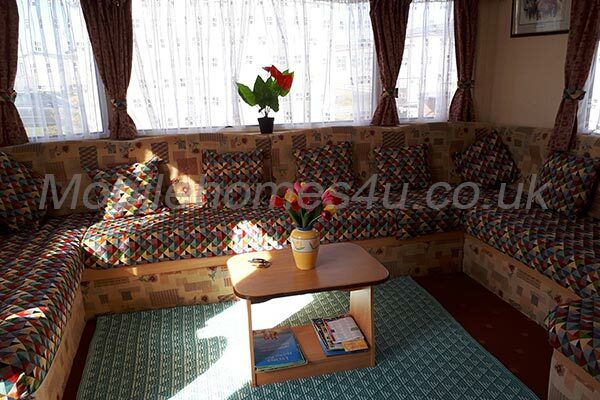 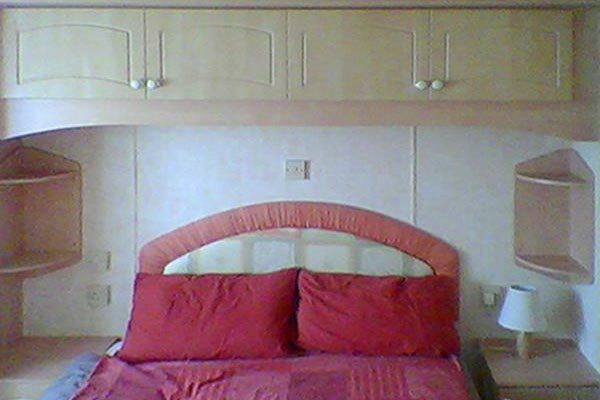 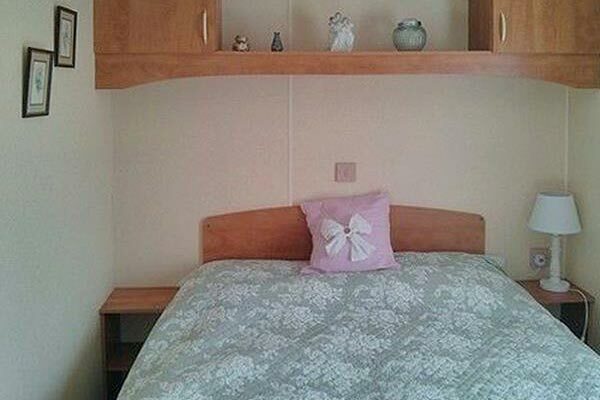 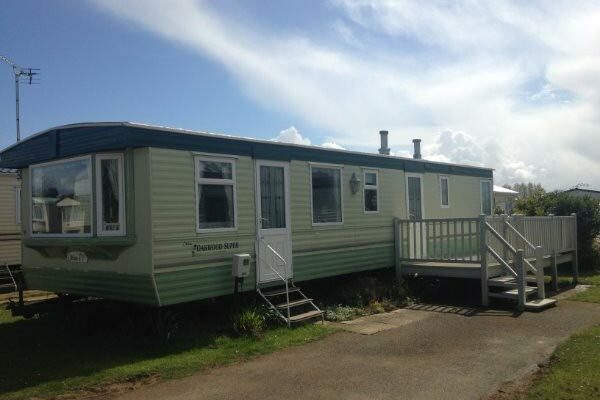 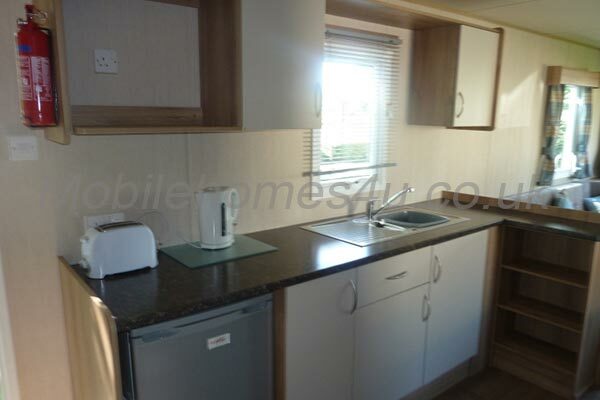 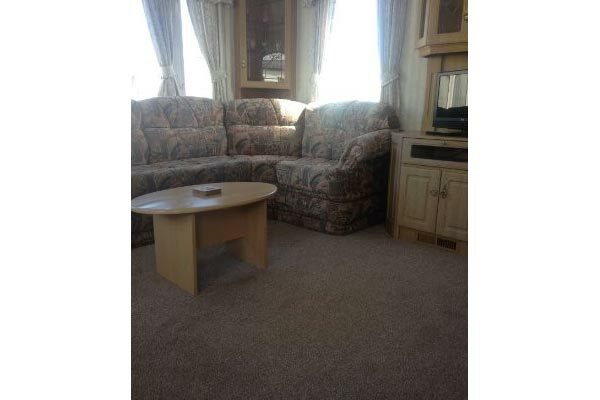 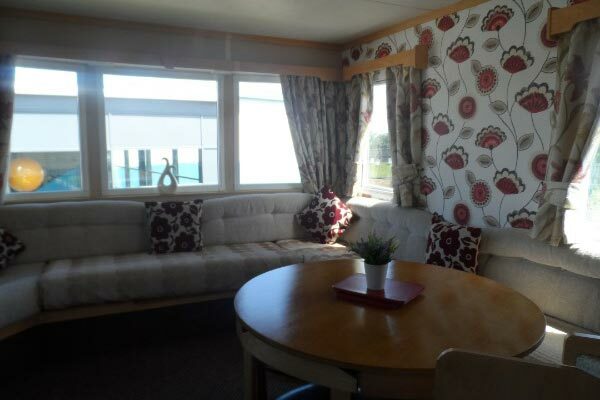 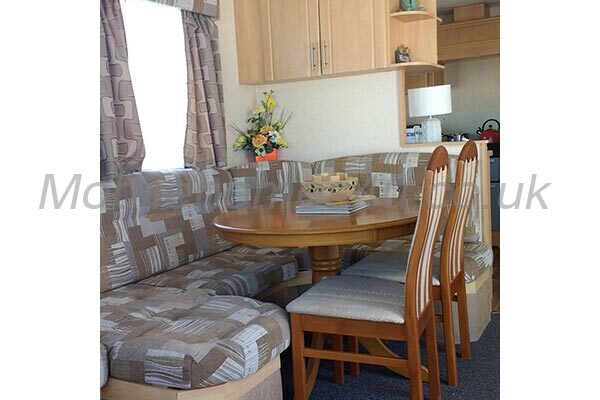 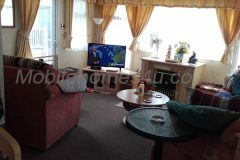 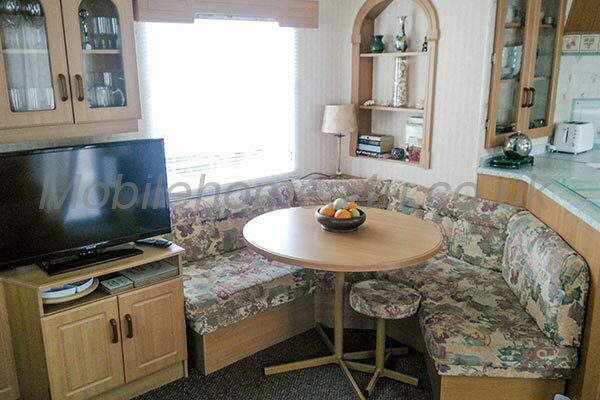 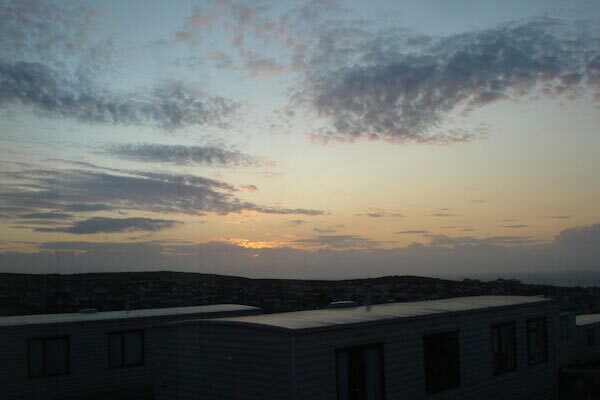 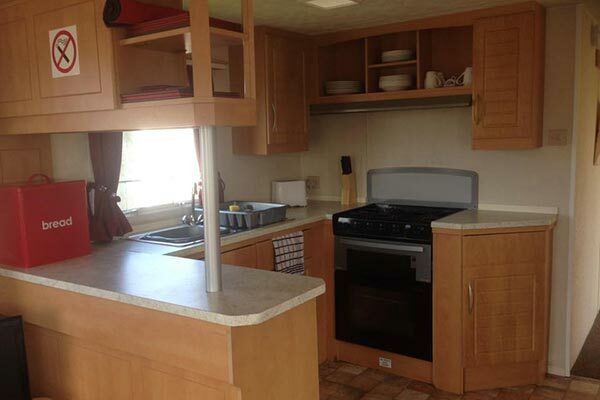 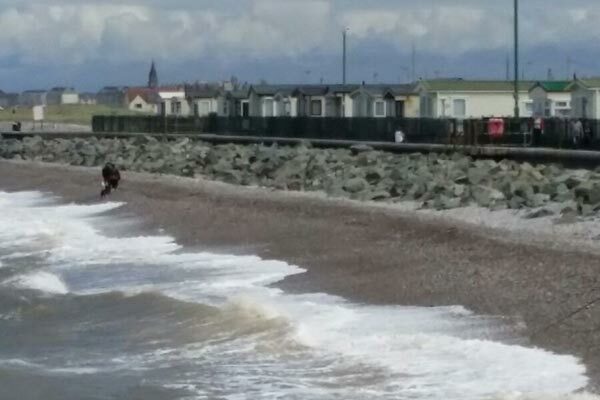 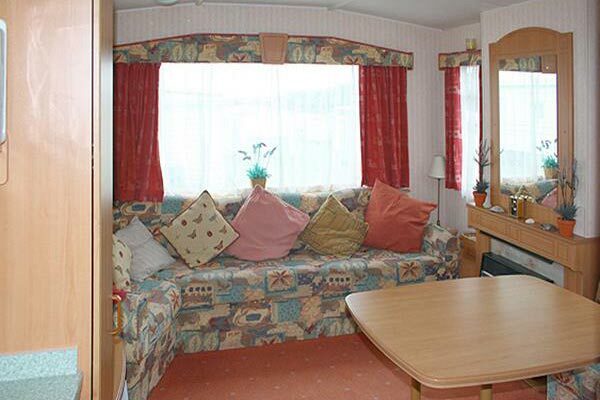 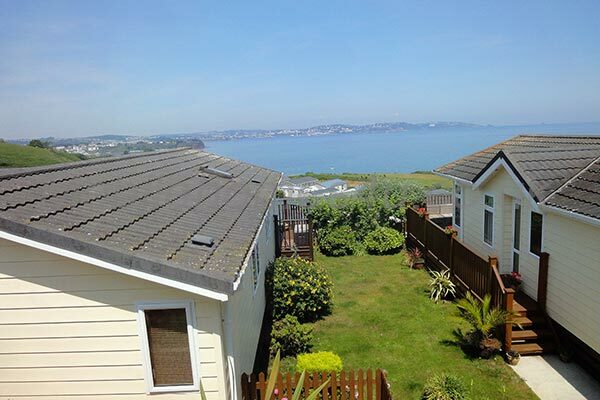 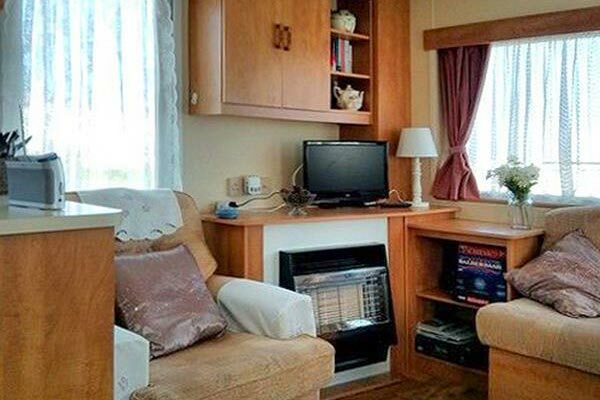 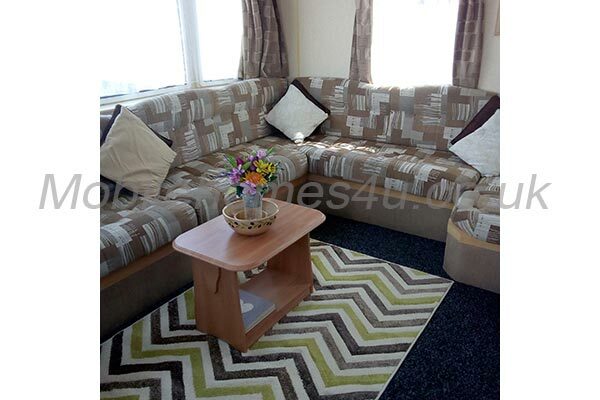 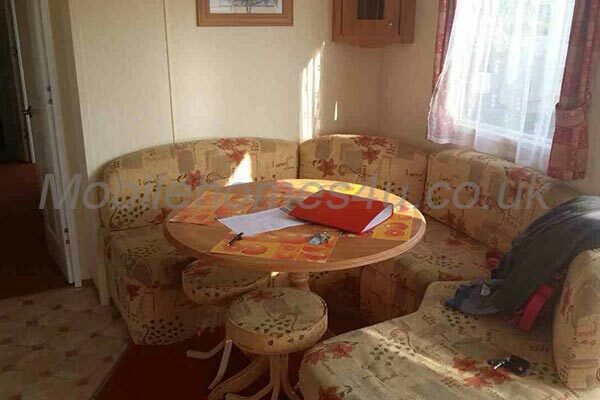 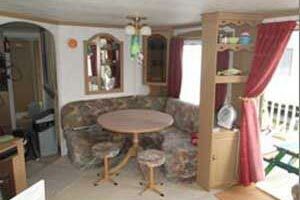 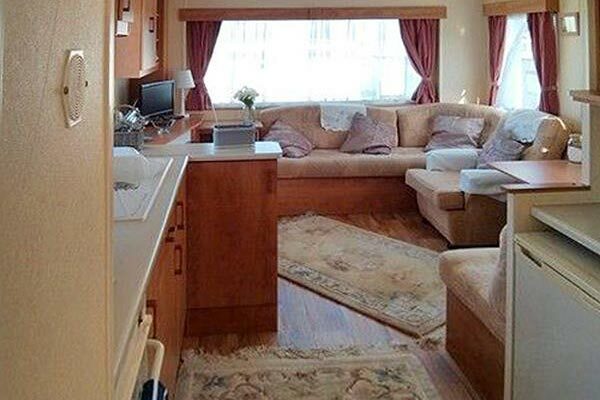 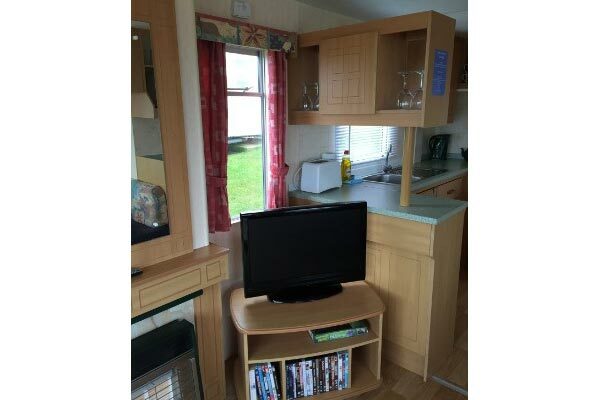 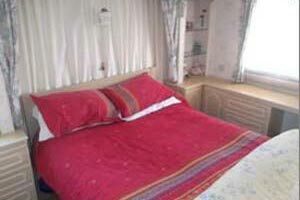 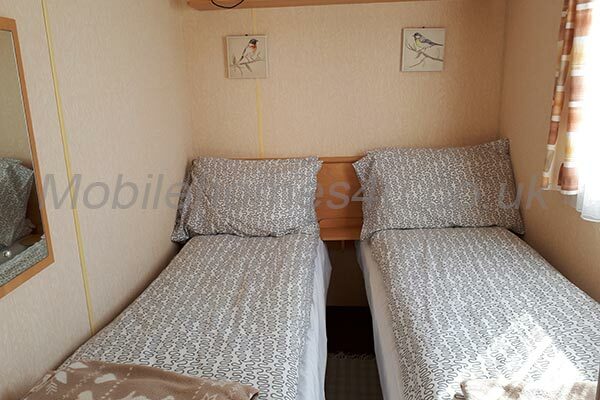 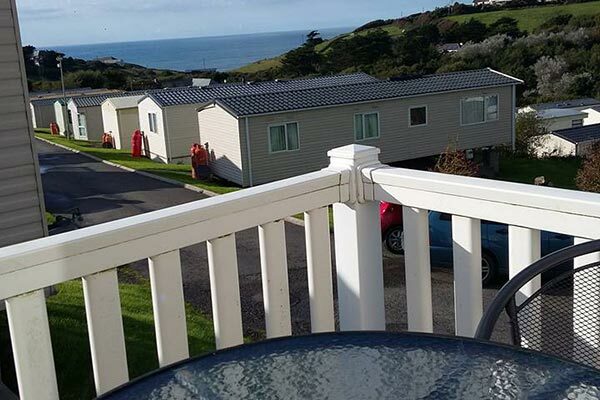 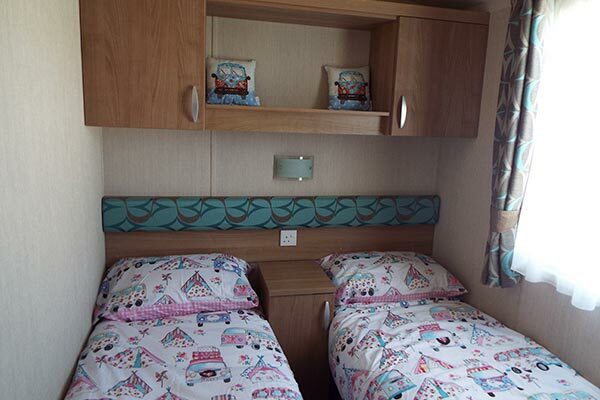 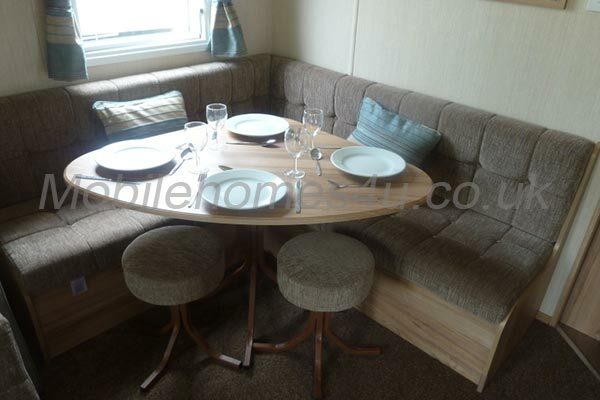 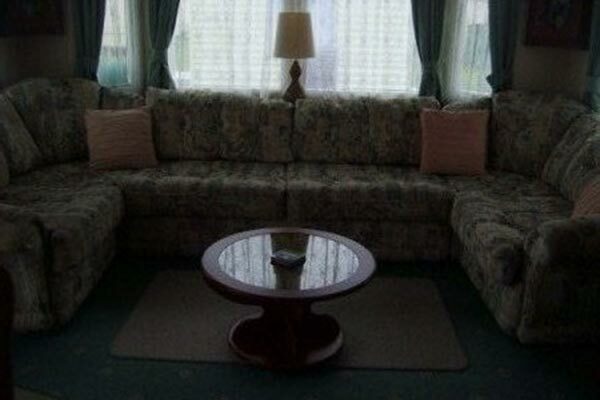 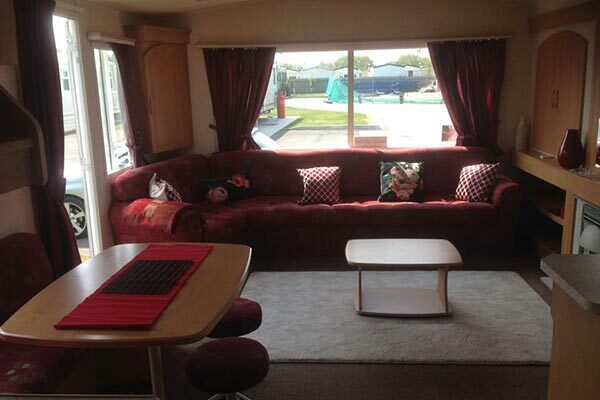 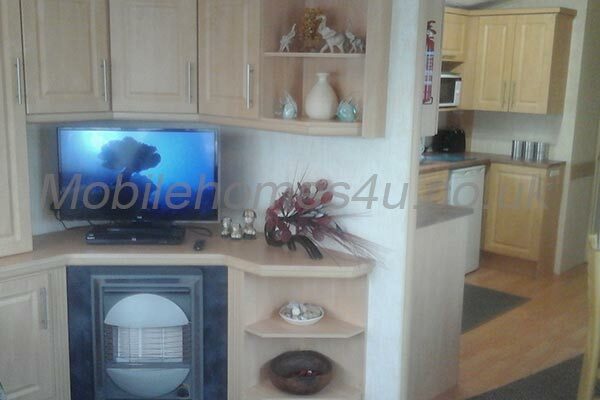 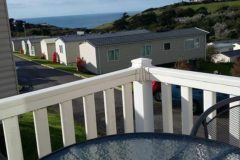 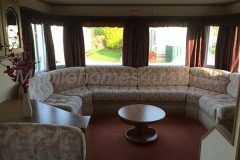 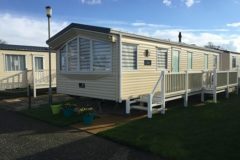 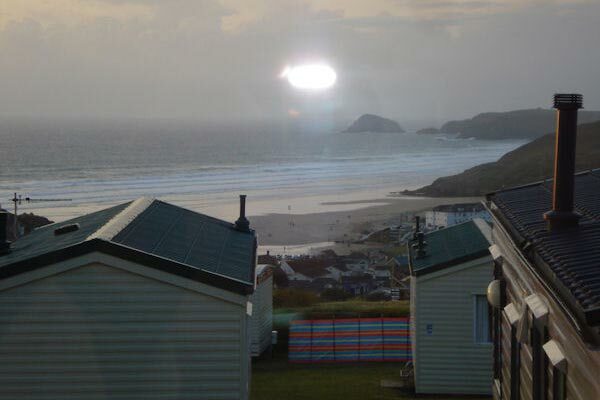 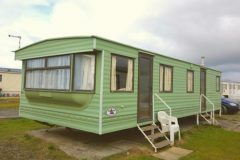 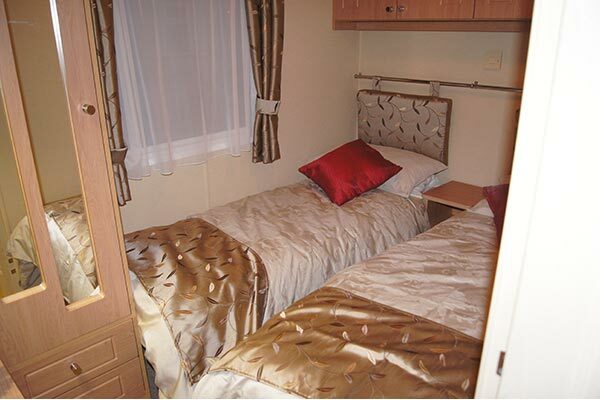 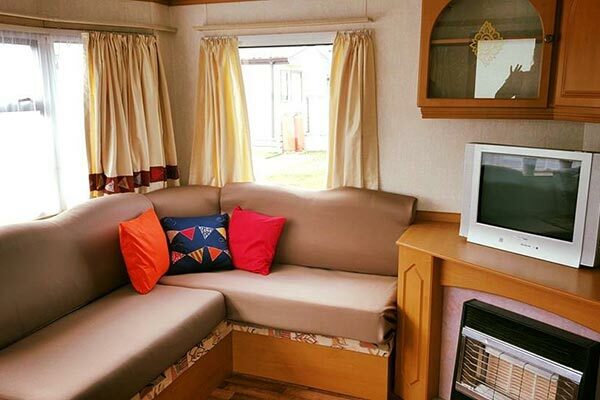 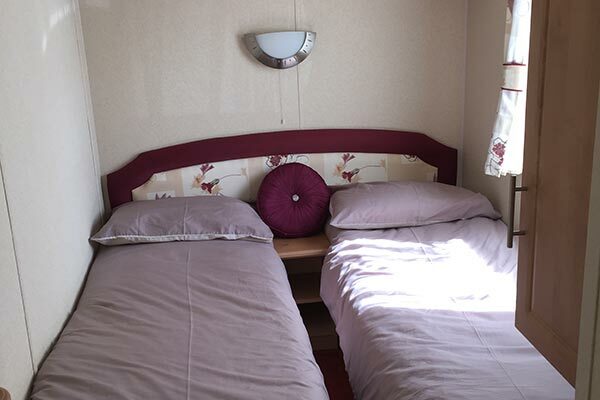 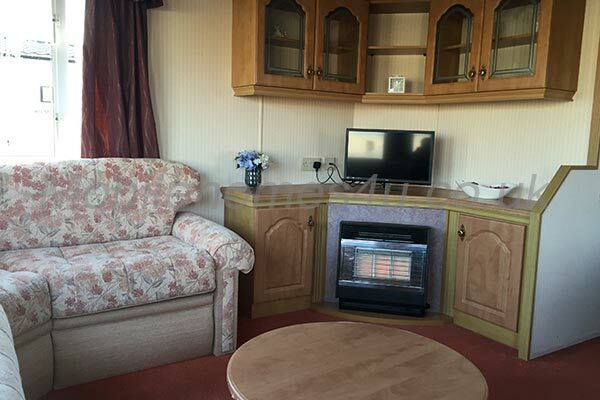 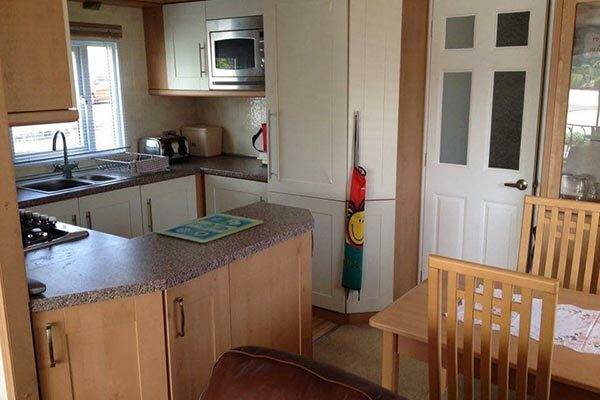 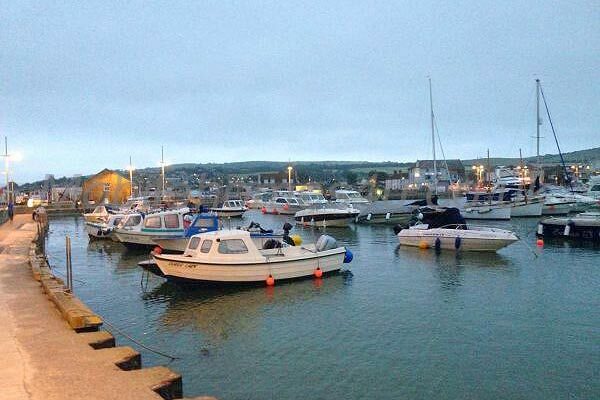 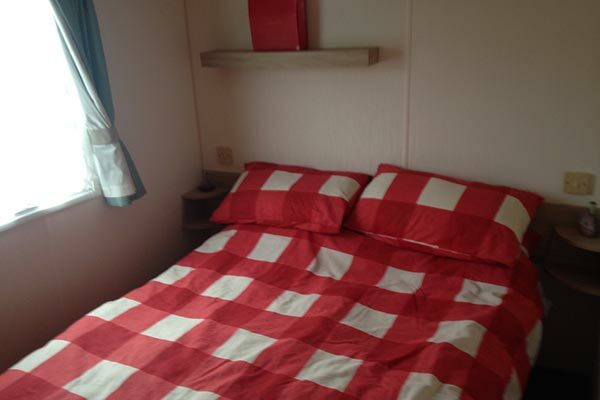 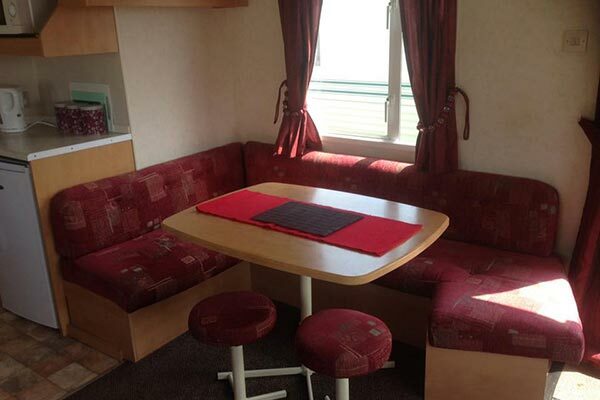 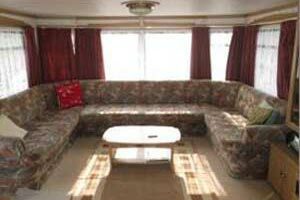 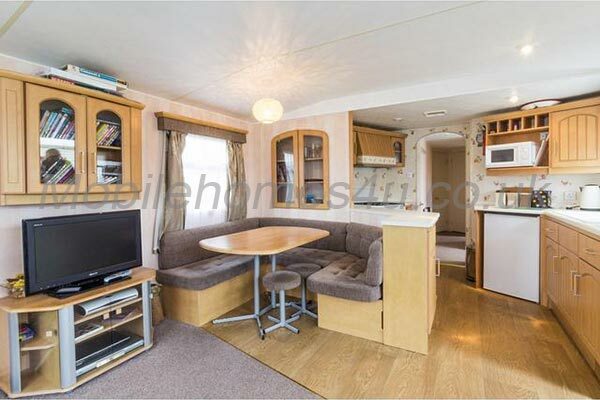 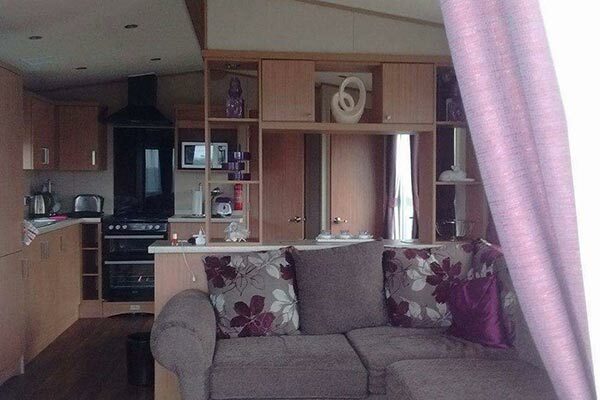 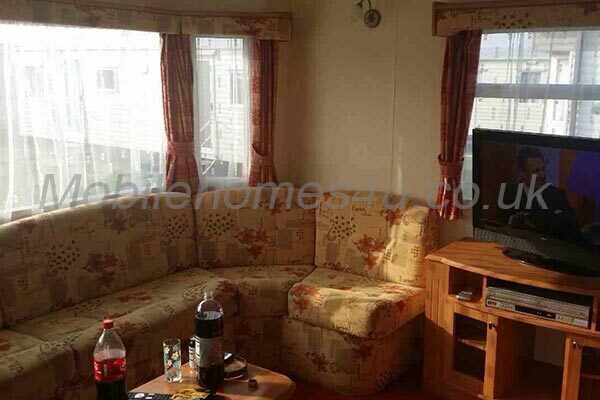 Static caravan in immaculate condition with a great sea view. 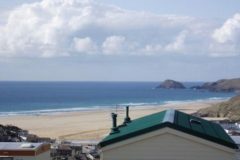 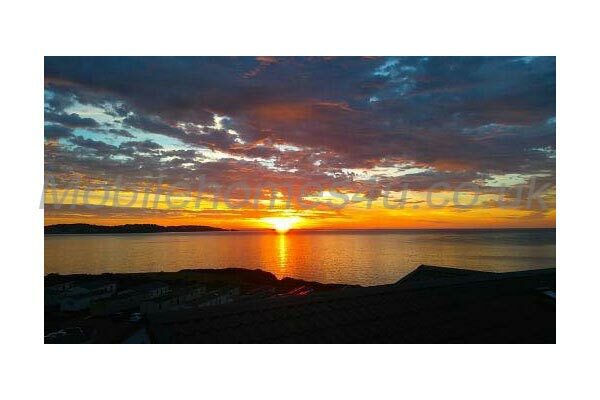 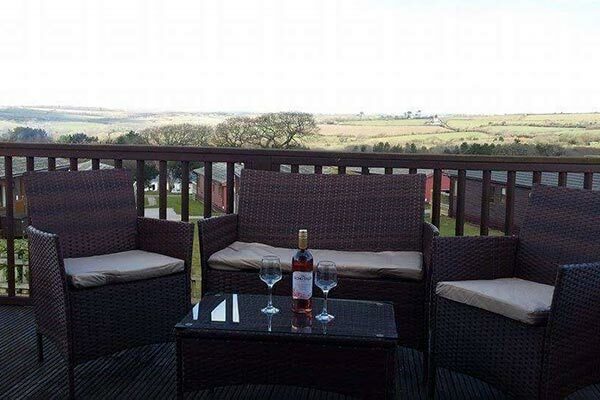 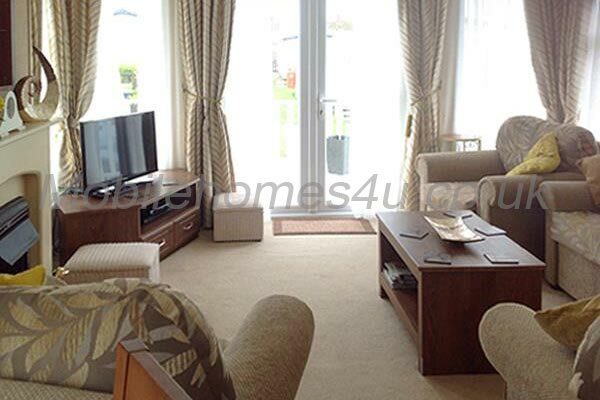 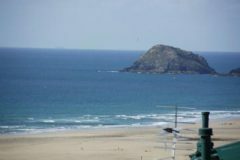 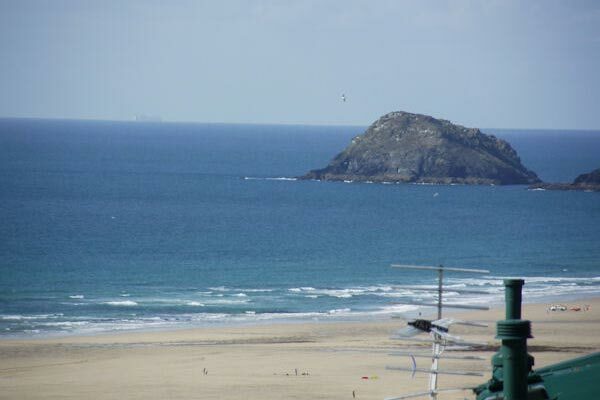 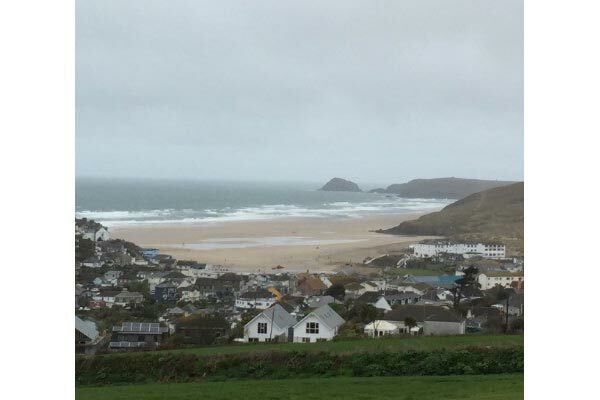 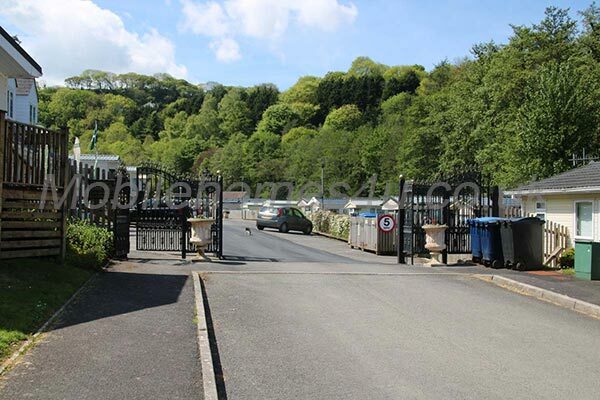 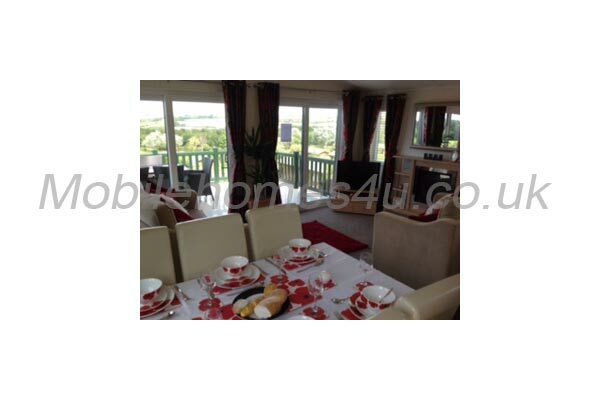 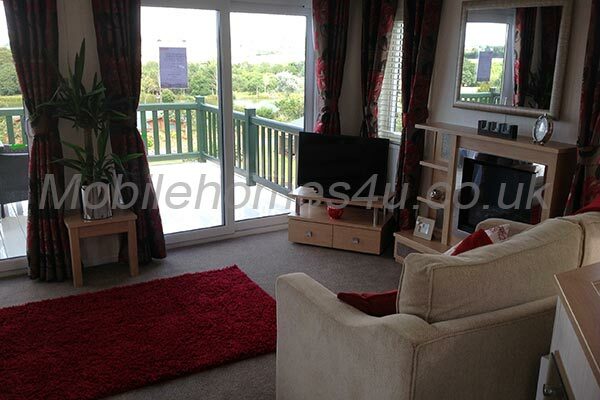 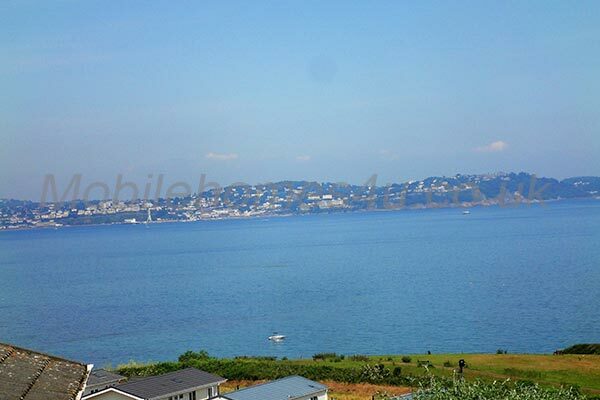 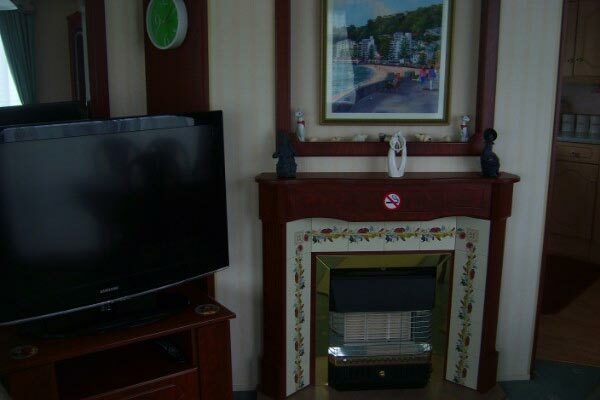 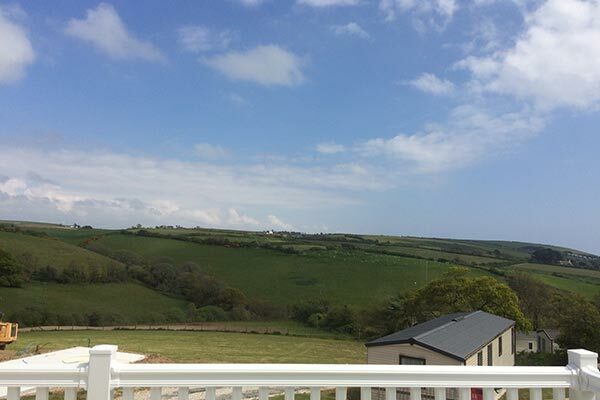 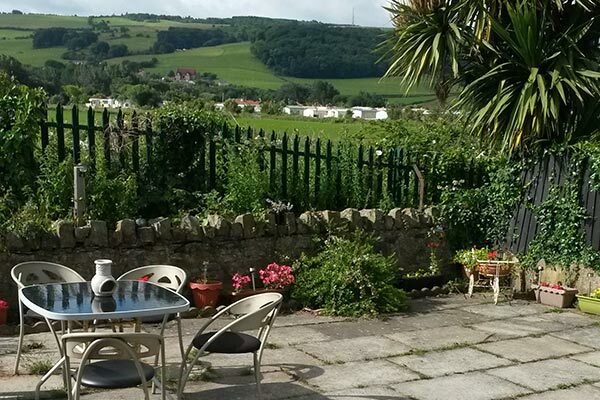 Lovely home with great views of Perranporth Bay and beach. 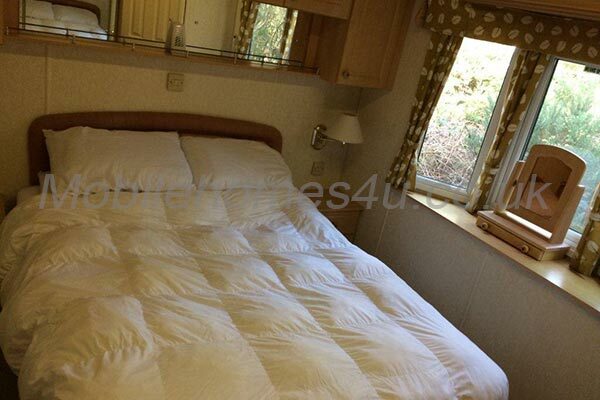 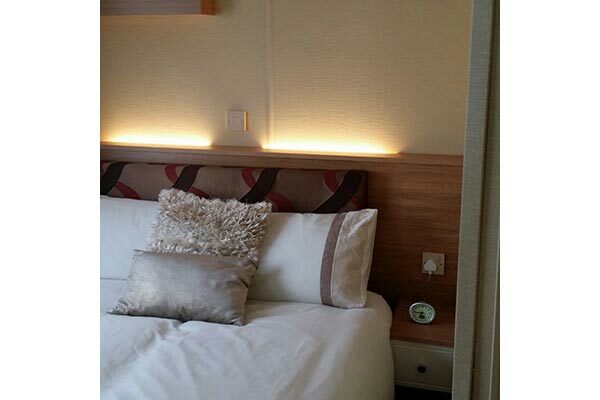 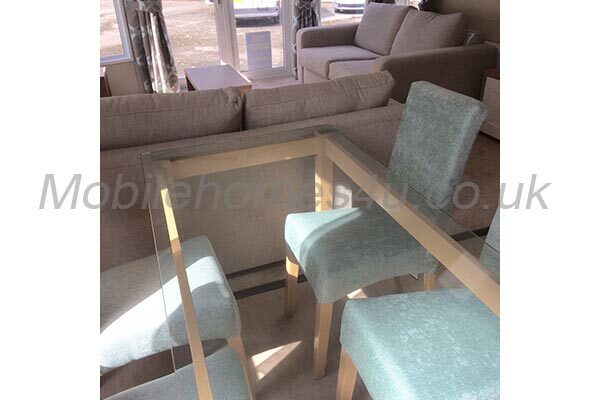 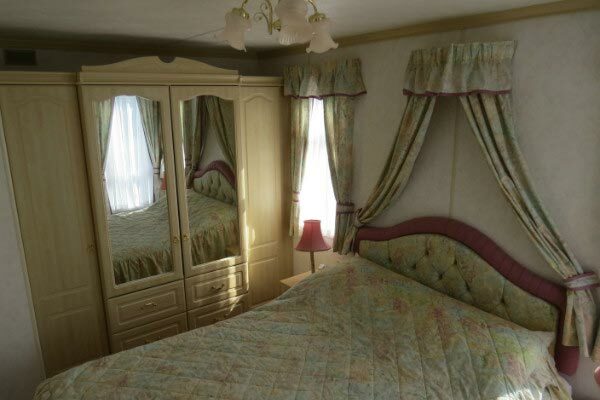 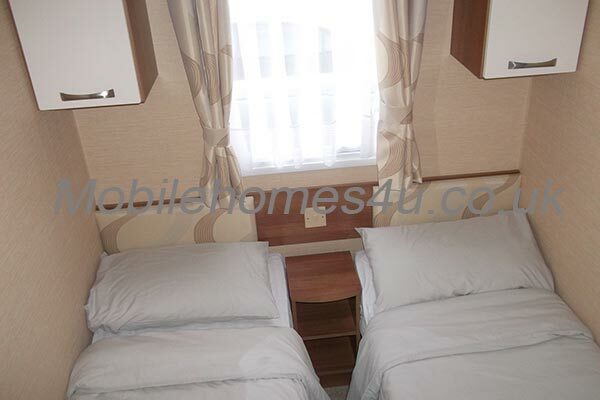 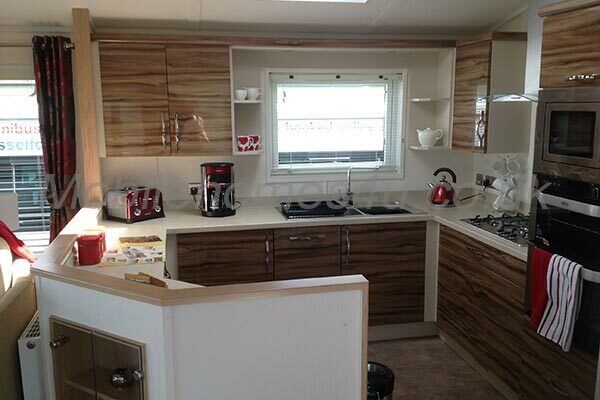 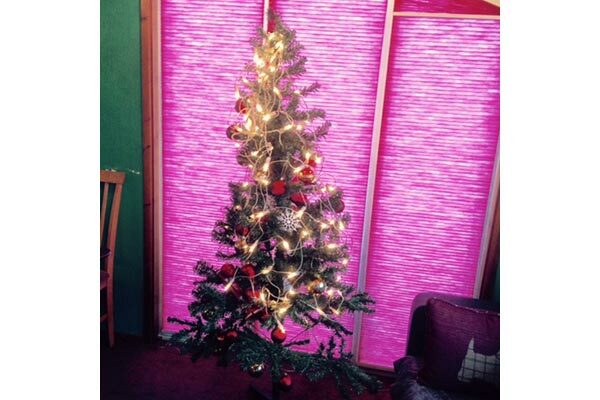 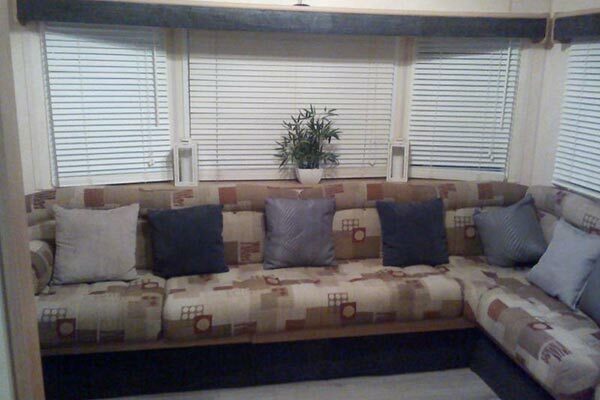 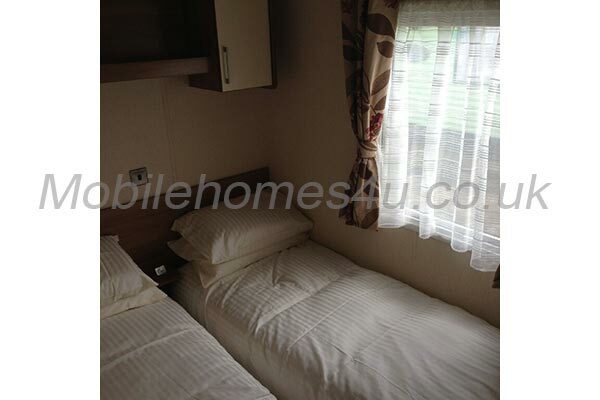 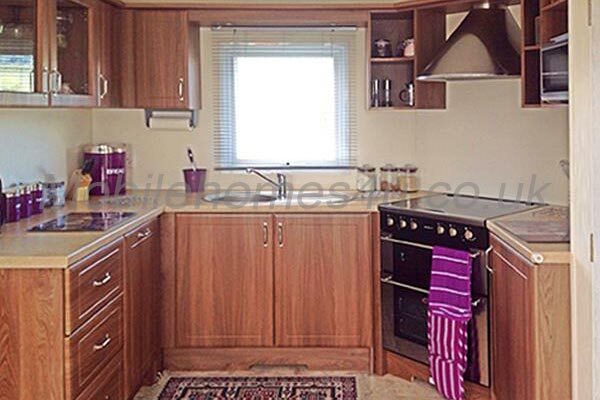 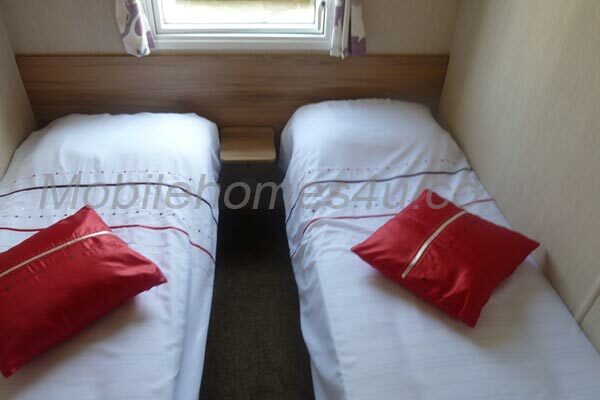 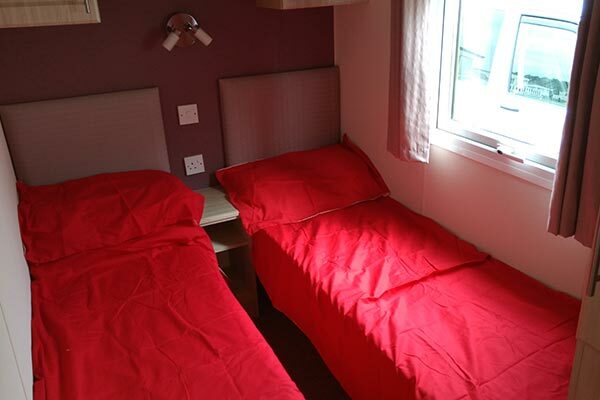 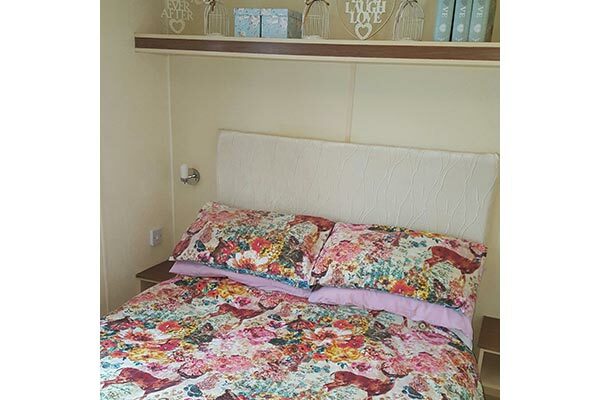 Luxury caravan with double glazing, heating and decking. 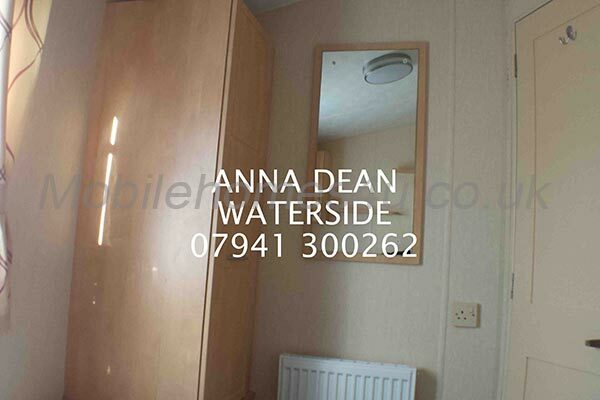 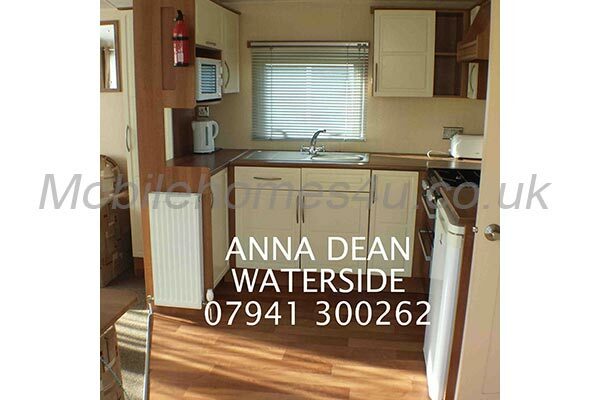 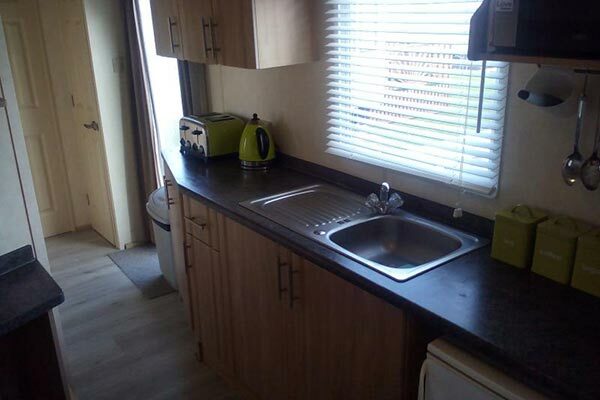 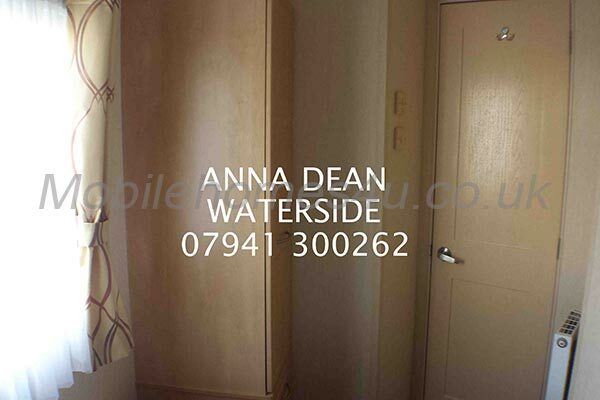 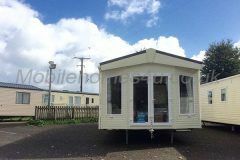 Lovely caravan with double glazing, heating, veranda and sea view. 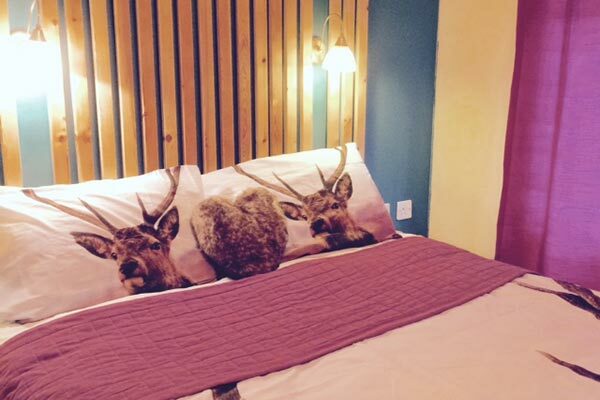 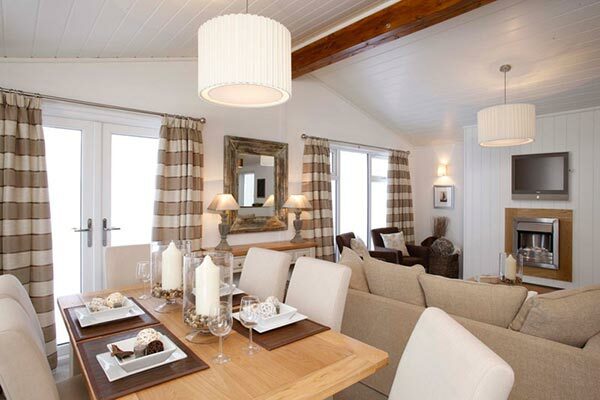 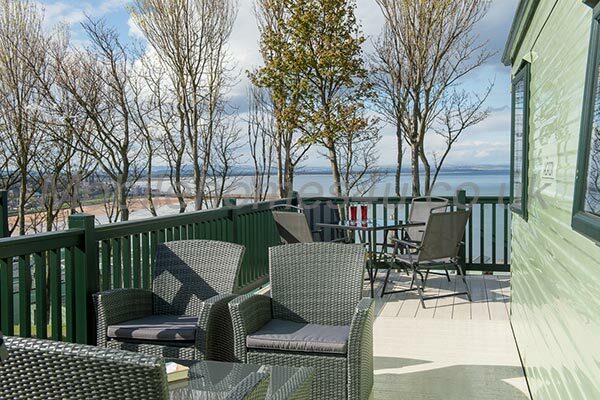 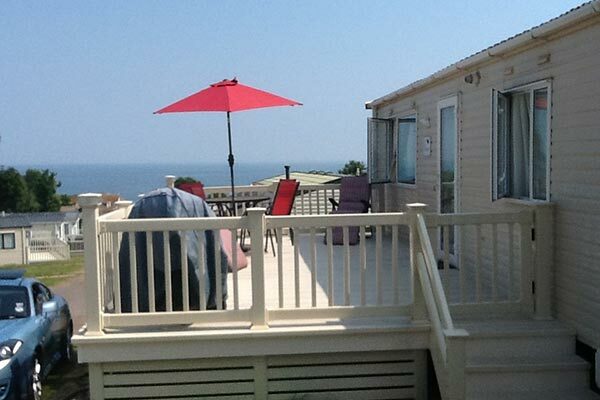 Stunning lodge with private decking close to the beach. 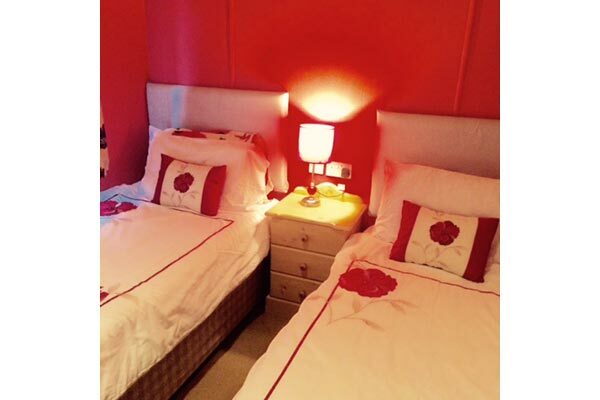 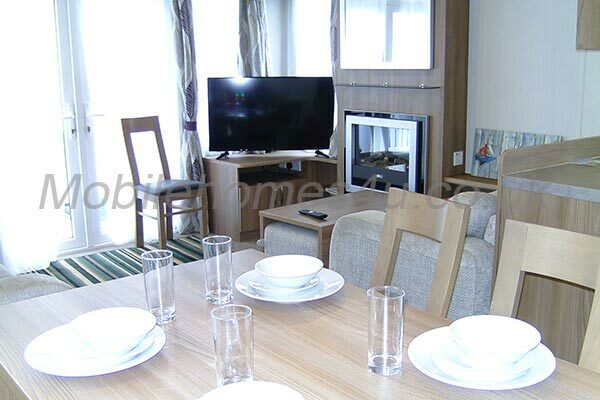 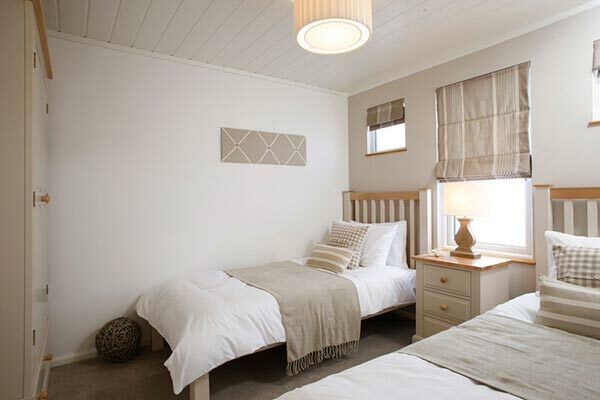 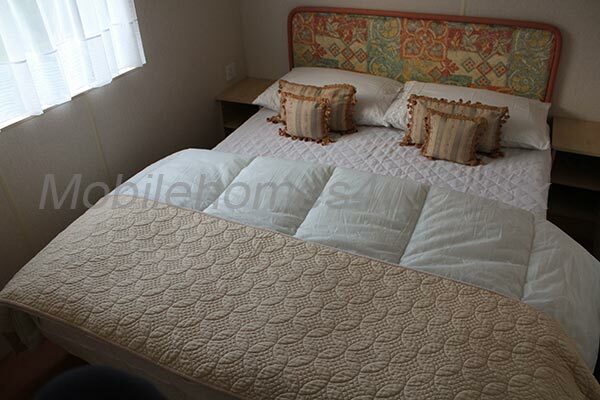 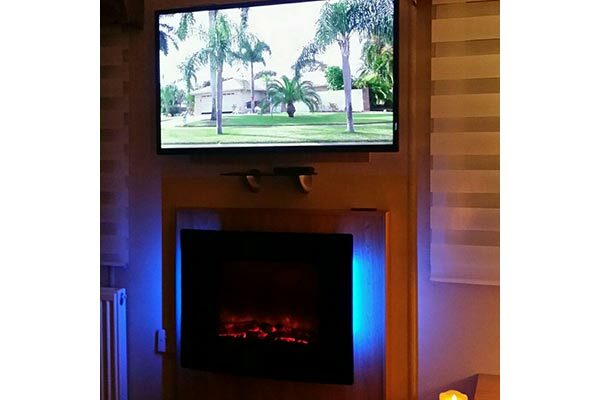 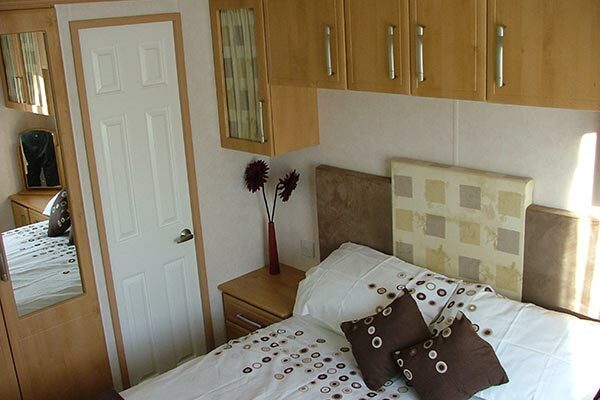 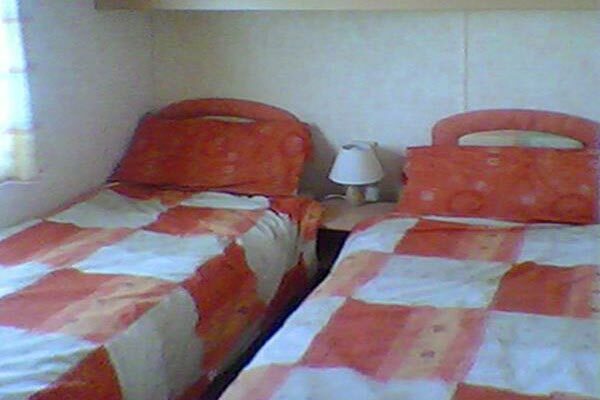 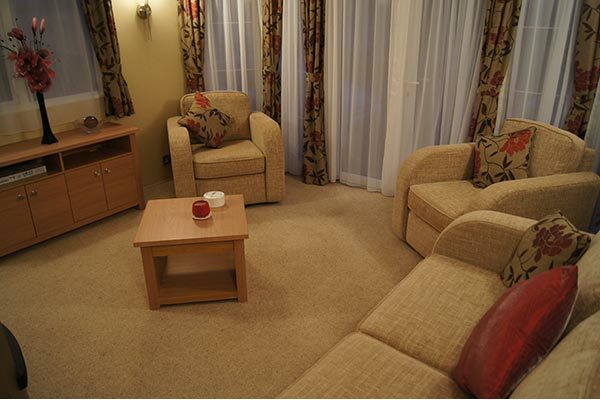 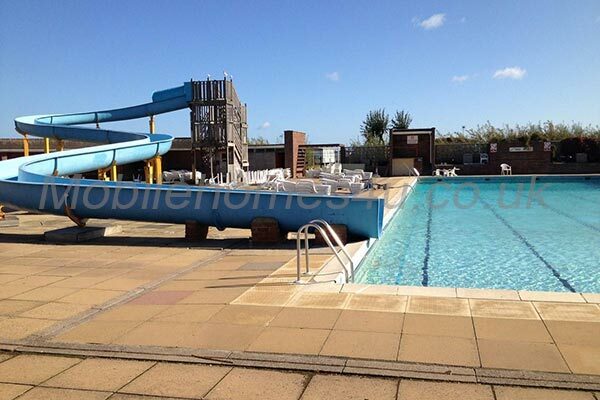 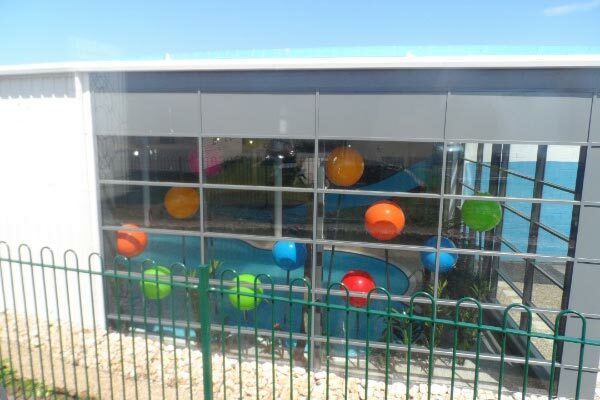 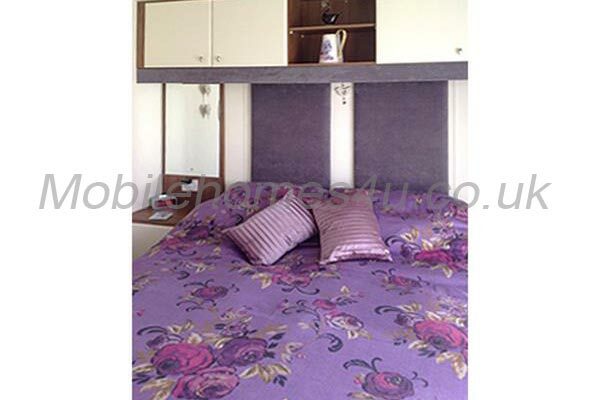 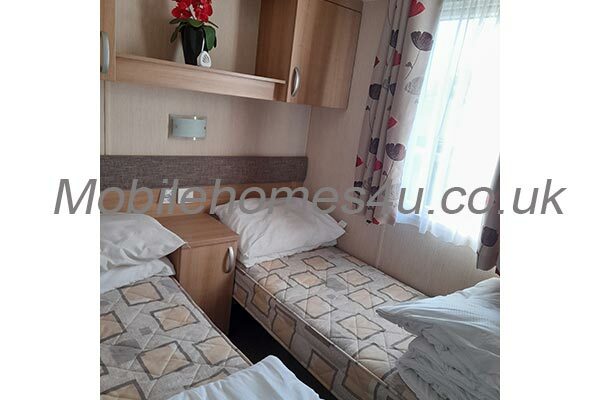 Luxury 3 bedroom caravan near facilities and swimming pools. 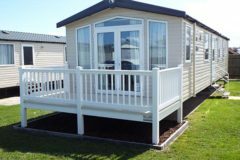 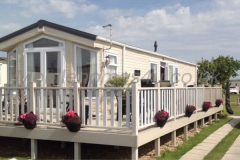 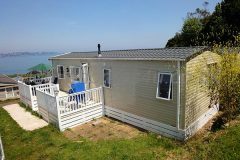 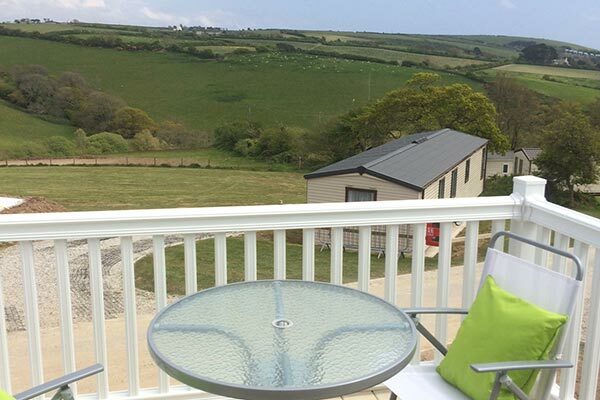 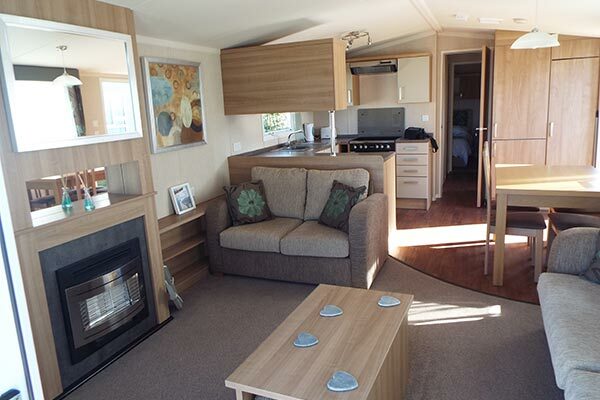 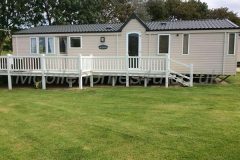 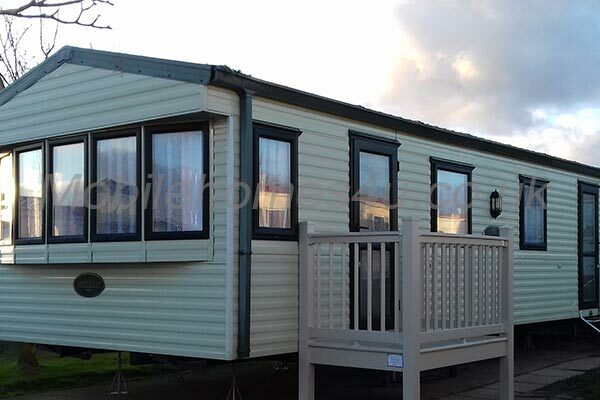 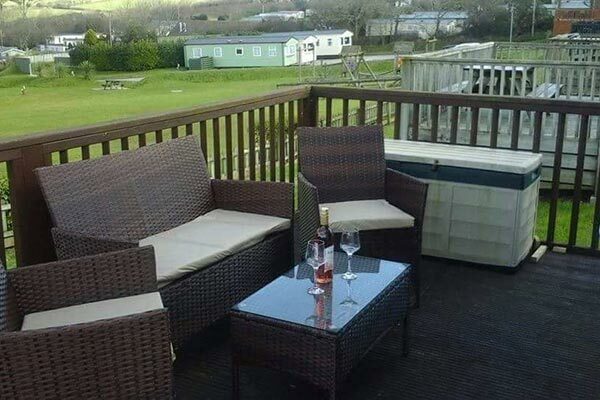 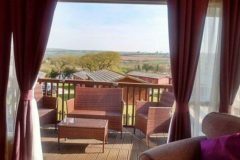 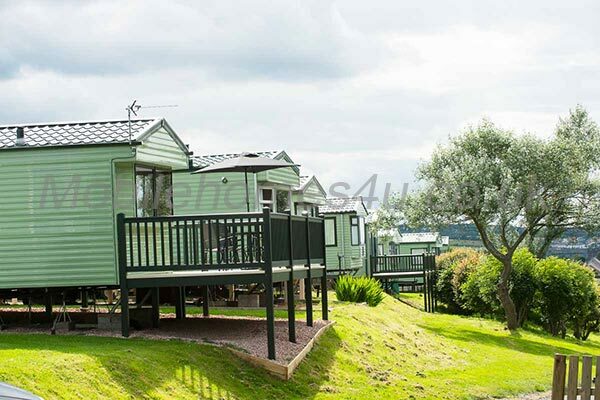 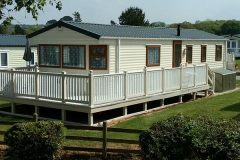 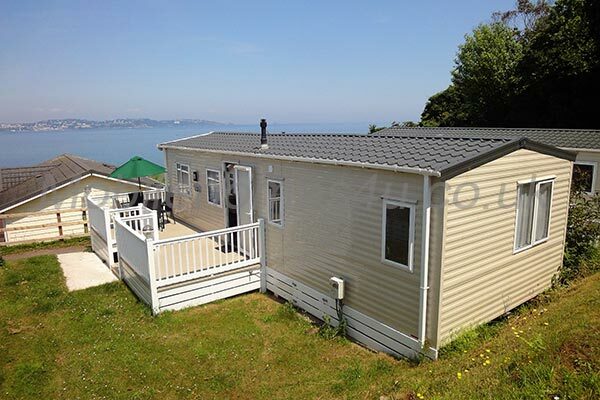 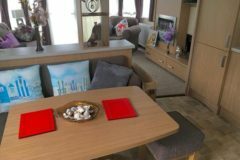 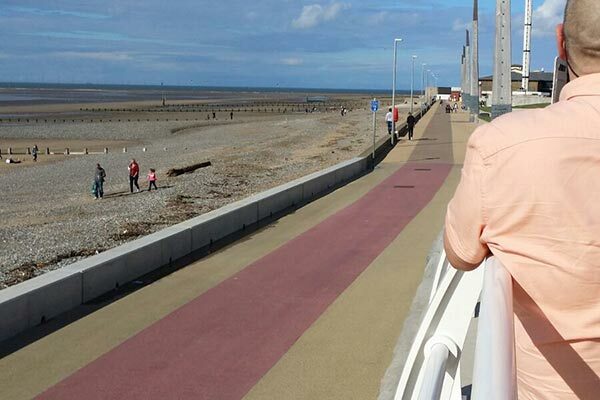 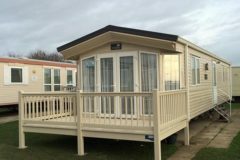 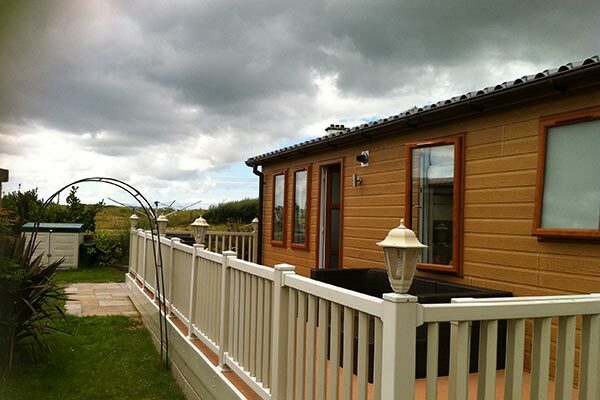 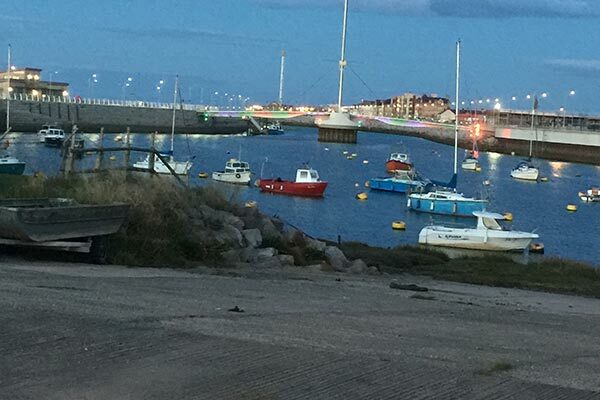 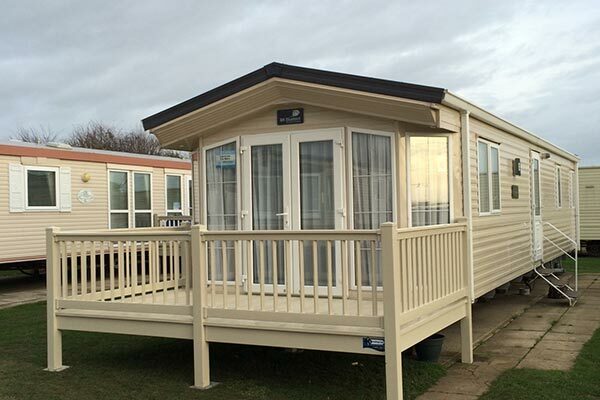 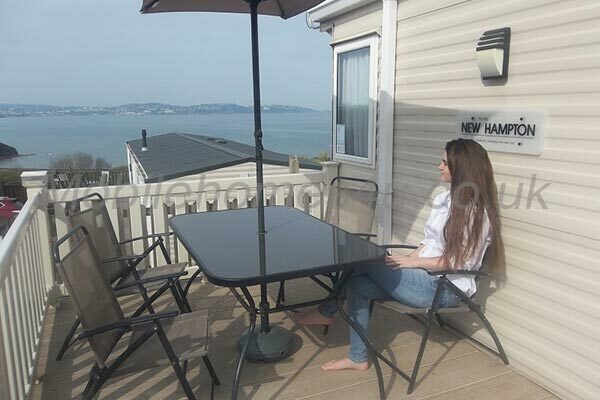 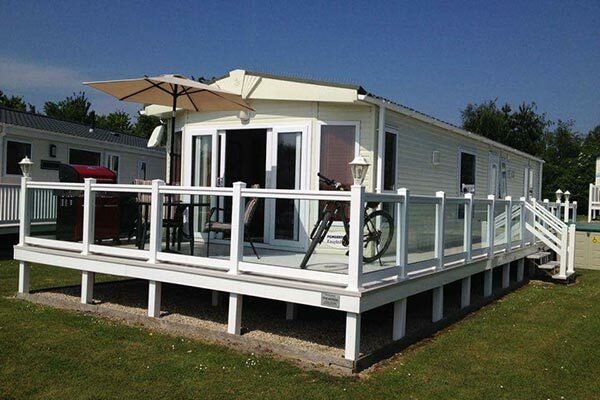 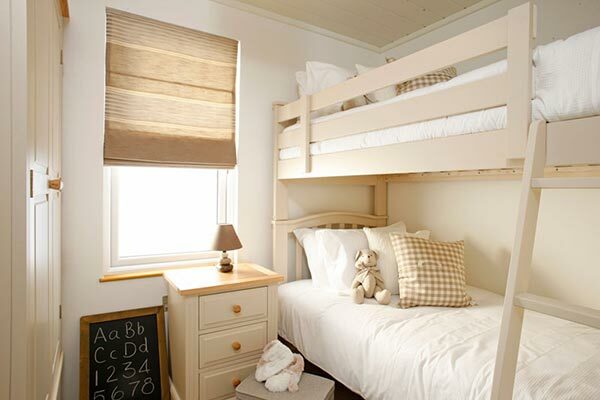 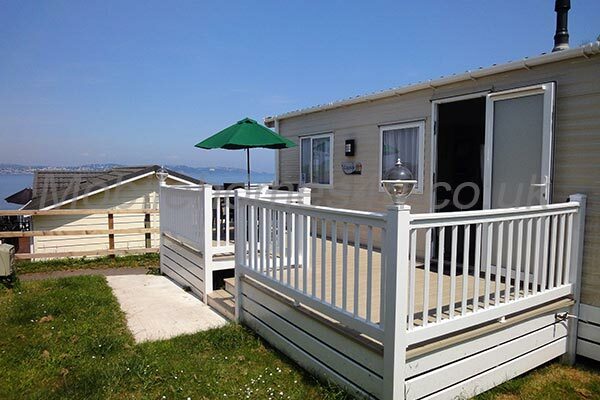 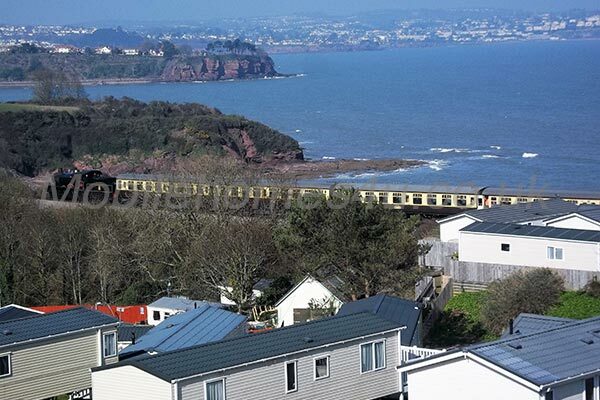 Luxury caravan with decking and panoramic coastal views. 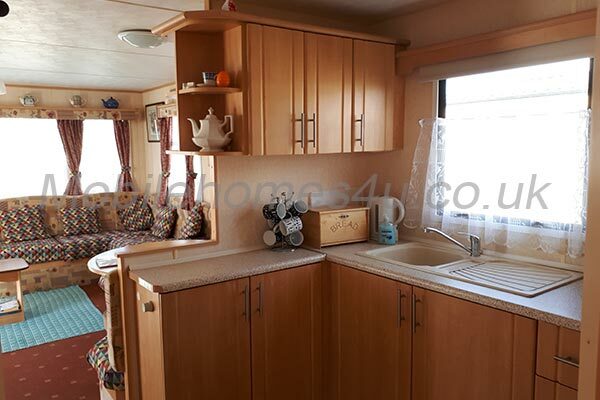 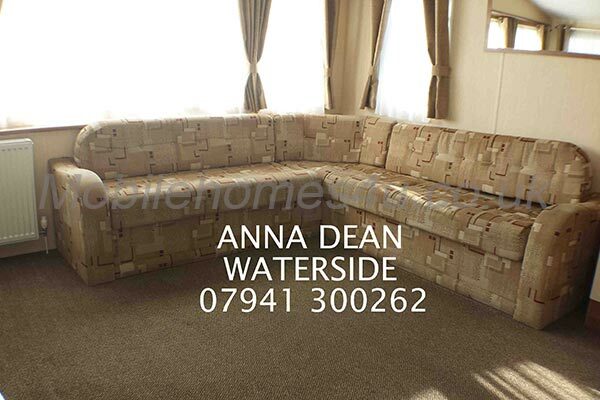 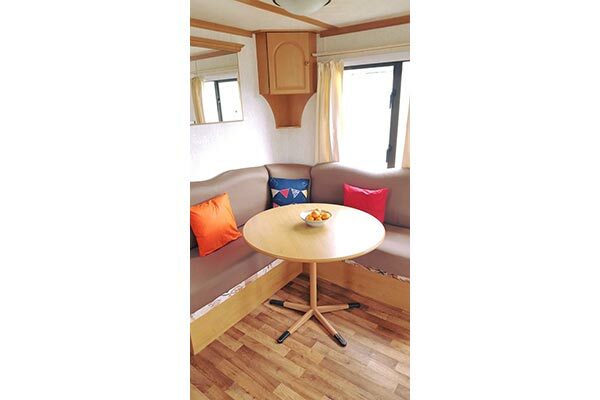 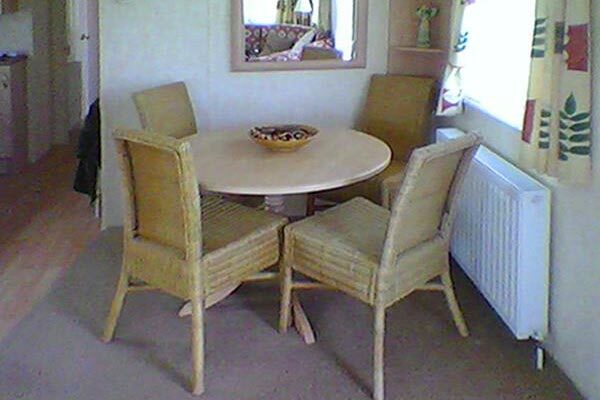 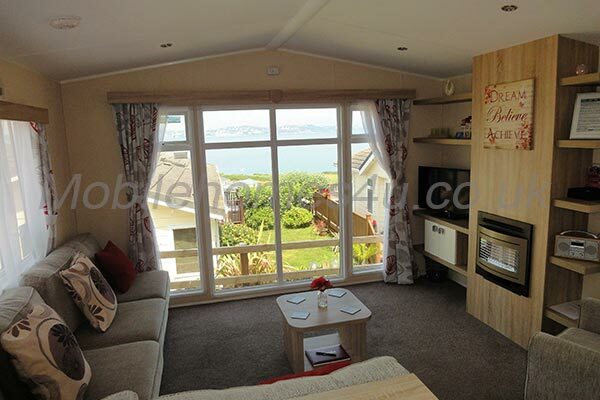 Gold plus caravan with decked patio and sea views. 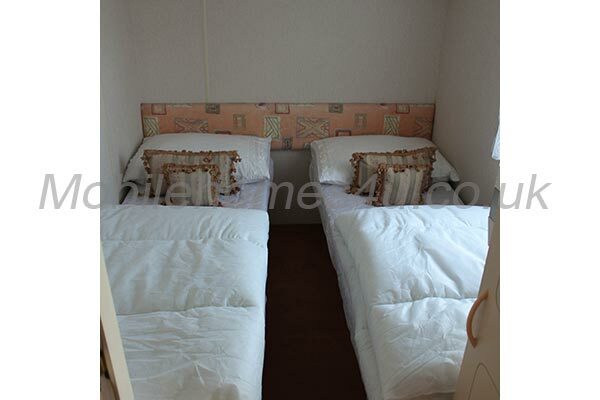 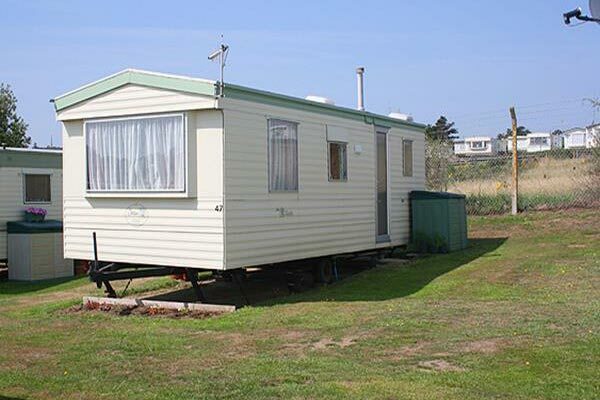 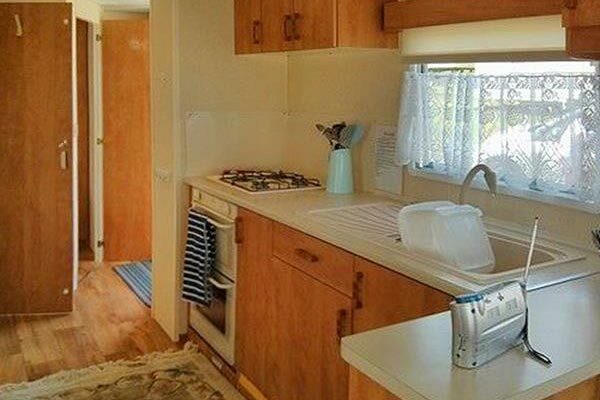 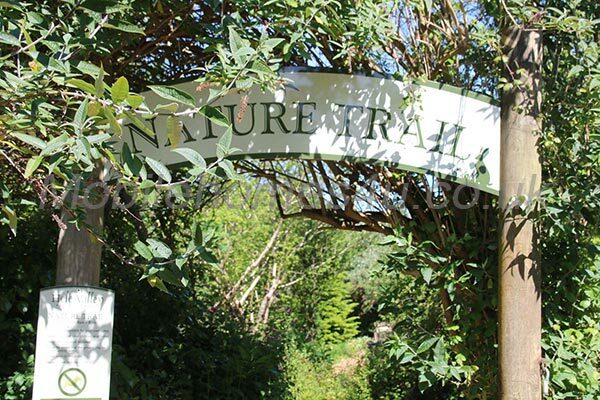 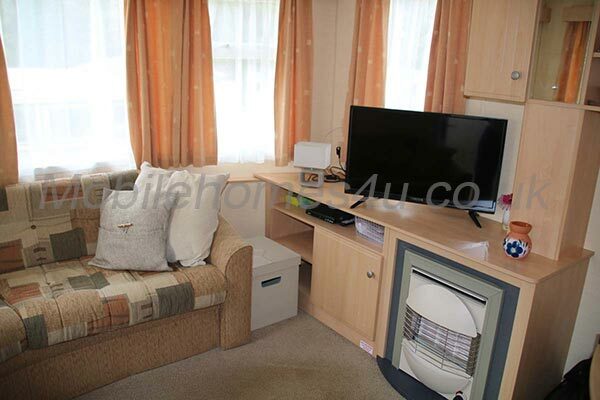 Well equipped caravan in prime location close to the beach. 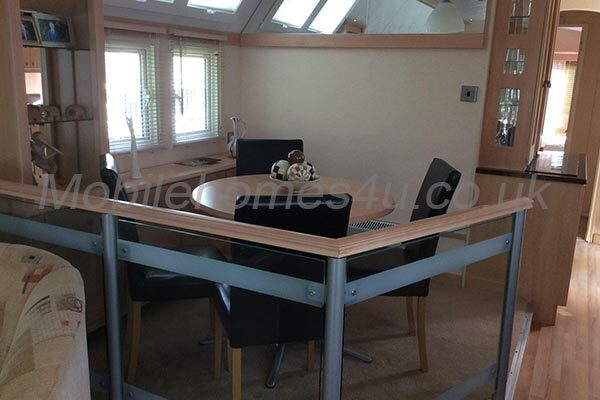 Well equpped caravan with double glazing and decked veranda. 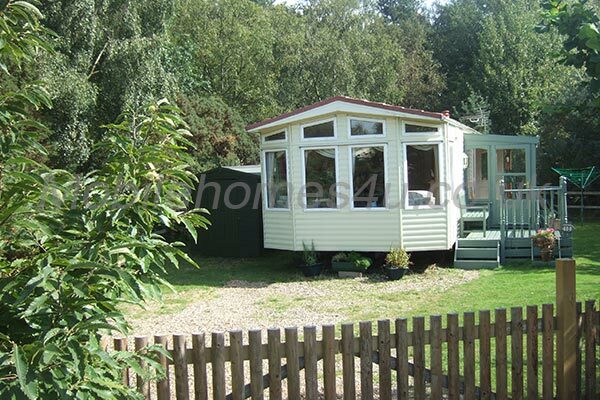 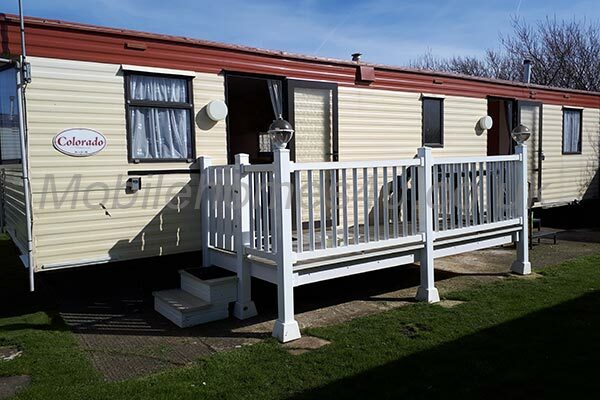 Lovely caravan with decked veranda close to amenities. 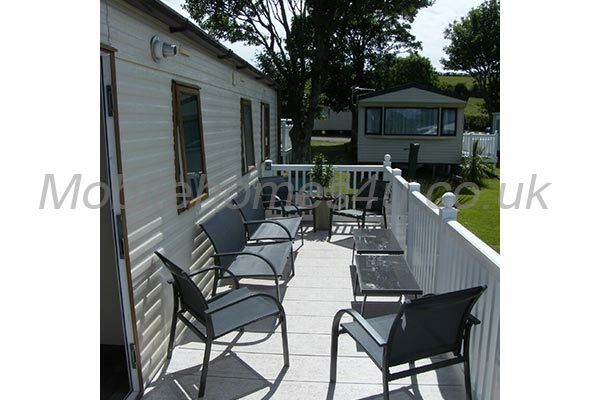 Luxury caravan with sun deck right by the beach. 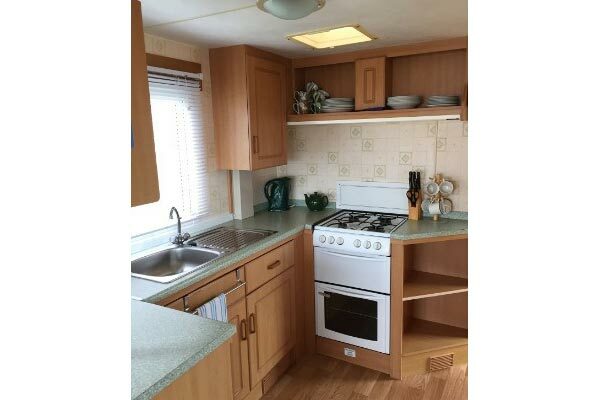 Lovely double glazed static caravan with central heating. 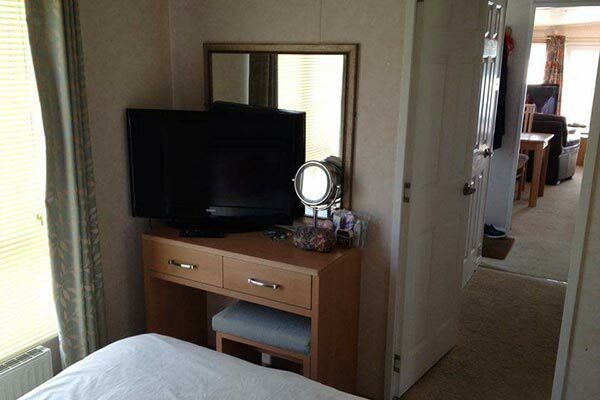 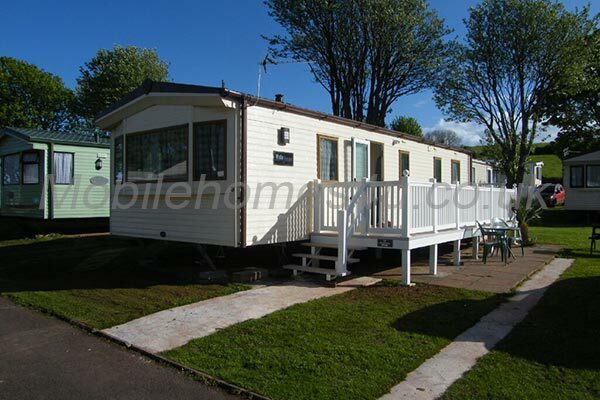 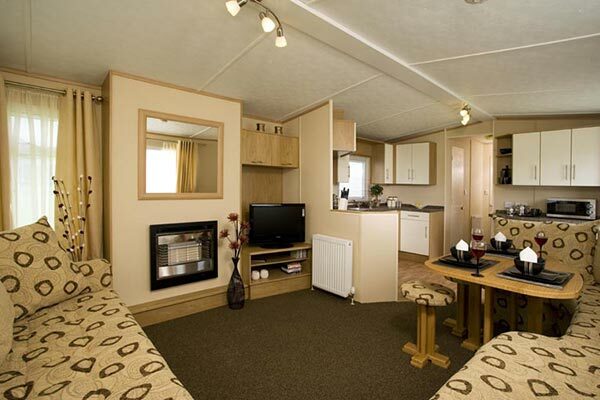 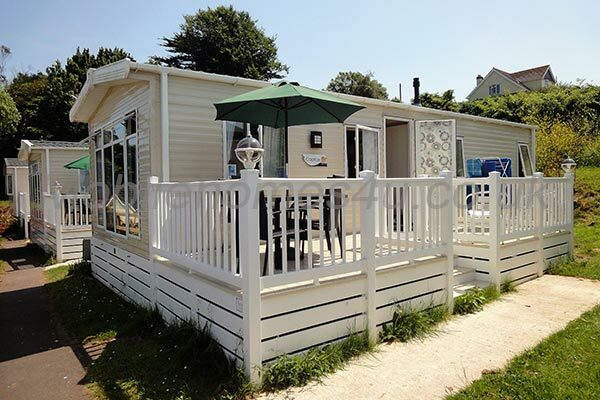 Luxury caravan close to the beach and all amenities. 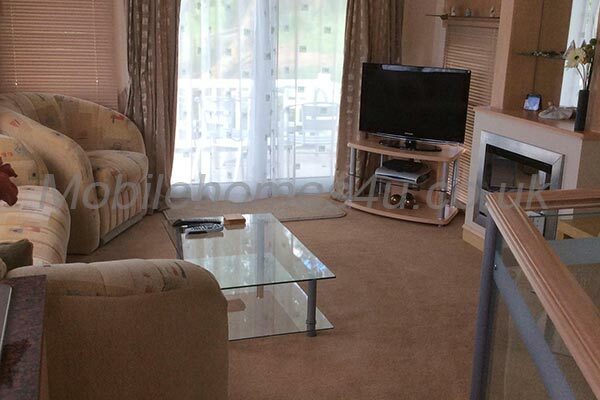 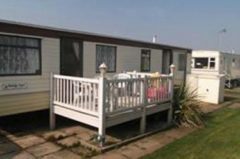 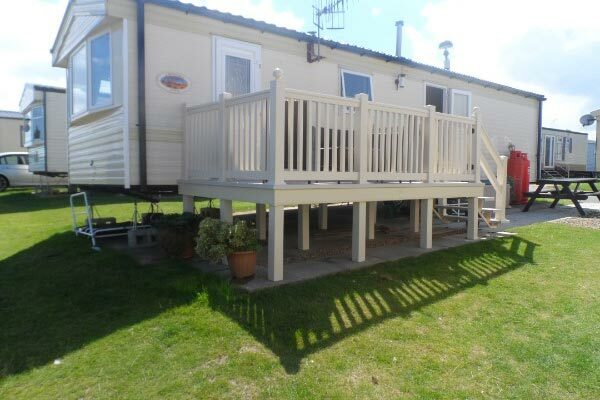 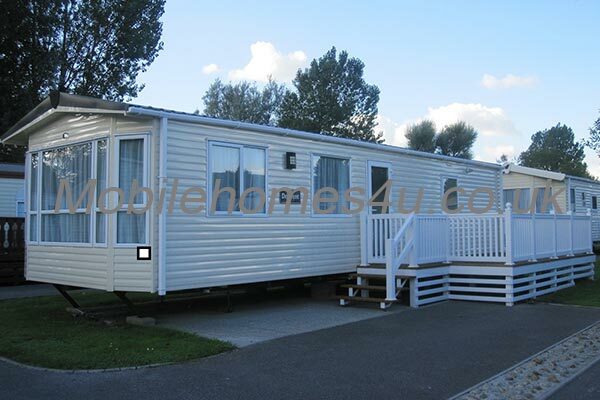 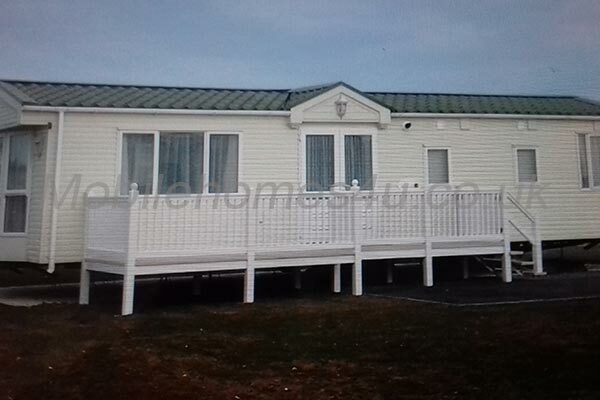 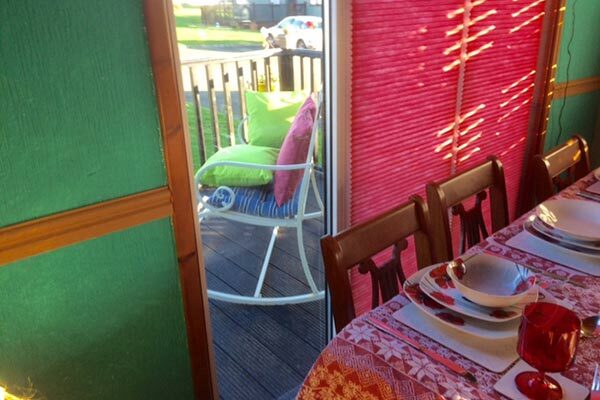 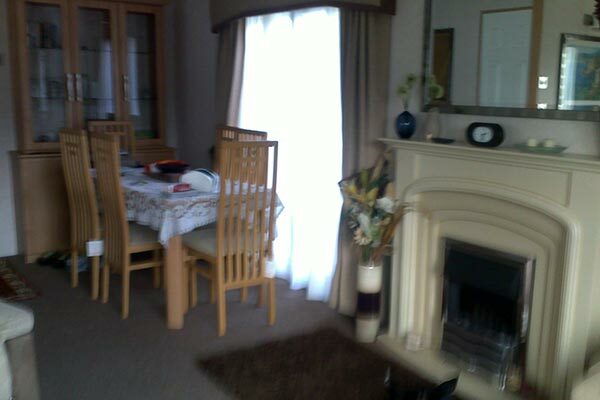 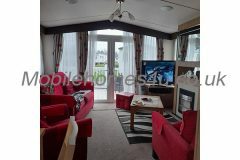 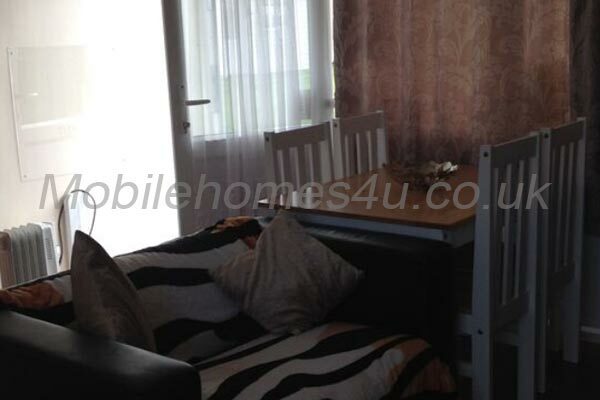 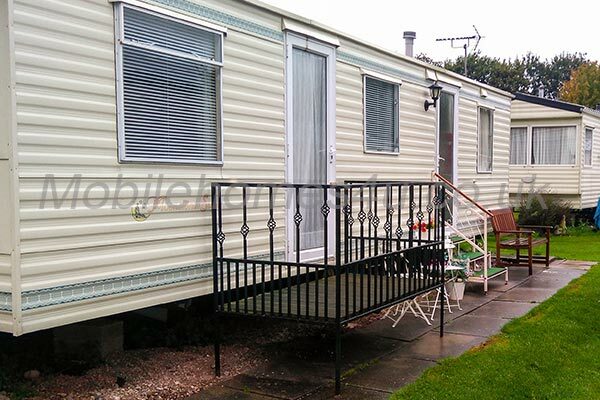 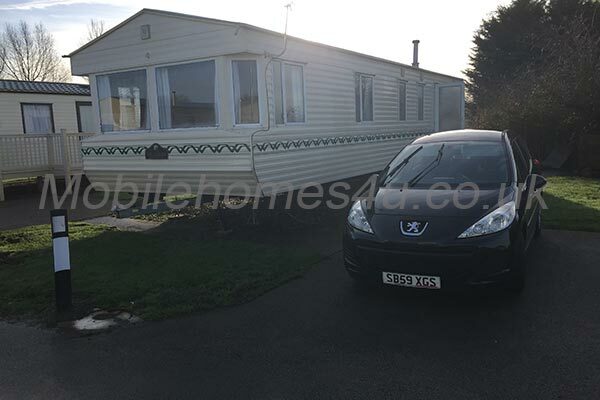 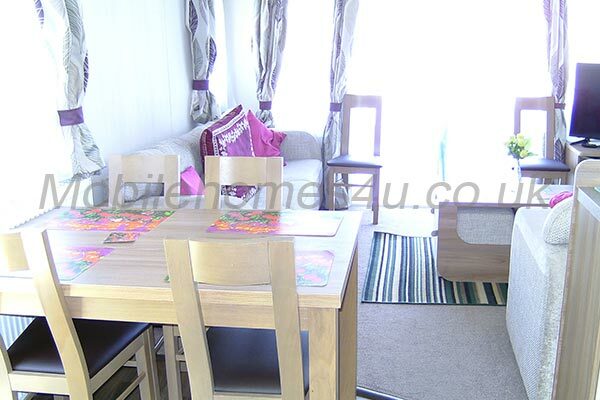 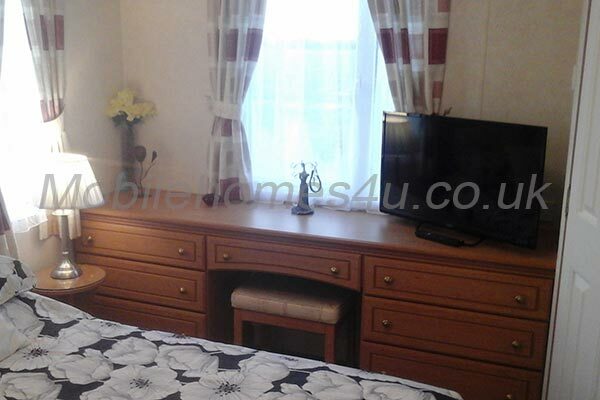 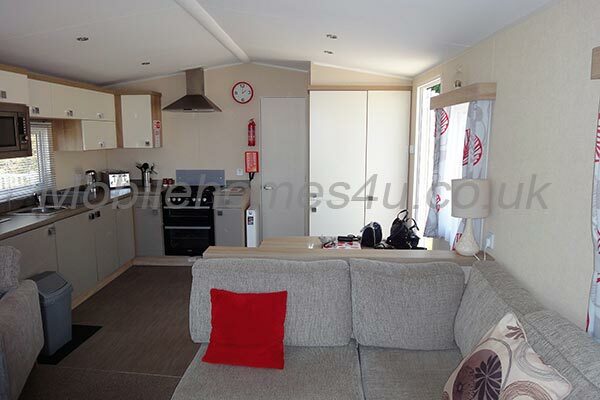 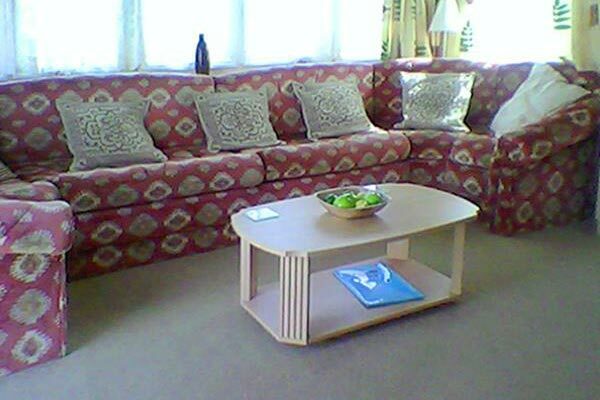 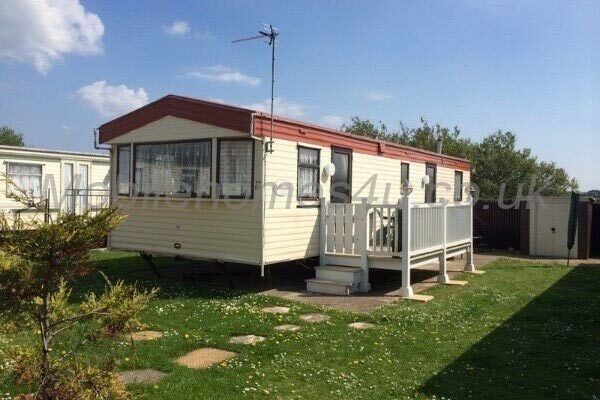 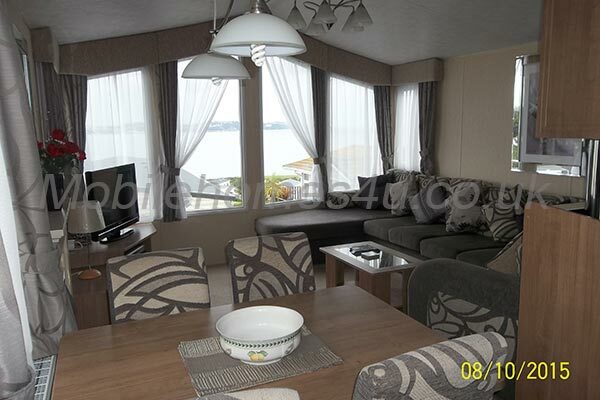 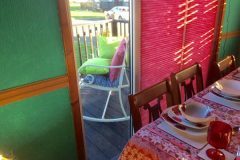 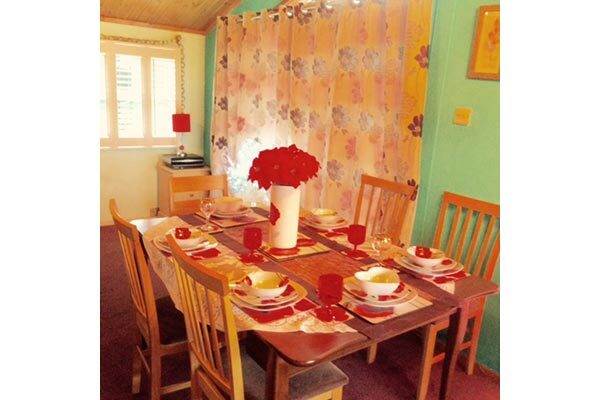 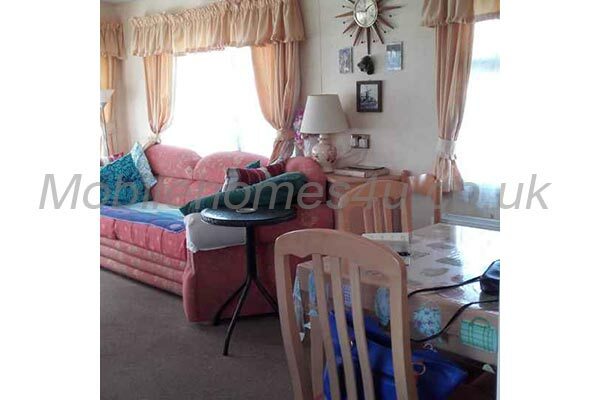 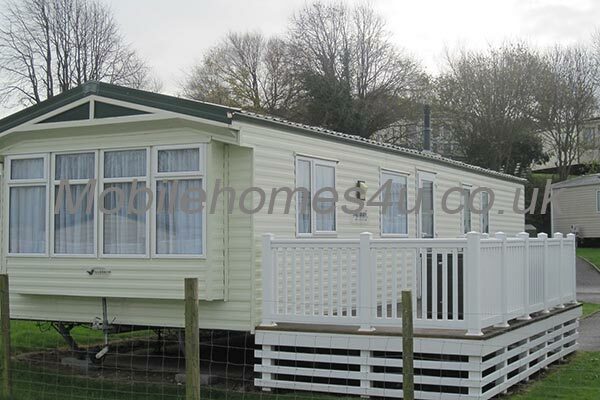 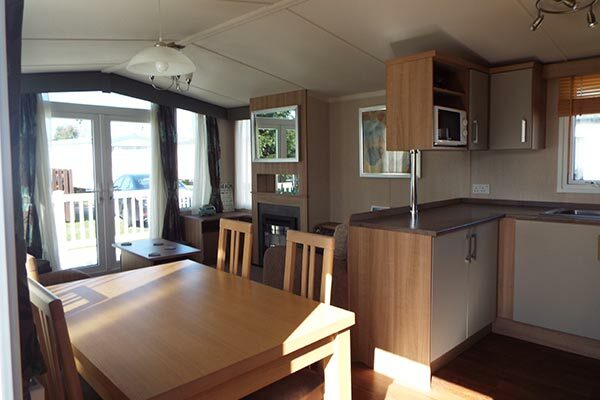 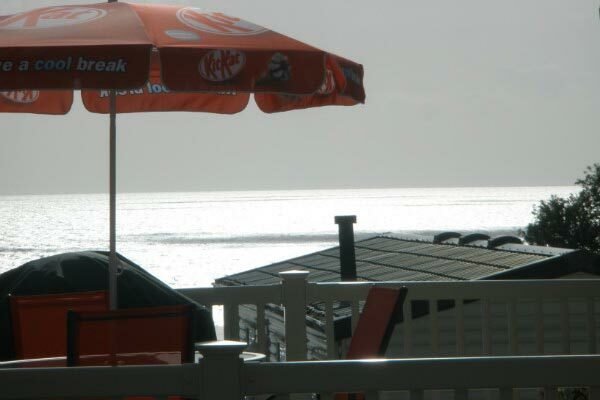 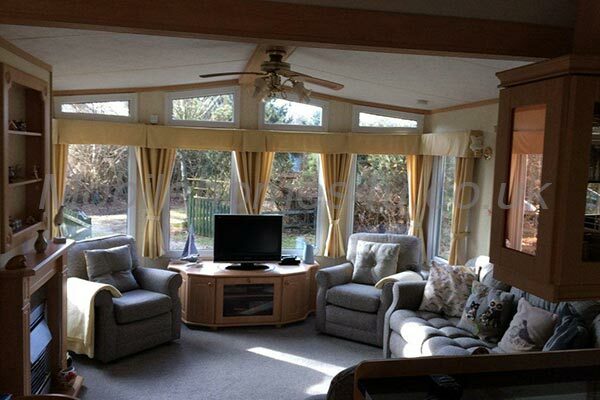 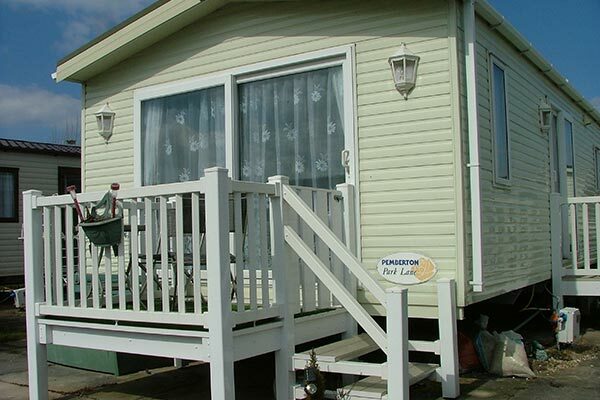 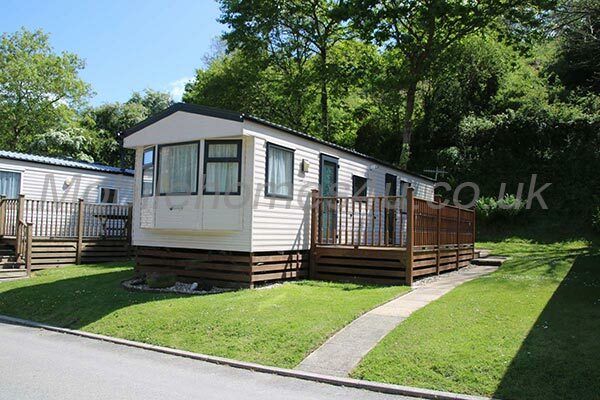 Lovely heated caravan with gated veranda close to the beach. 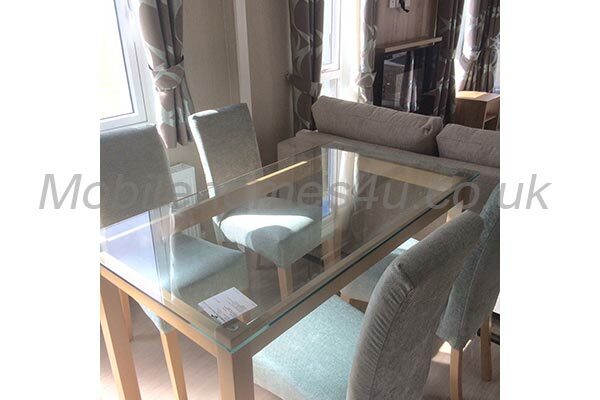 Luxury holiday home with double glazing and decked veranda. 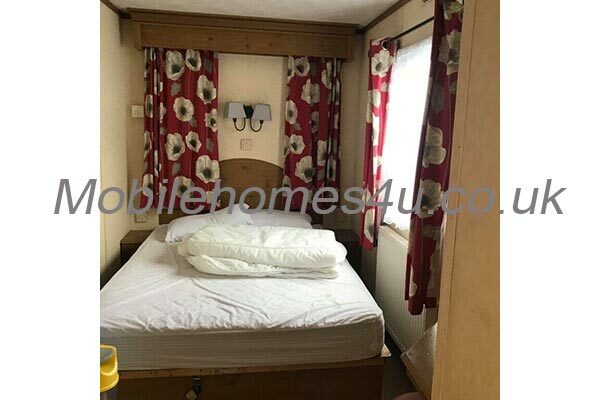 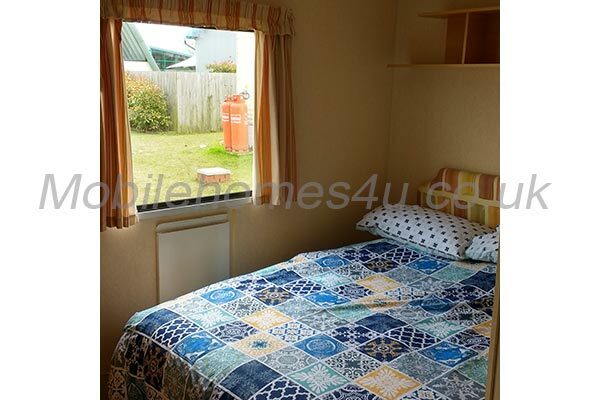 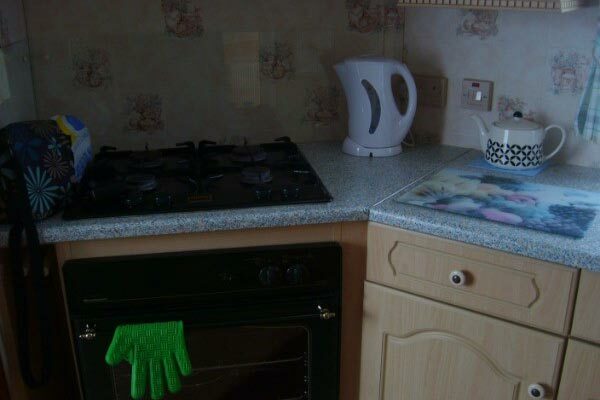 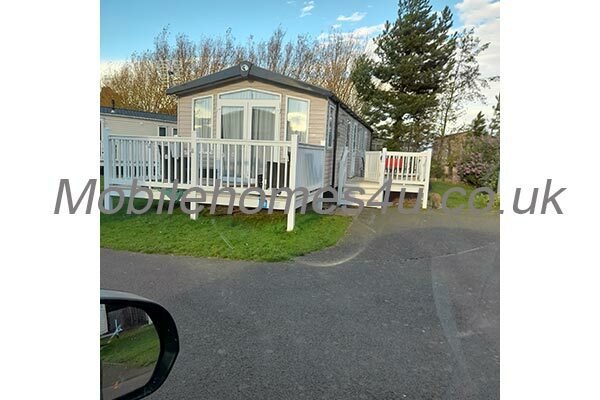 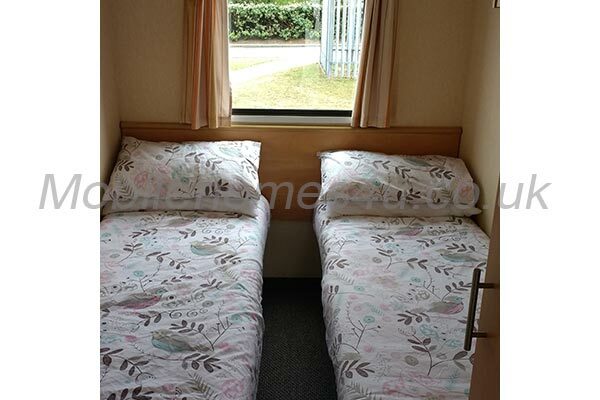 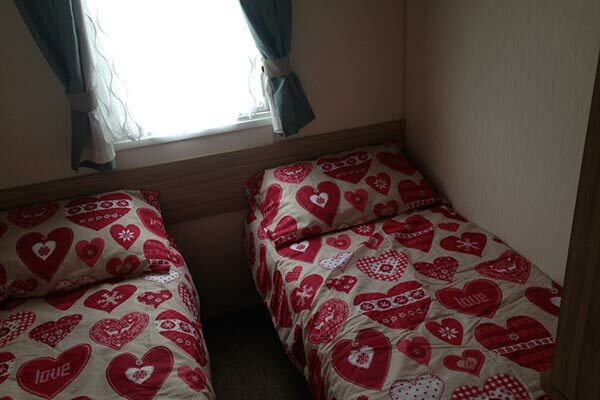 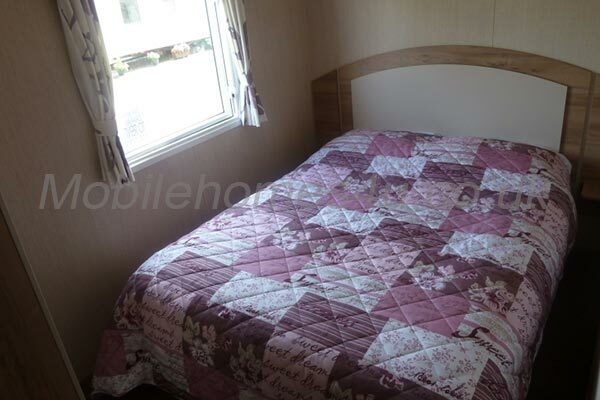 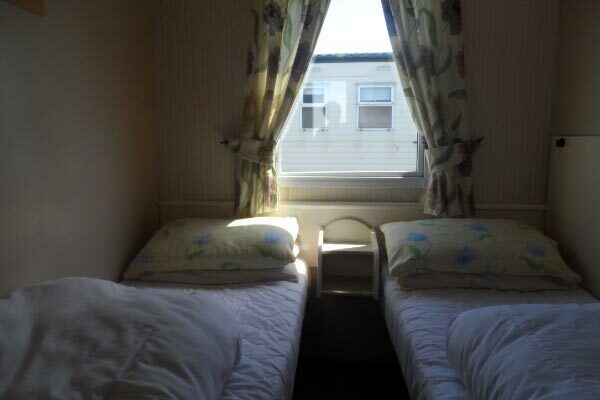 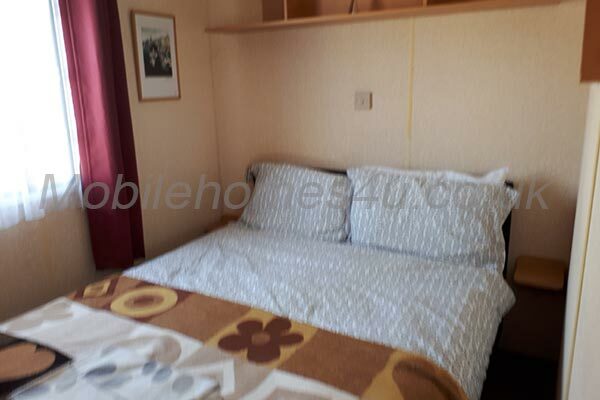 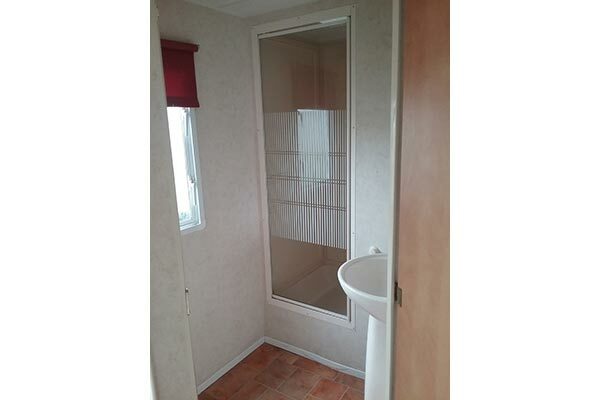 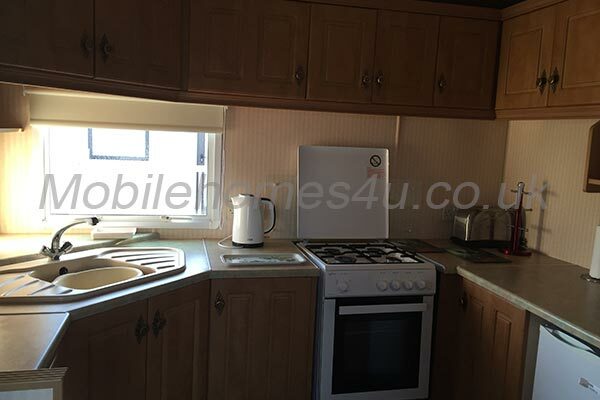 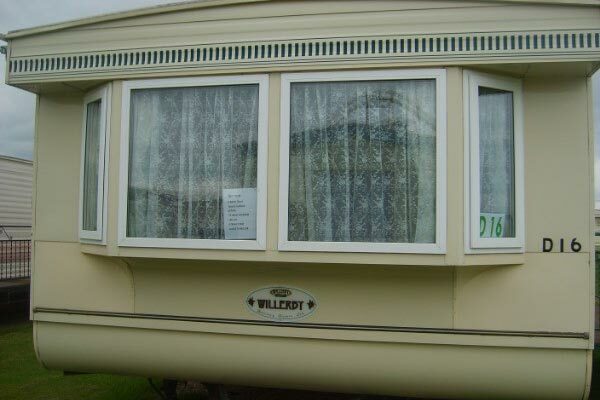 Double glazed heated caravan, close to beach and Ingoldmells. 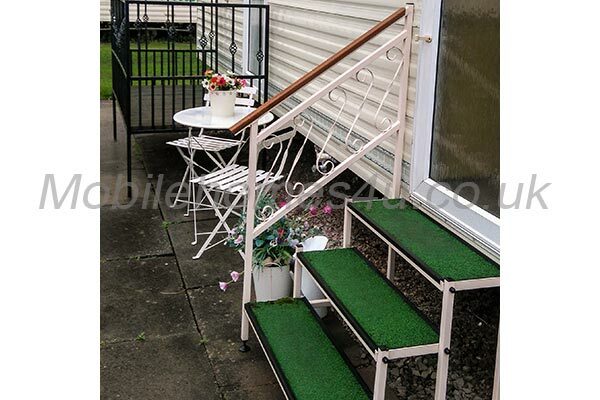 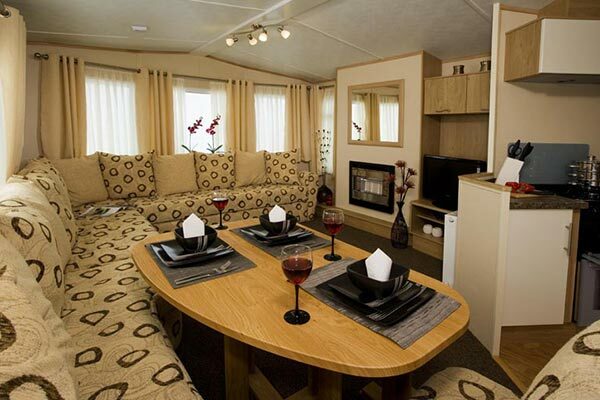 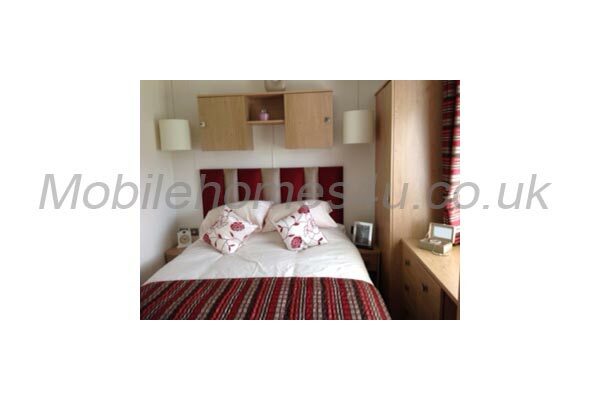 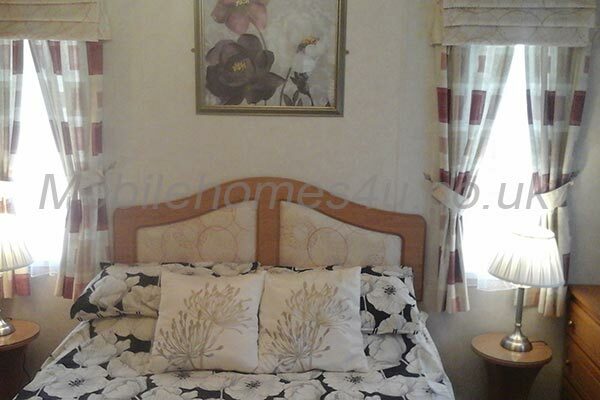 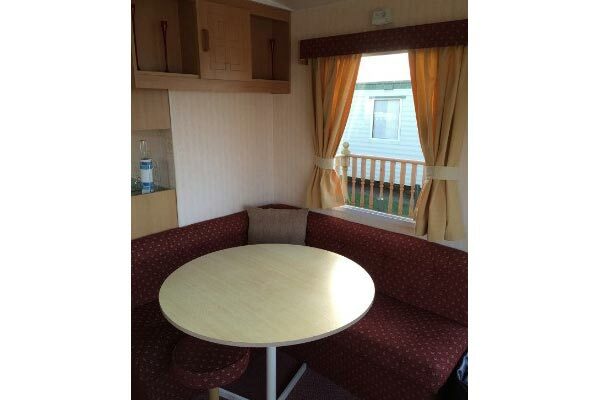 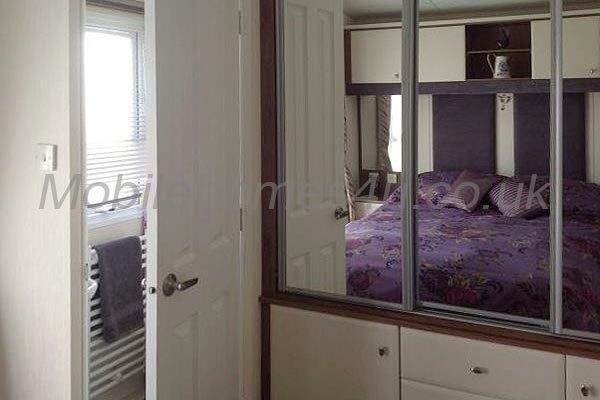 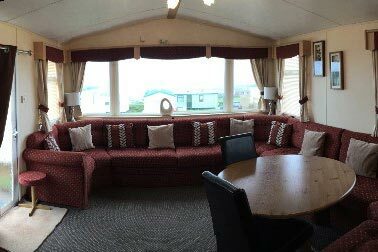 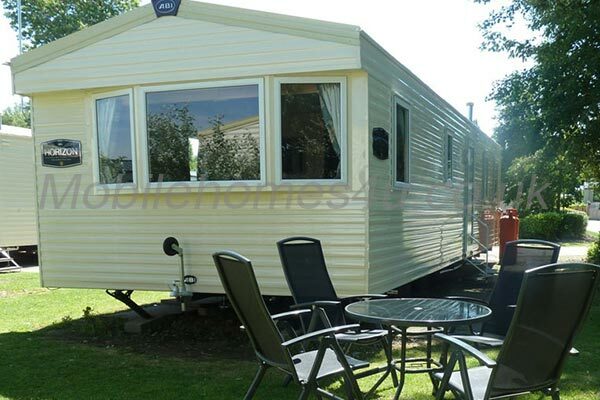 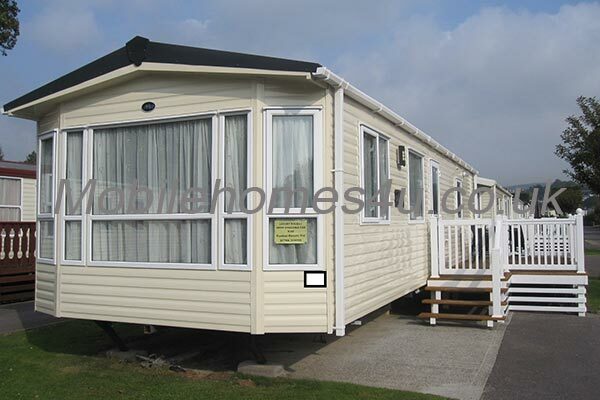 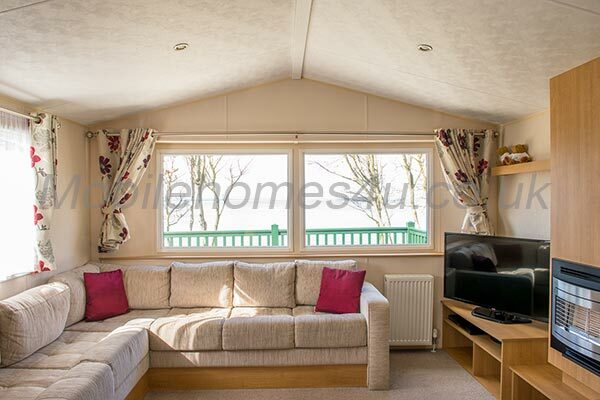 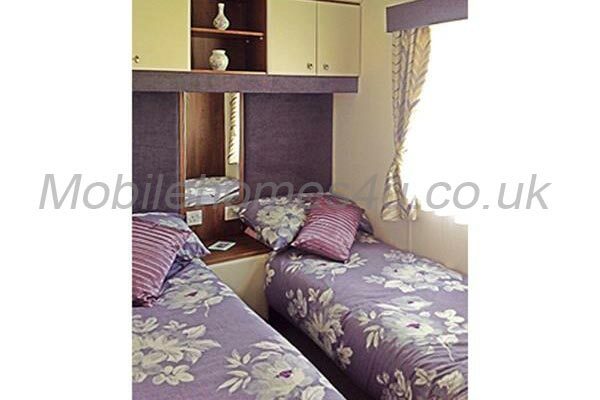 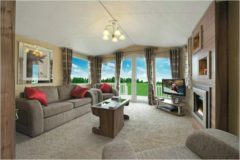 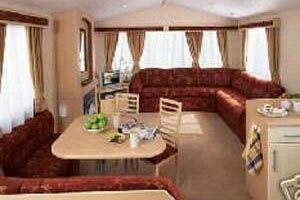 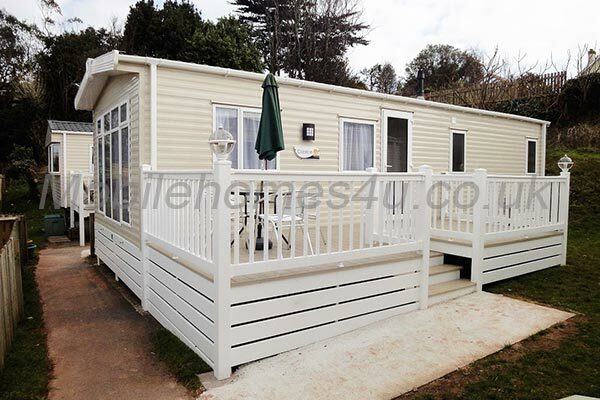 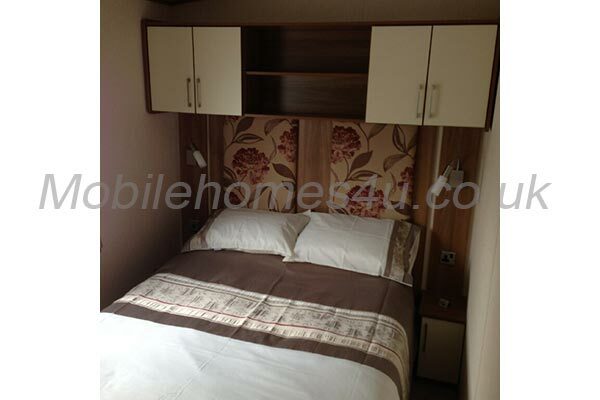 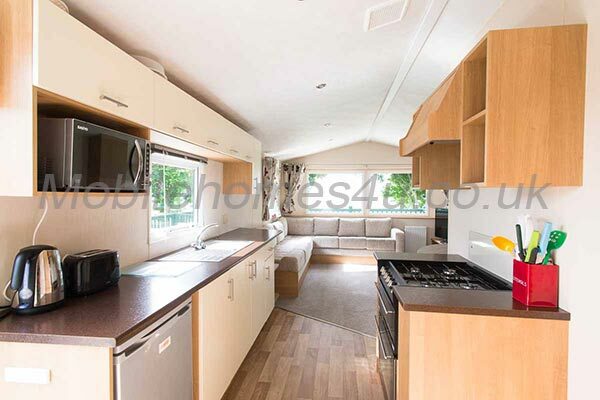 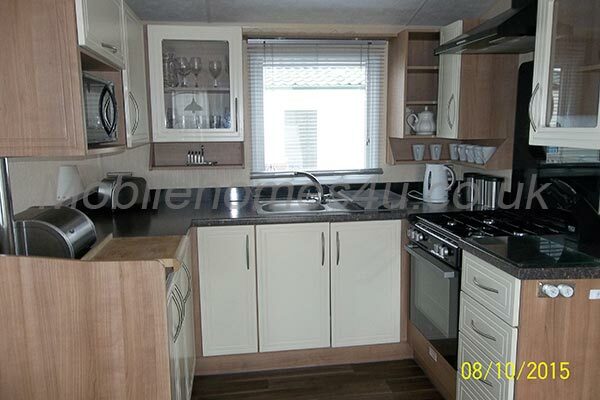 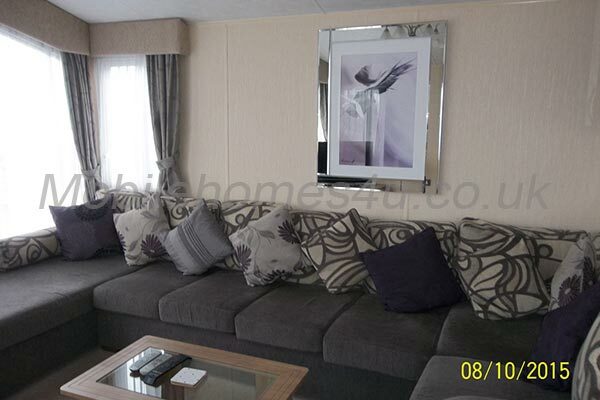 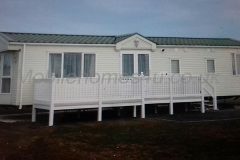 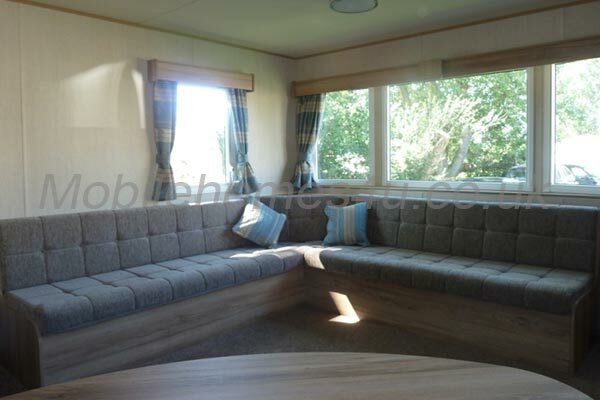 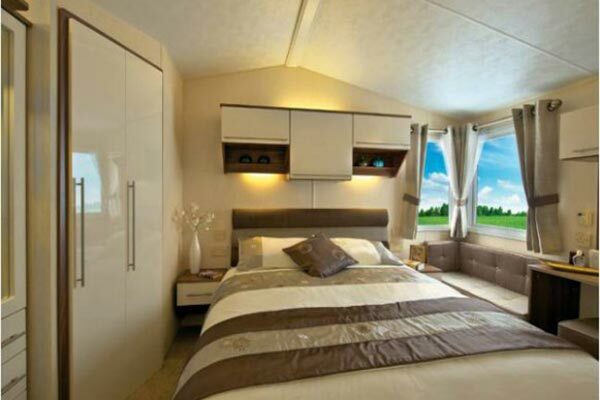 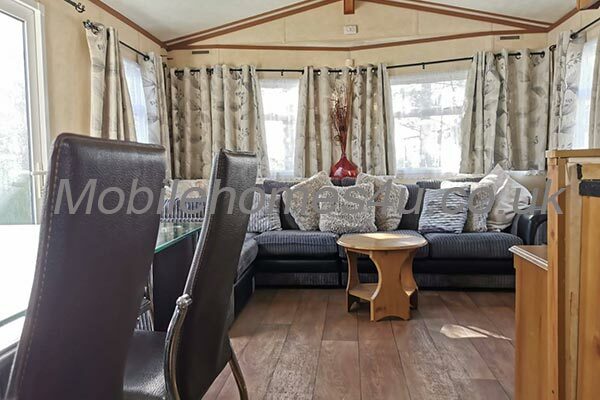 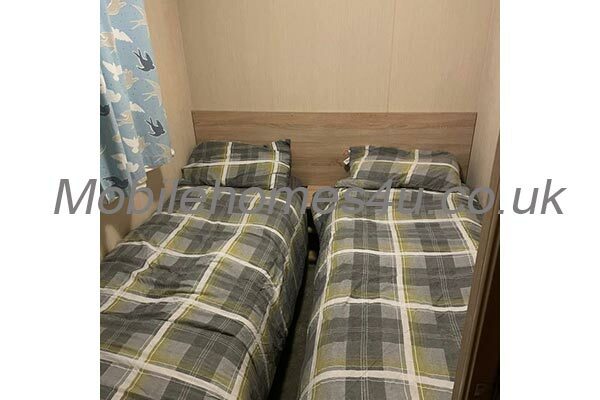 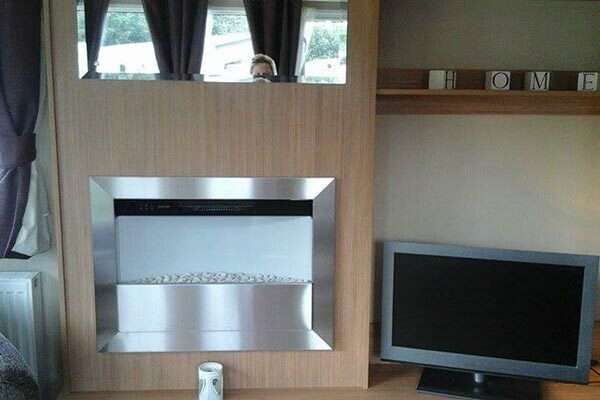 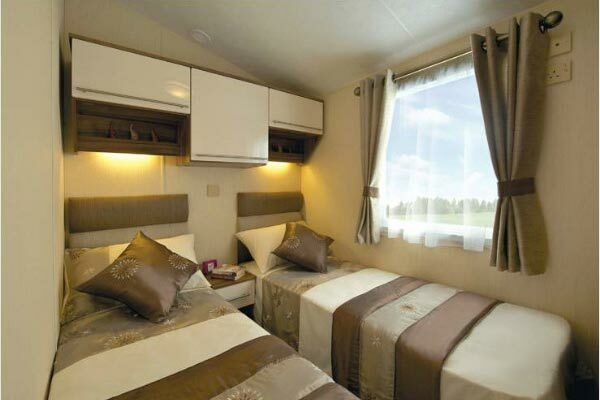 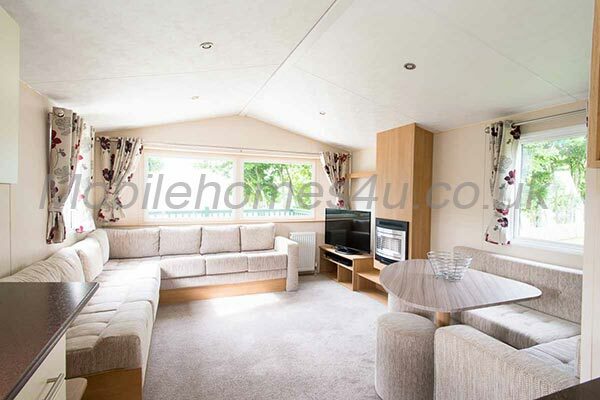 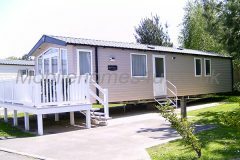 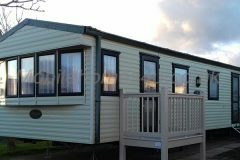 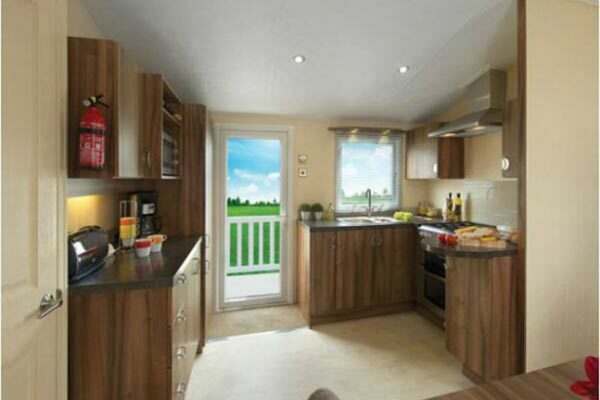 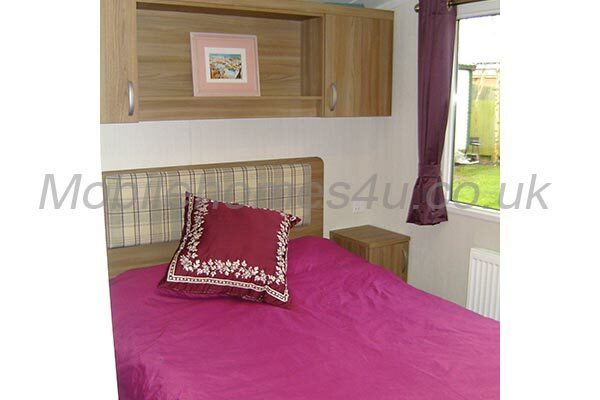 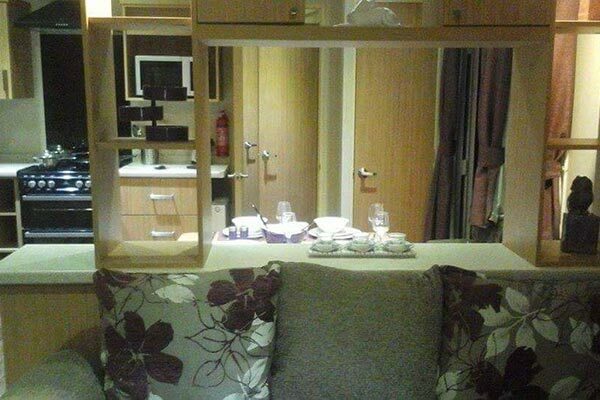 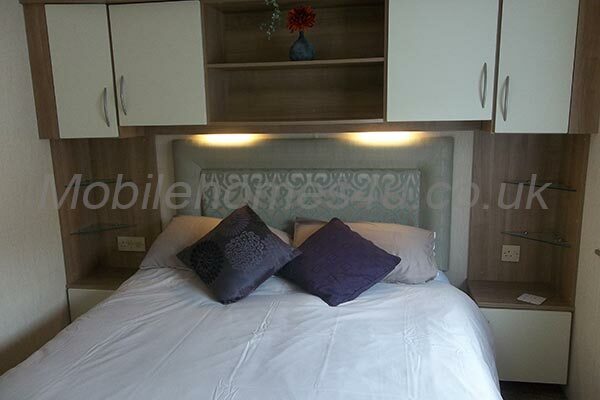 'Platinum Plus' rated luxury static caravan with veranda. 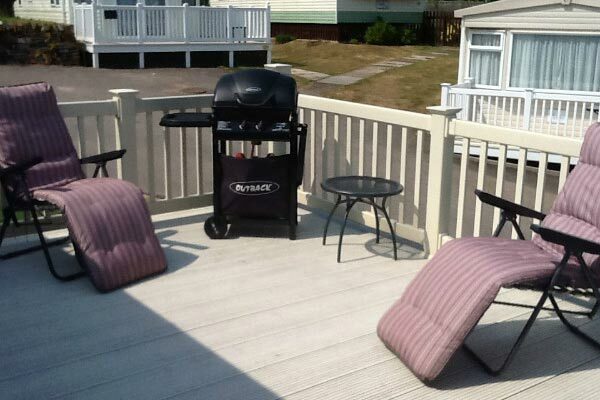 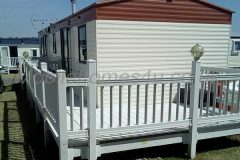 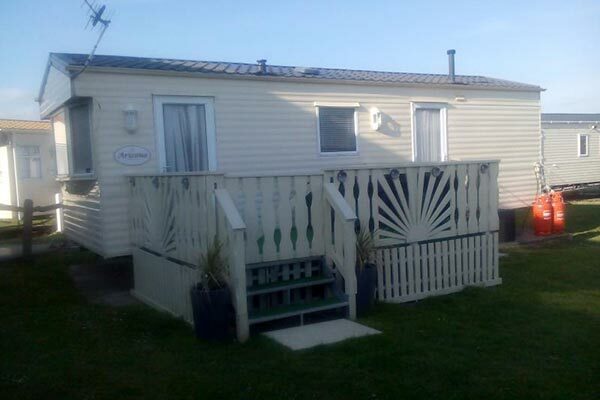 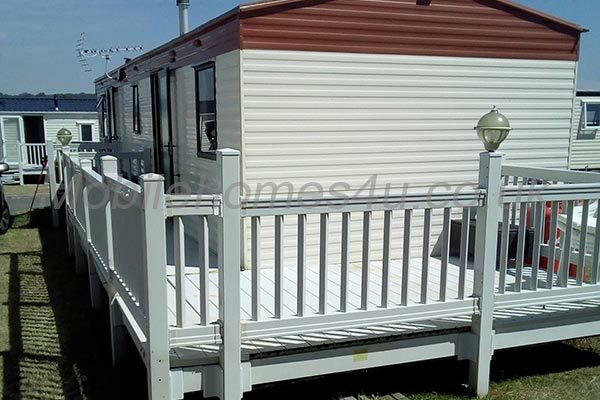 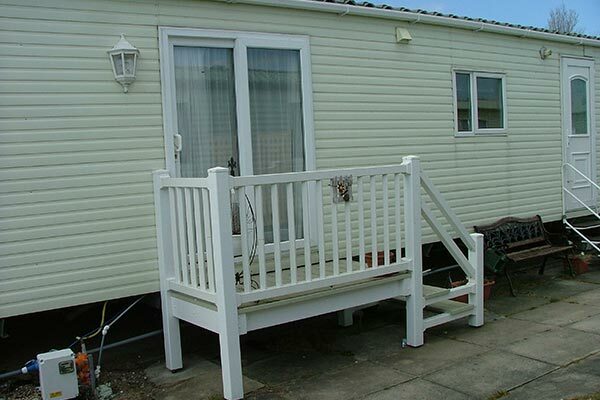 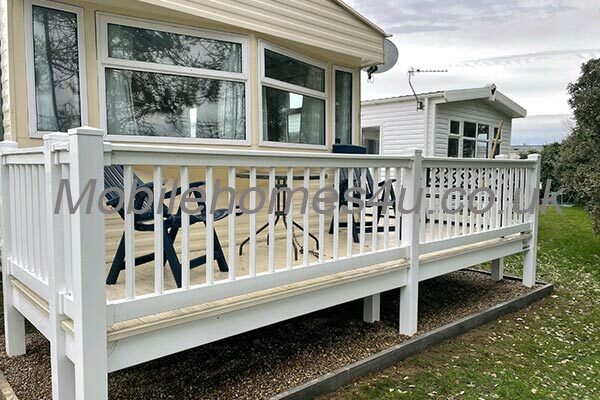 Well equipped static caravan with decking in Heacham Beach. 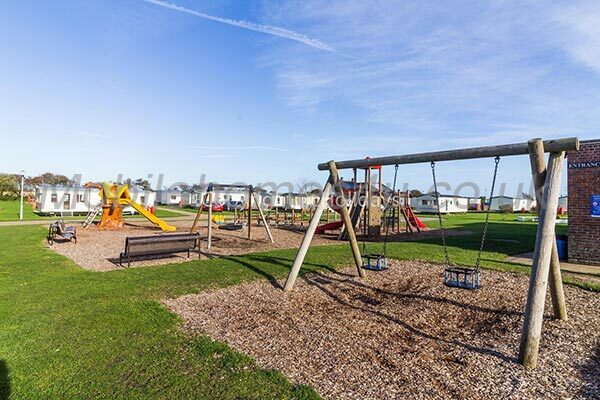 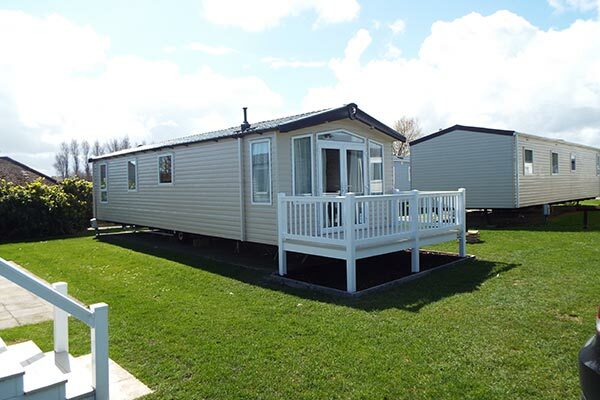 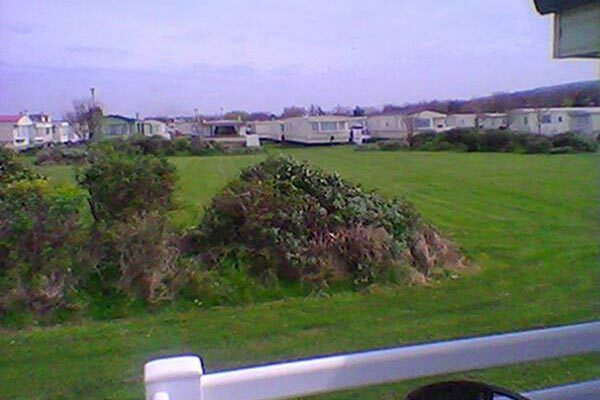 6 berth caravan sited on the beautiful Southview Leisure Park. Luxury lodge with large veranda overlooking Jenny's Lake. 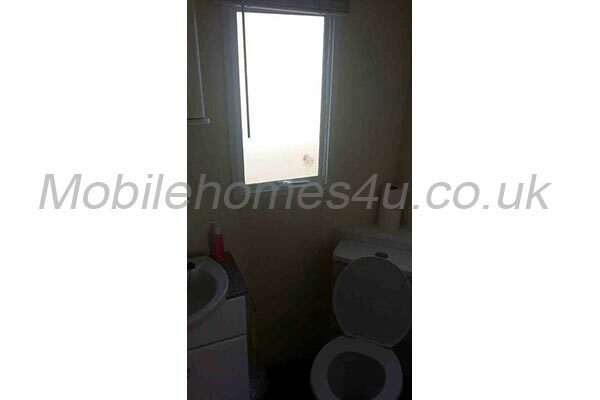 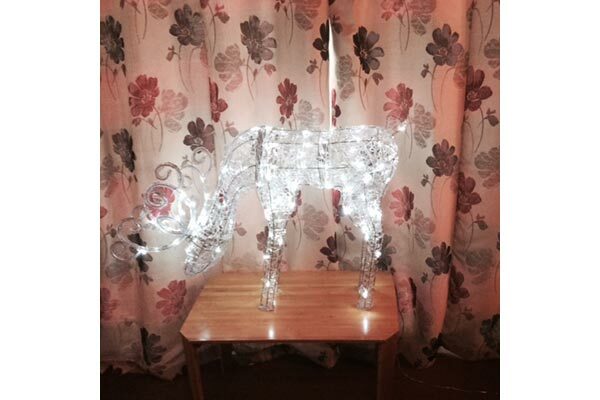 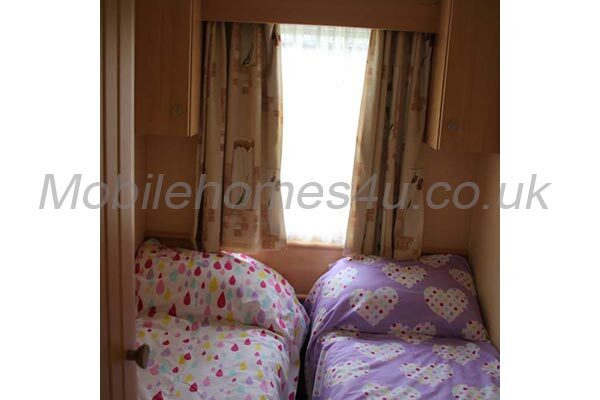 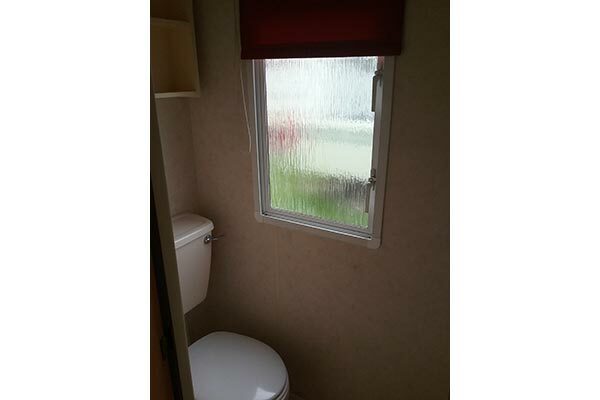 Caravan with double glazing, central heating and lovely views. 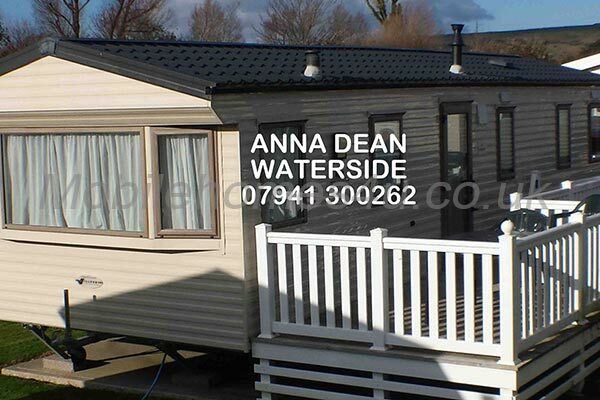 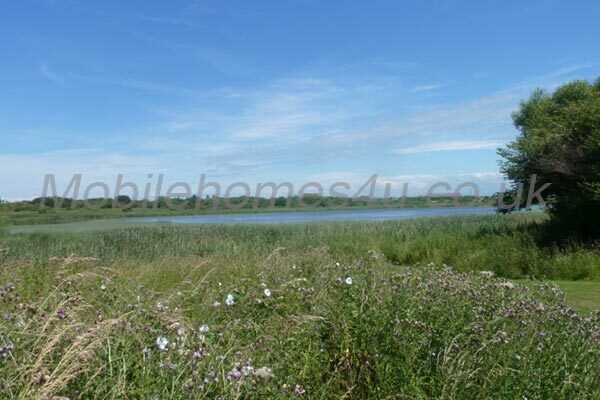 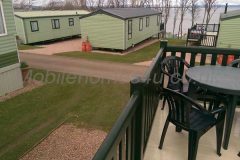 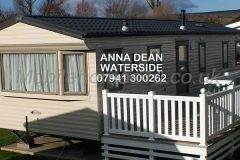 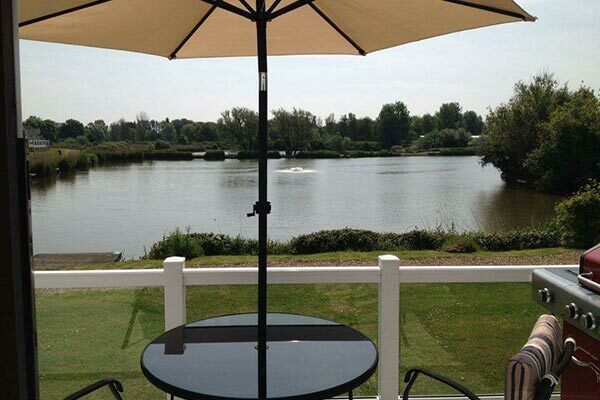 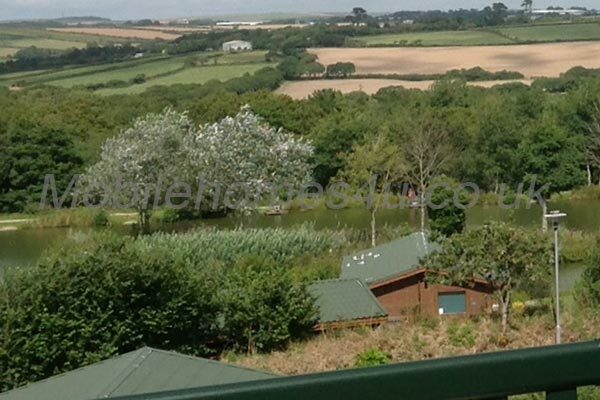 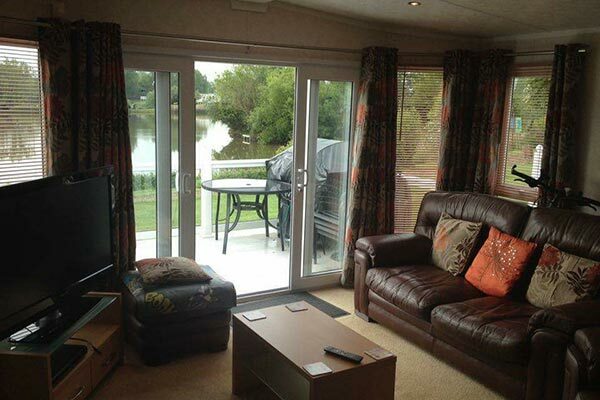 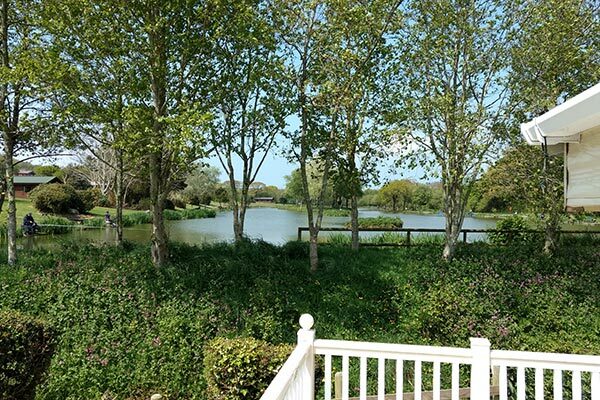 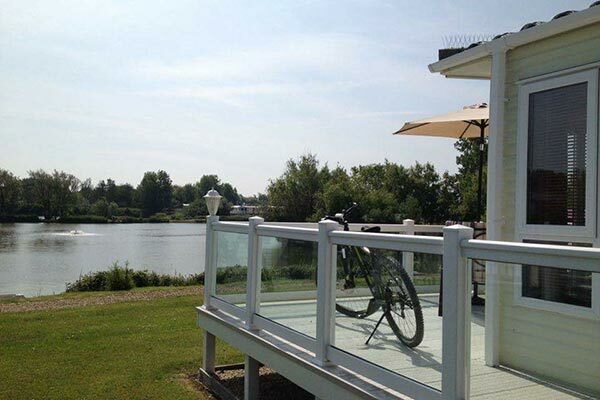 Top of the range static caravan with fantastic lake views. 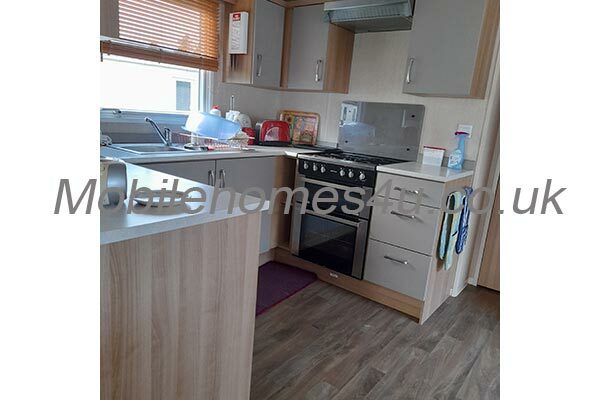 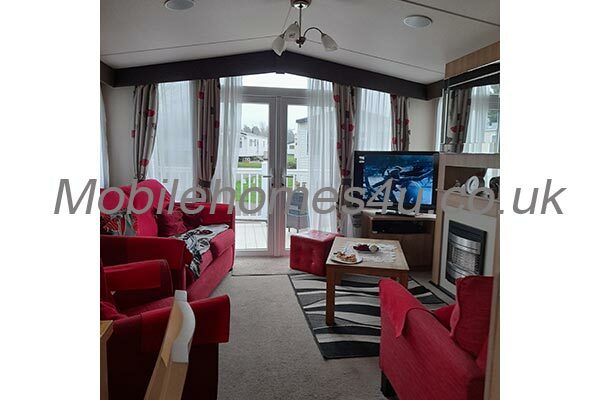 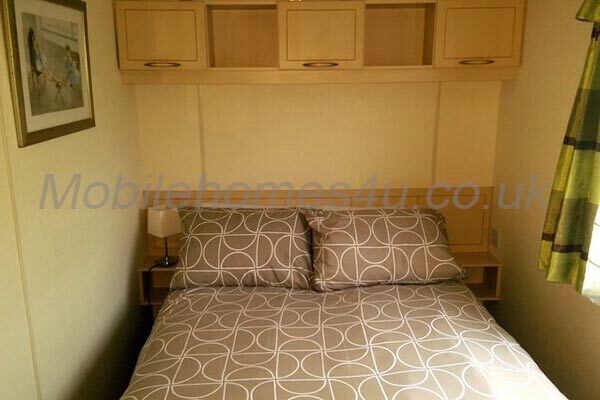 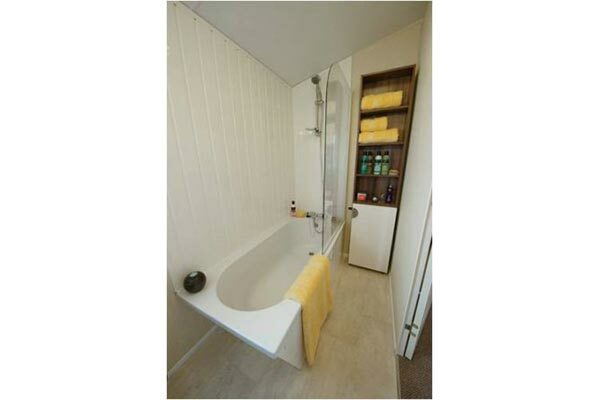 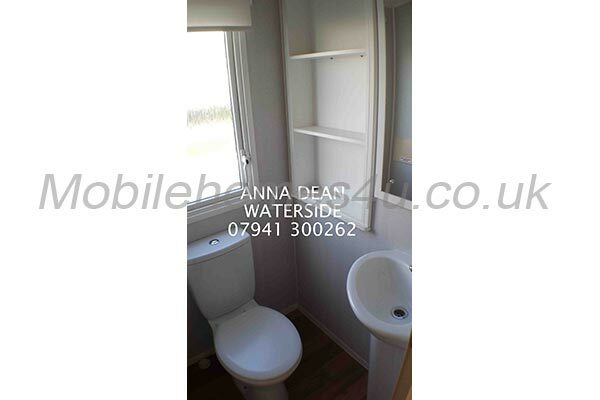 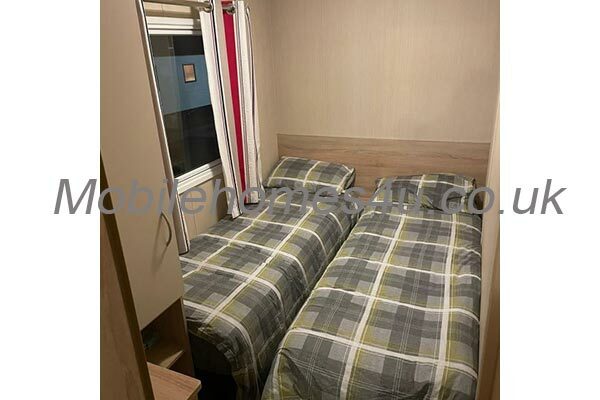 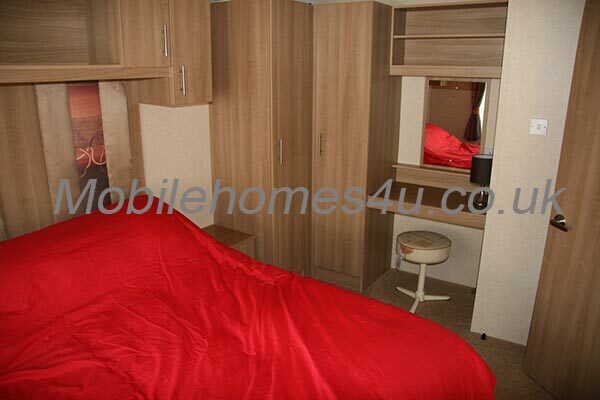 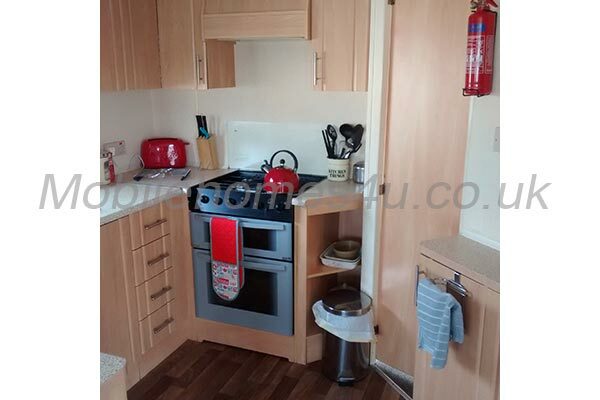 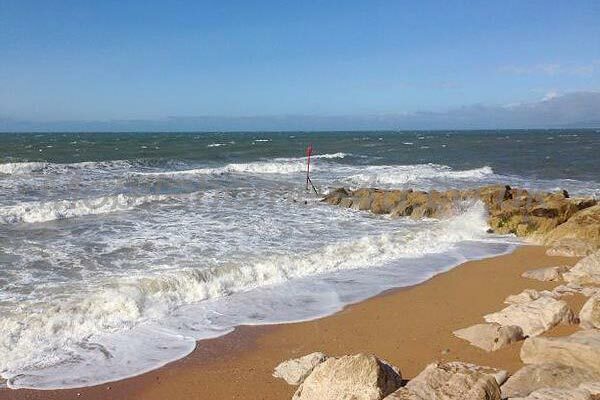 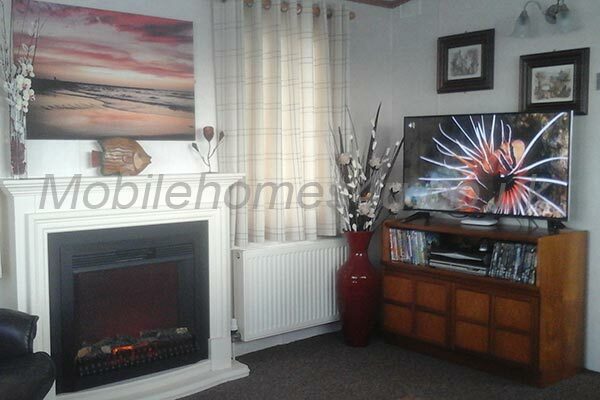 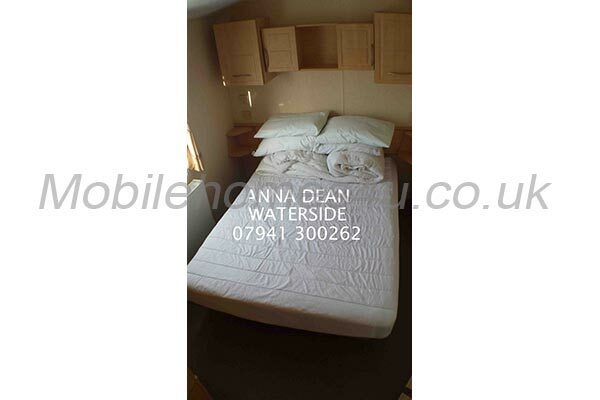 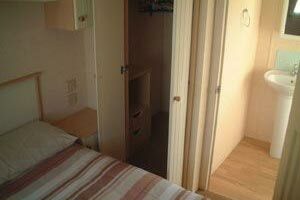 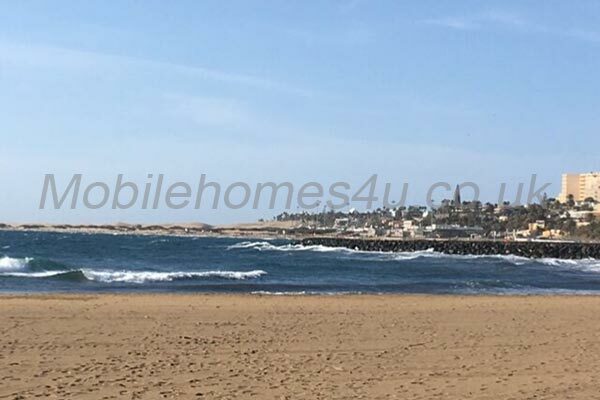 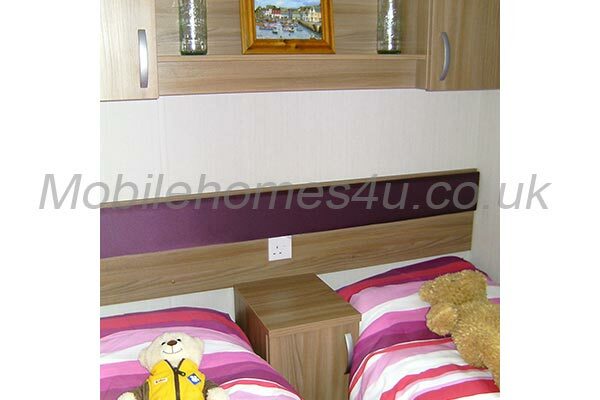 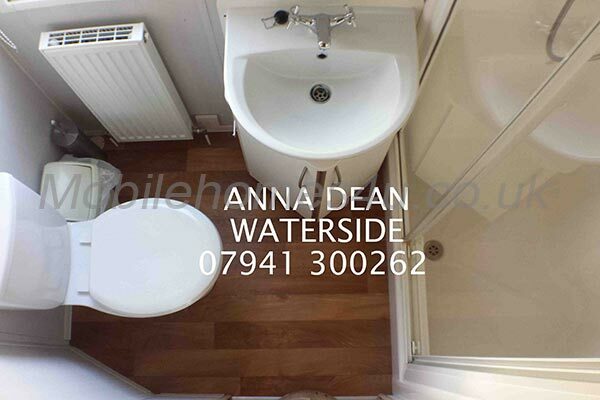 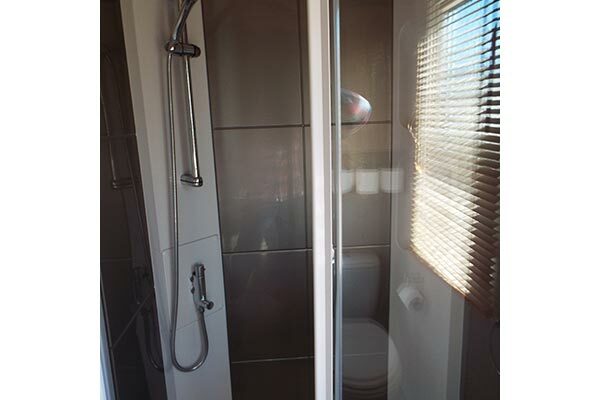 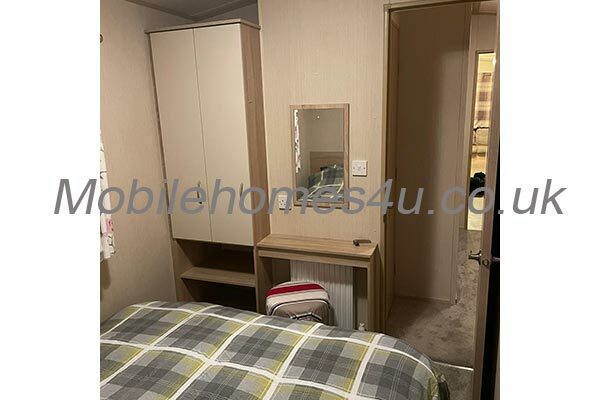 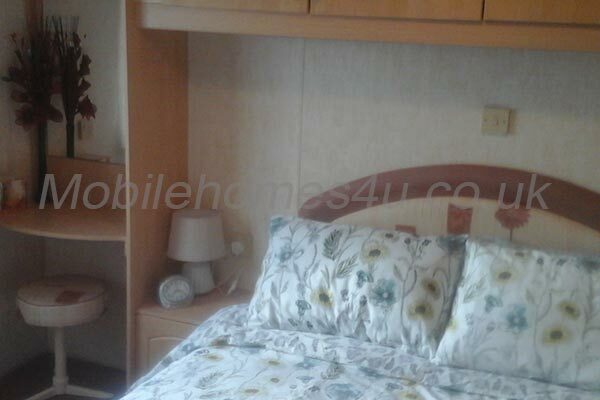 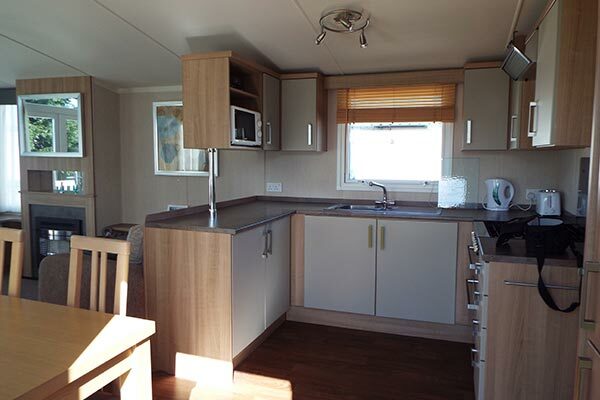 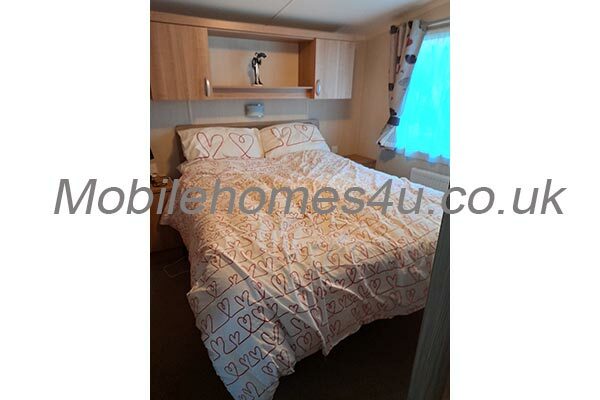 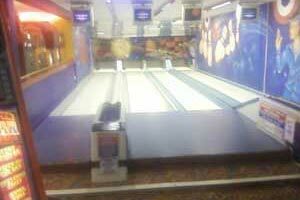 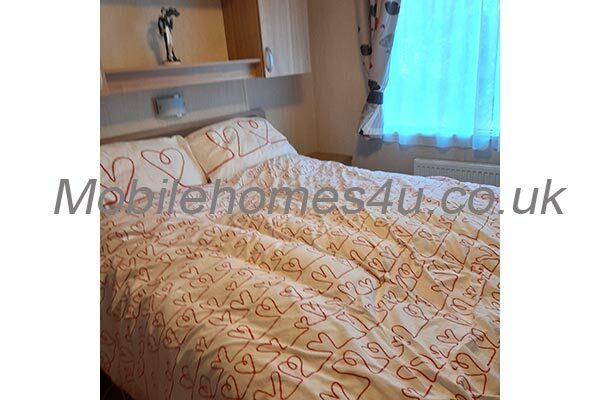 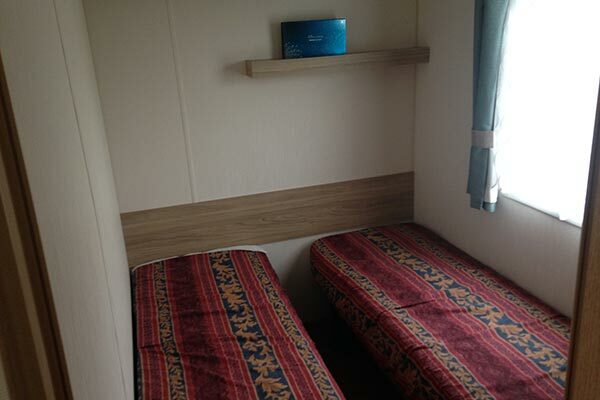 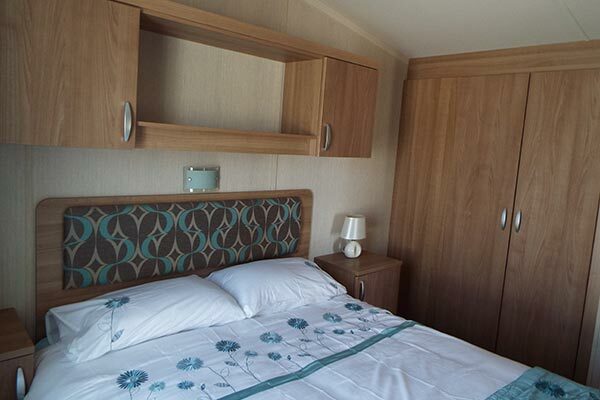 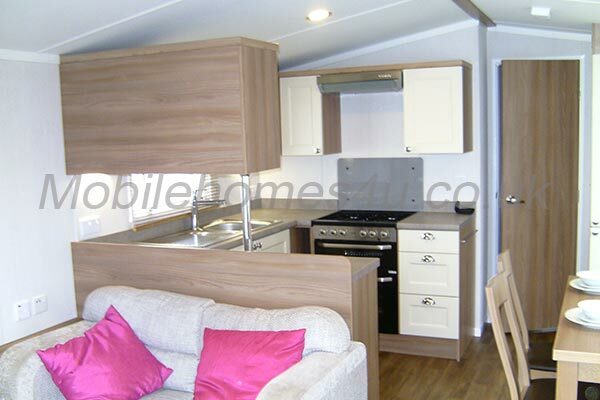 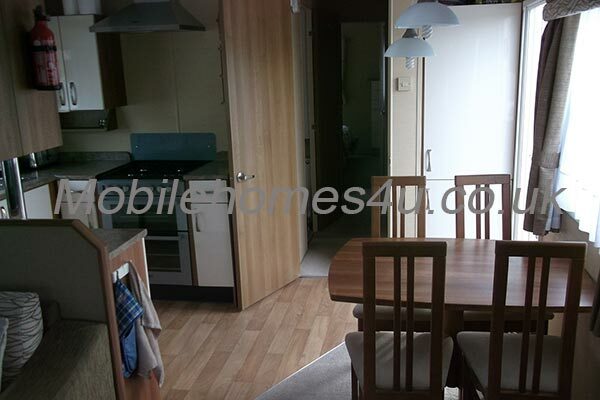 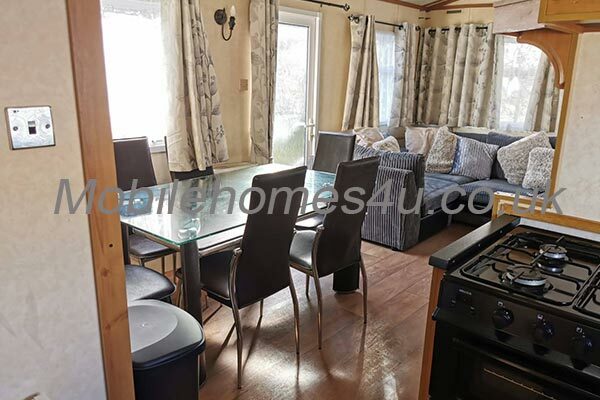 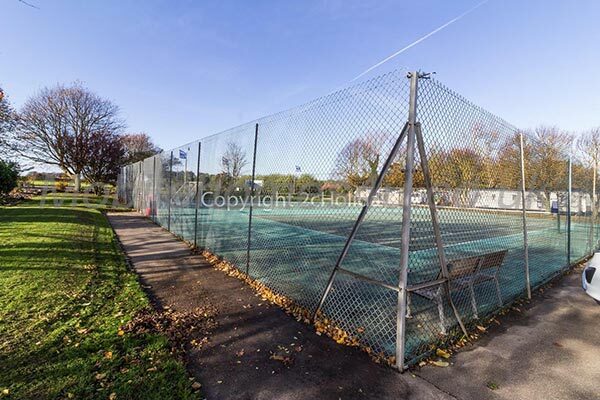 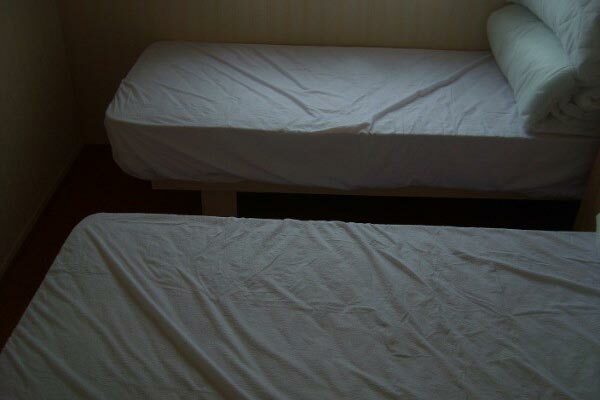 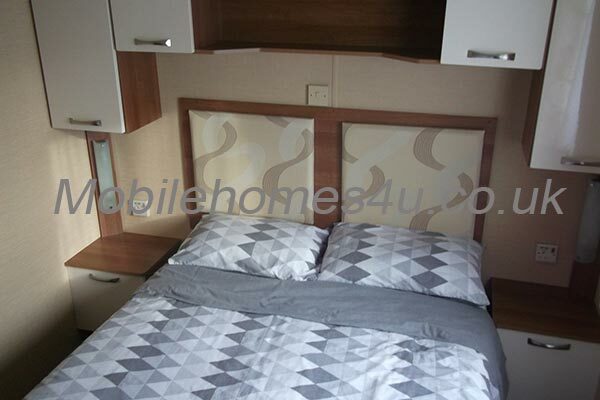 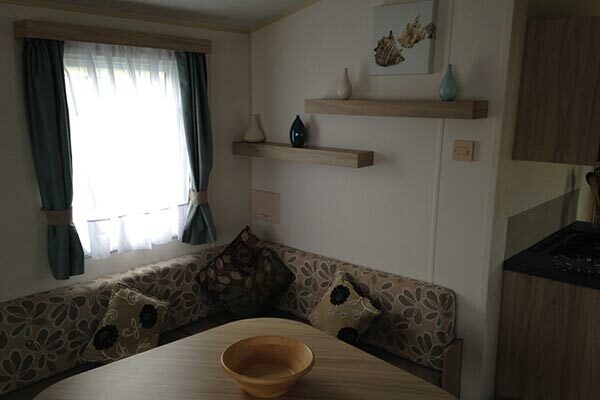 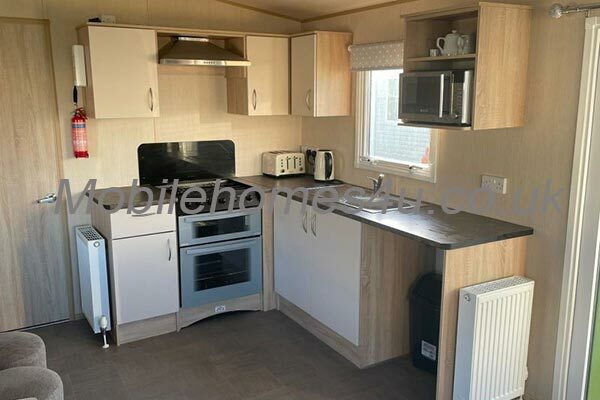 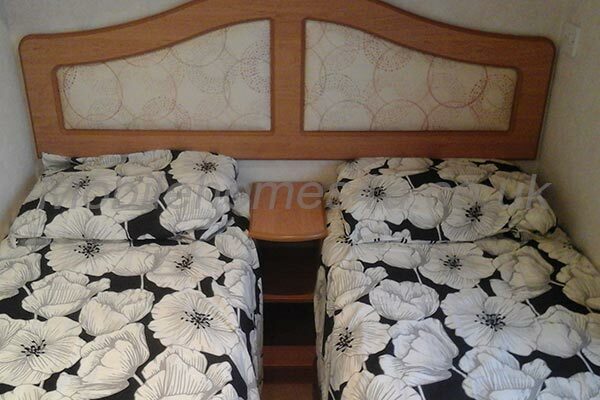 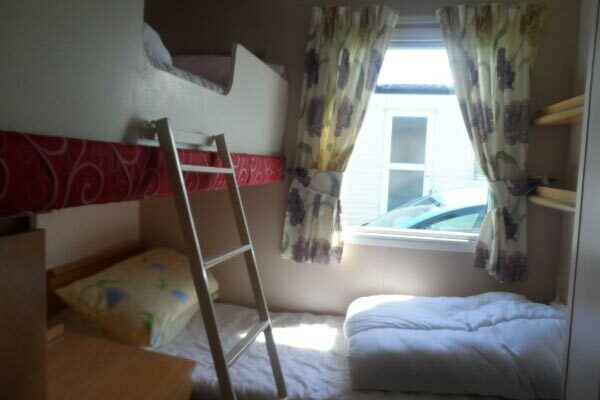 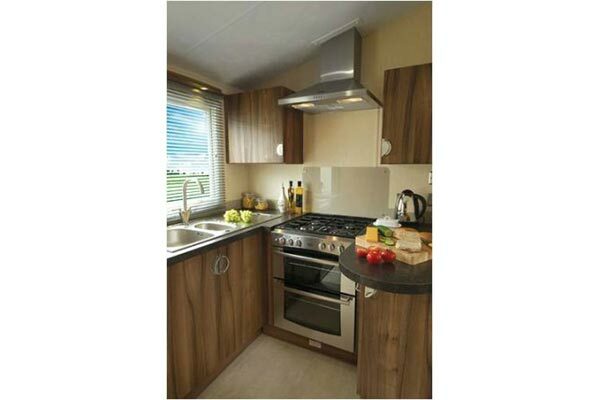 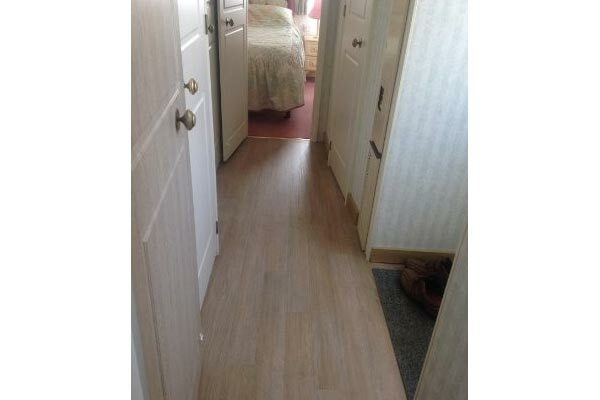 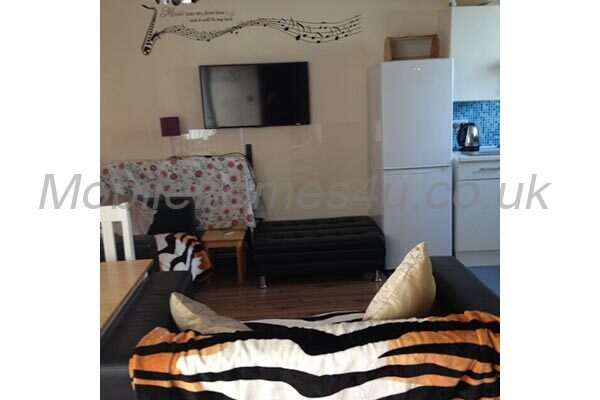 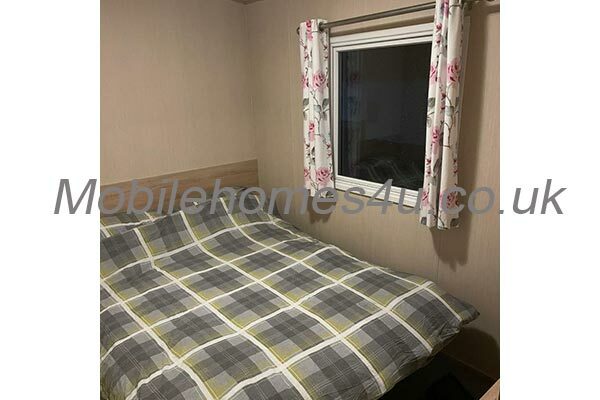 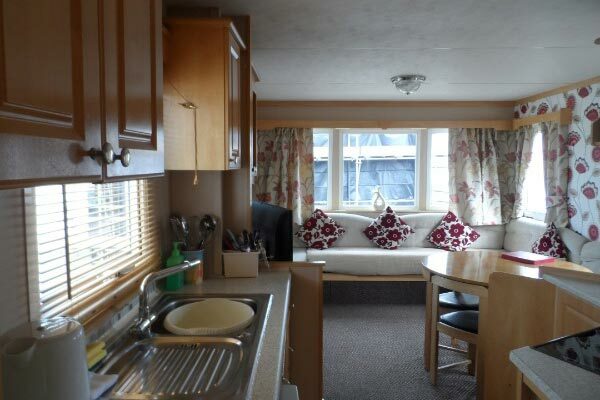 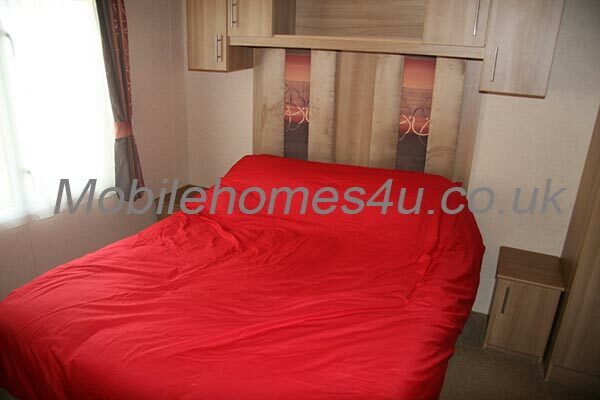 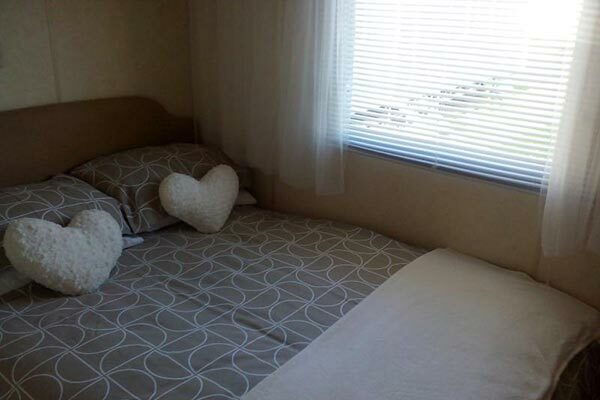 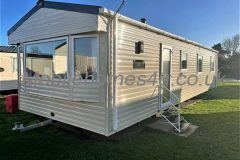 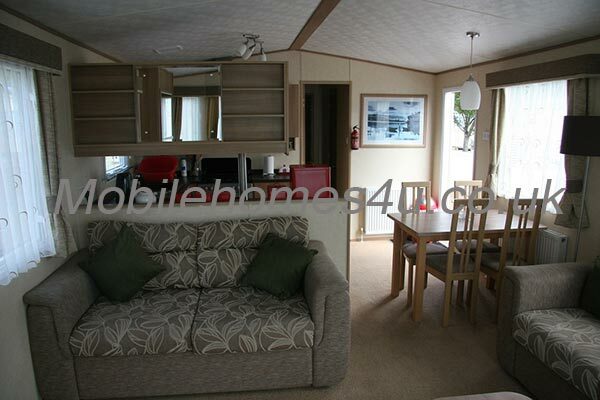 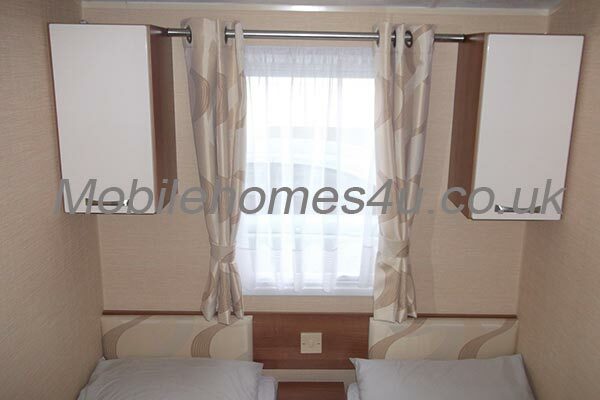 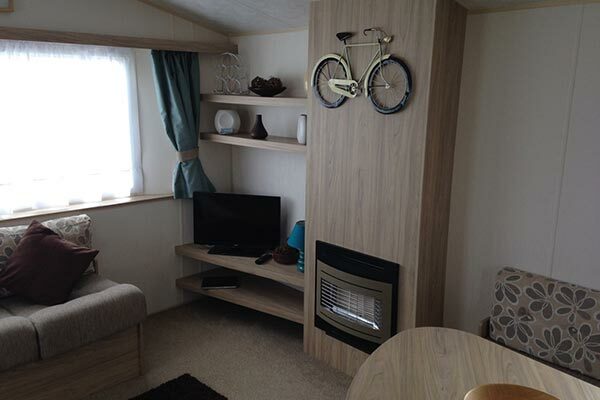 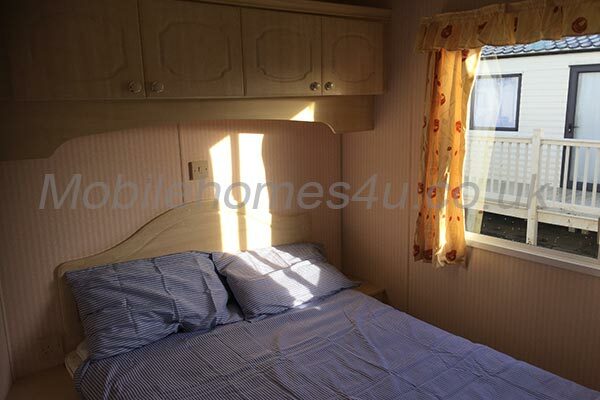 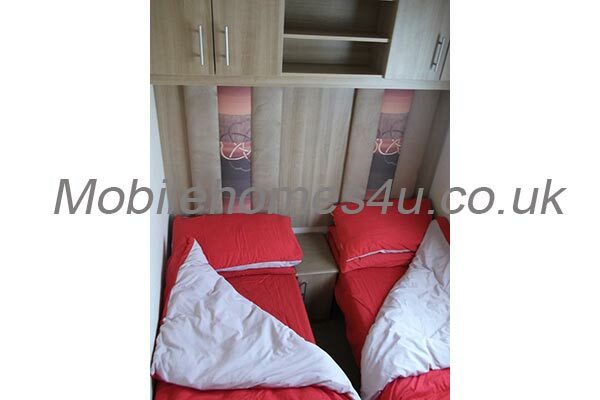 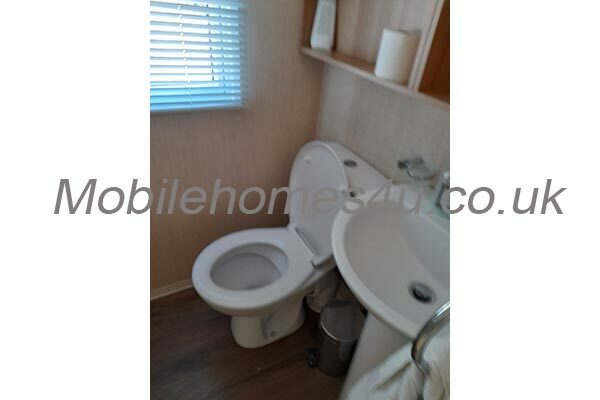 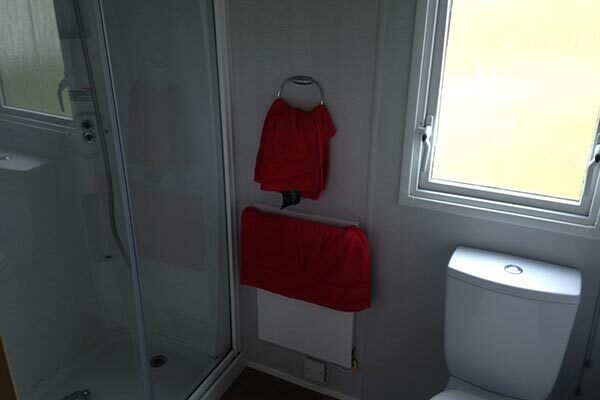 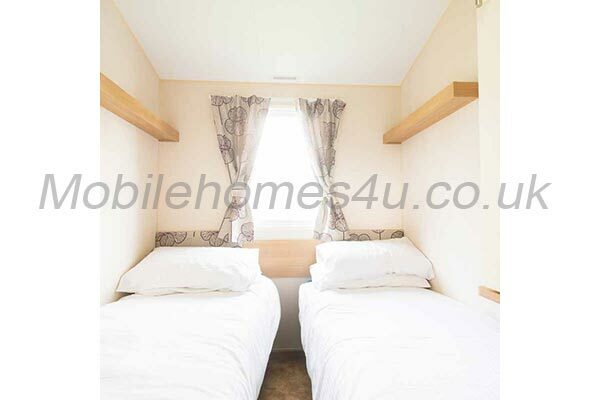 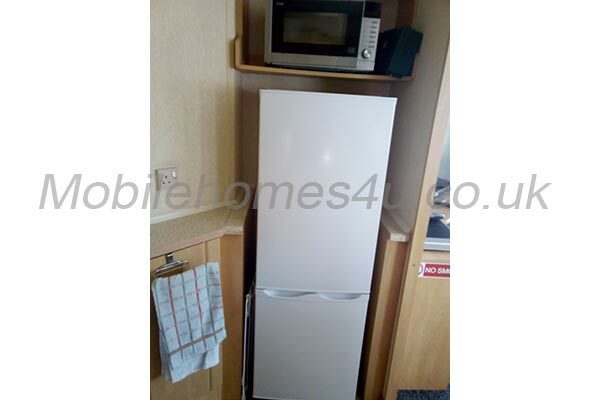 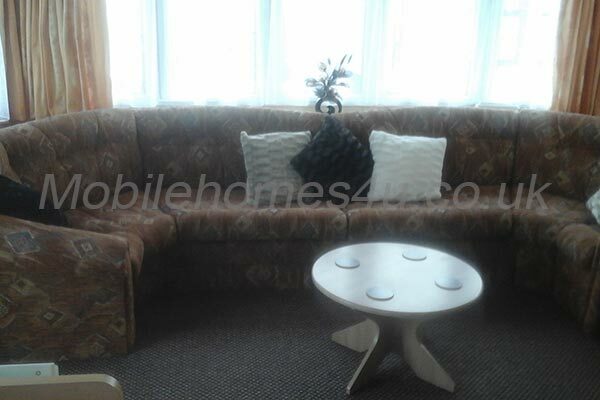 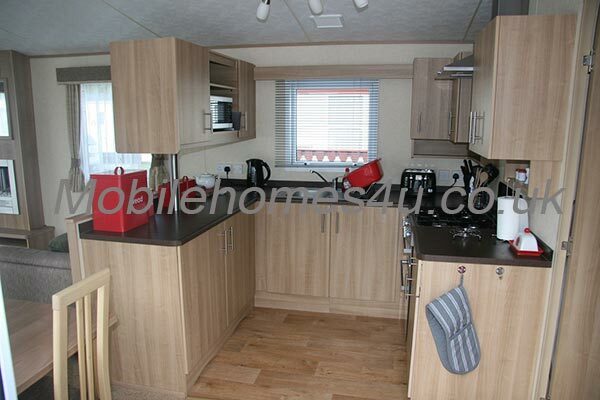 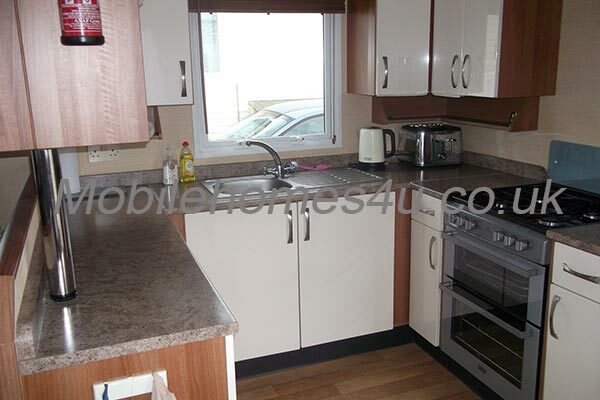 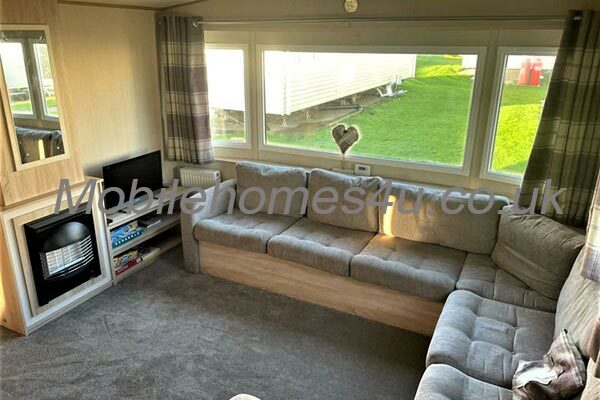 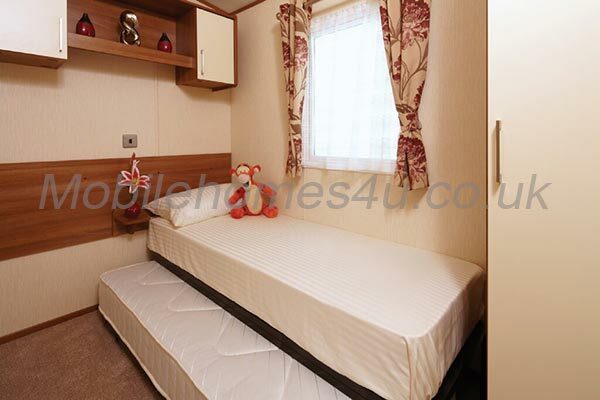 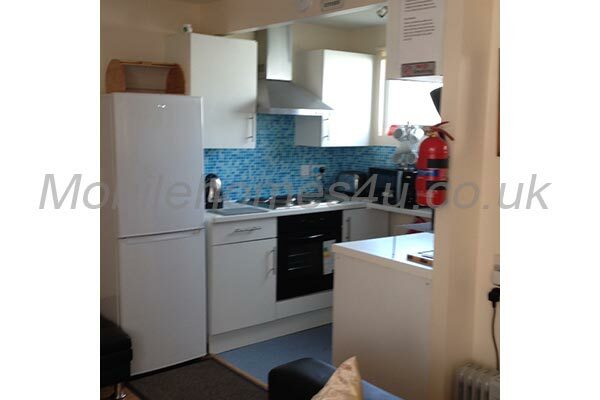 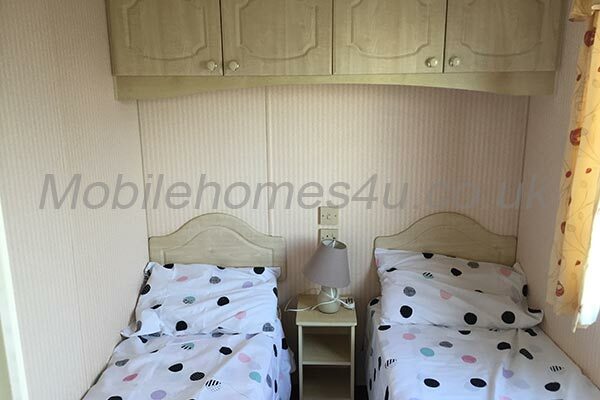 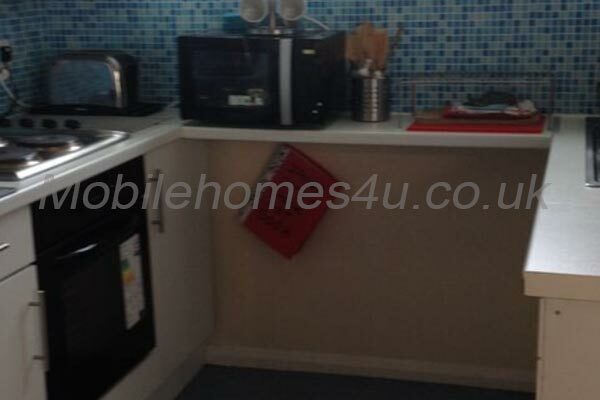 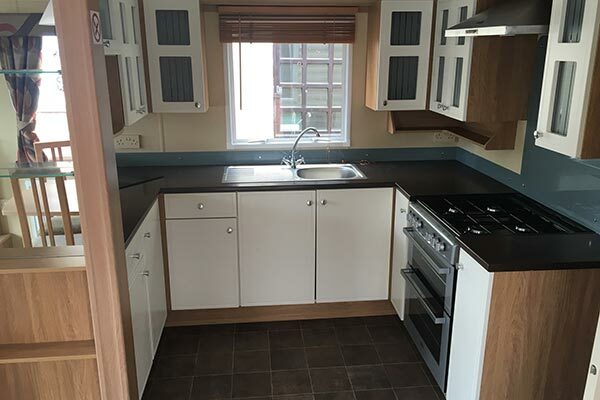 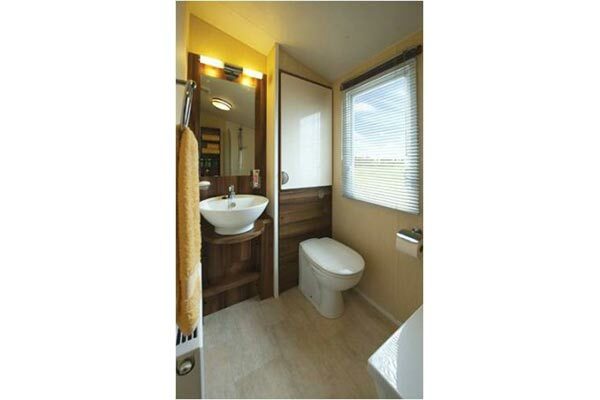 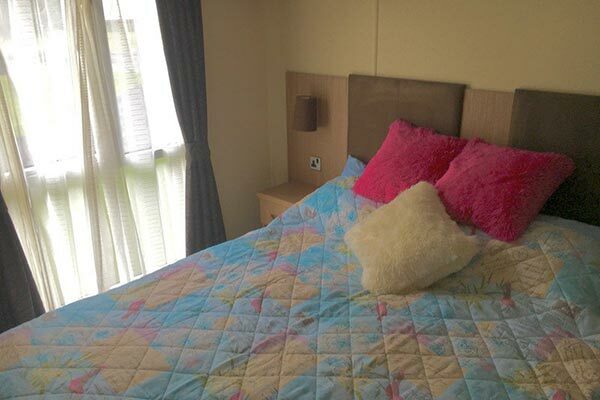 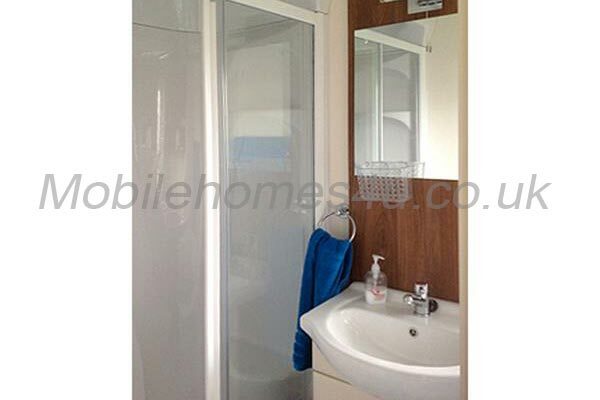 Newly modernised static caravan in good location close to beach. 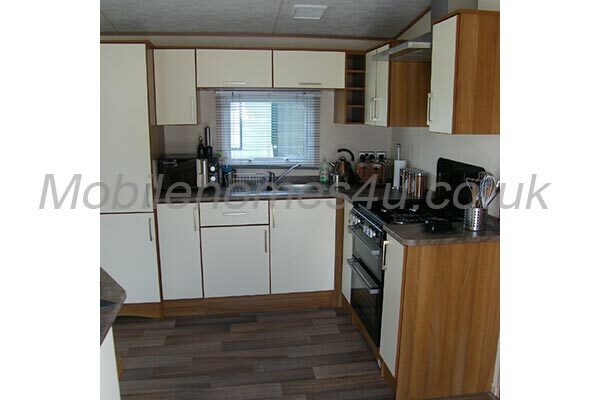 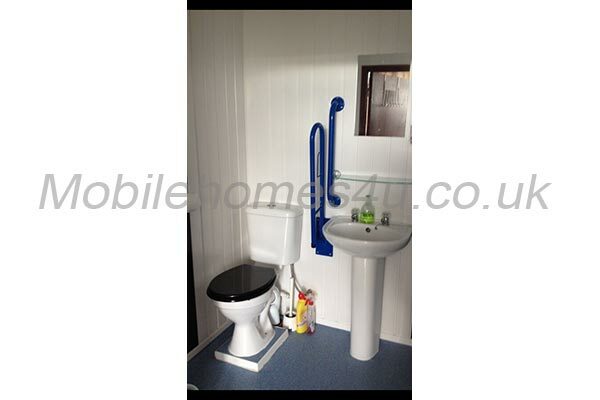 Static caravan with double glazing, central heating and veranda. 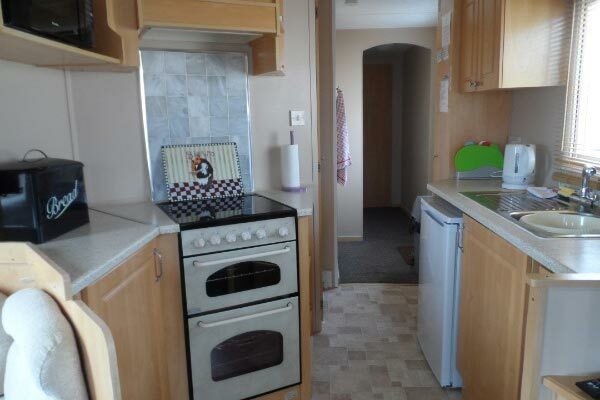 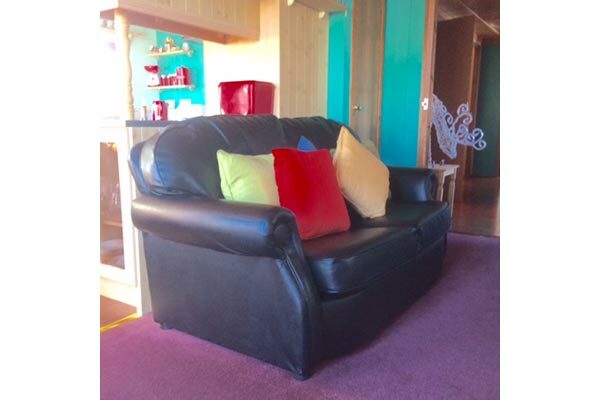 Spacious caravan with heating and double glazing. 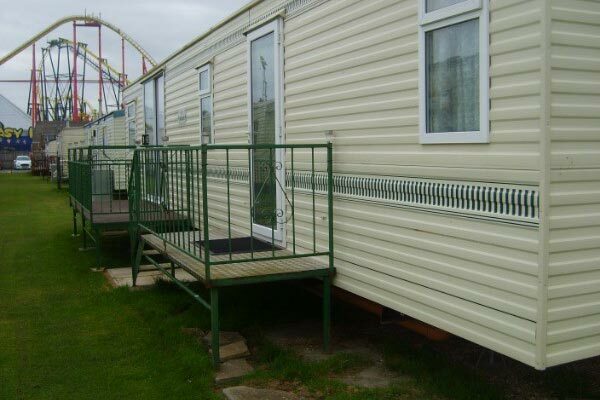 Static caravan at Manor Park close to the beach. 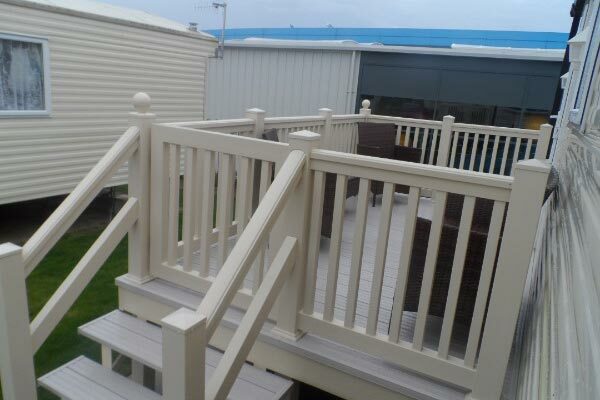 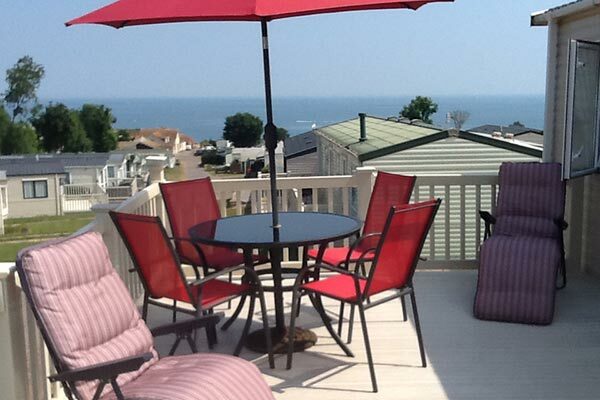 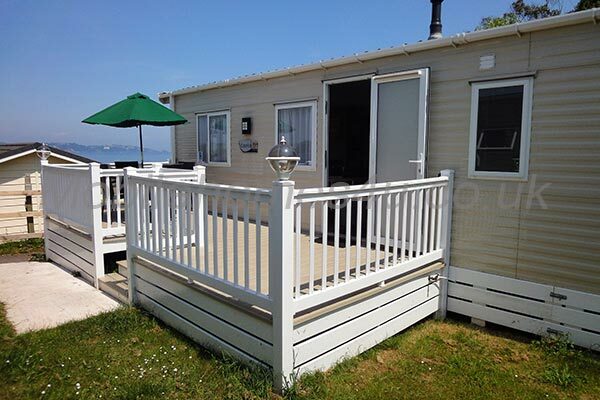 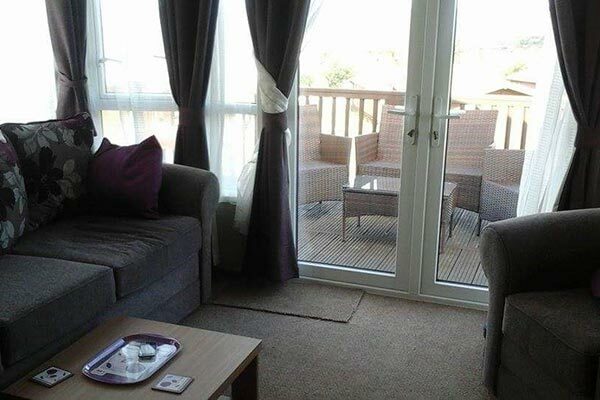 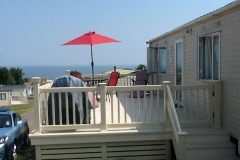 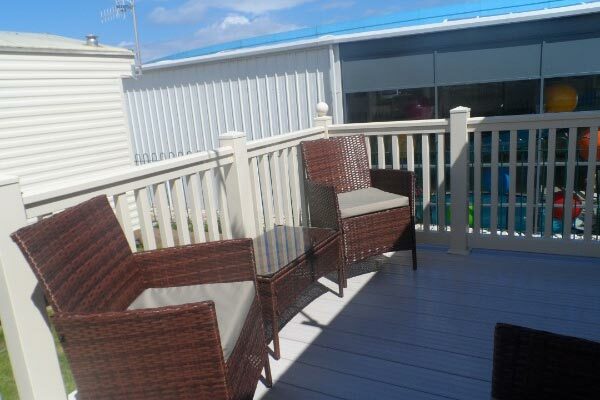 Platinum holiday home with decking and stunning sea views. 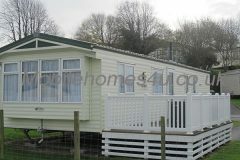 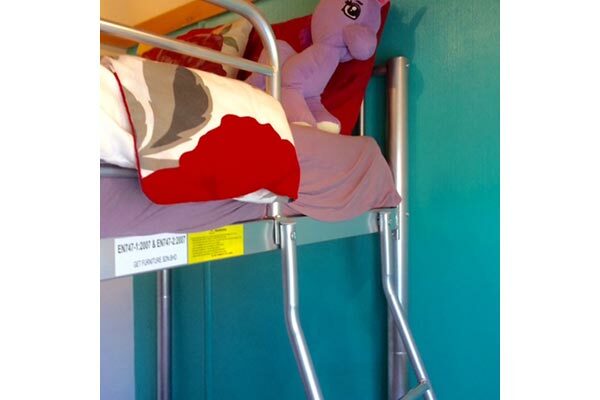 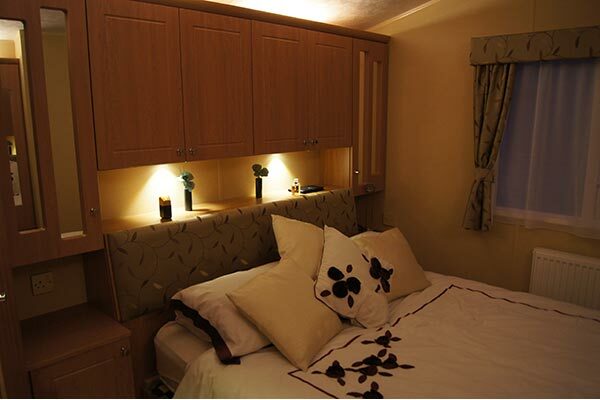 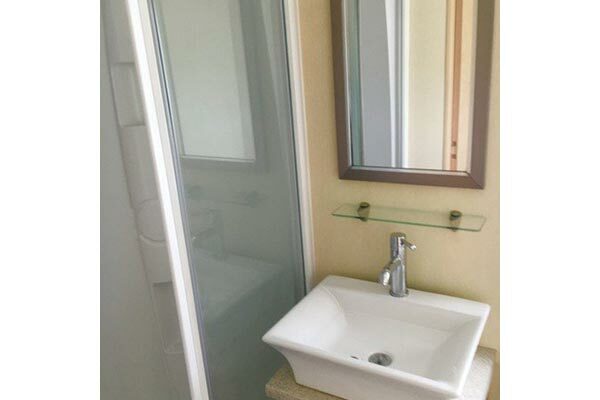 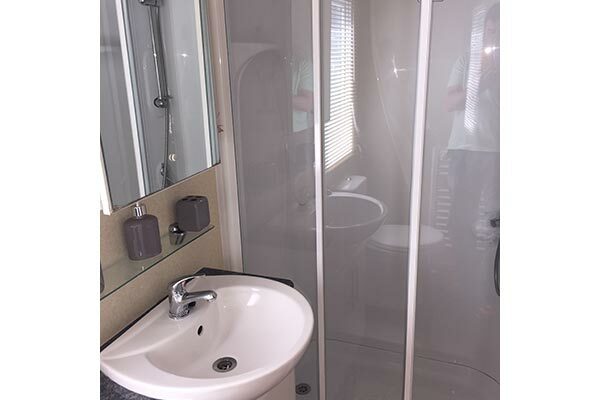 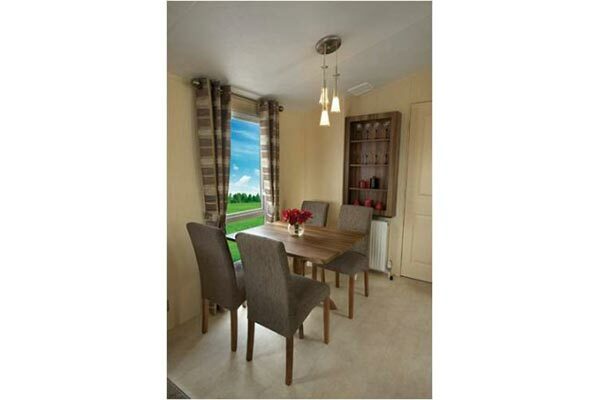 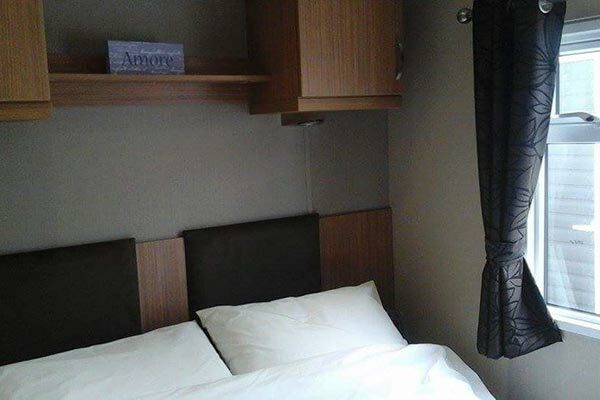 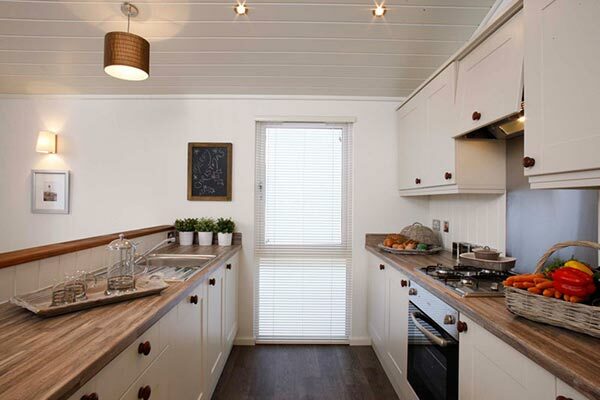 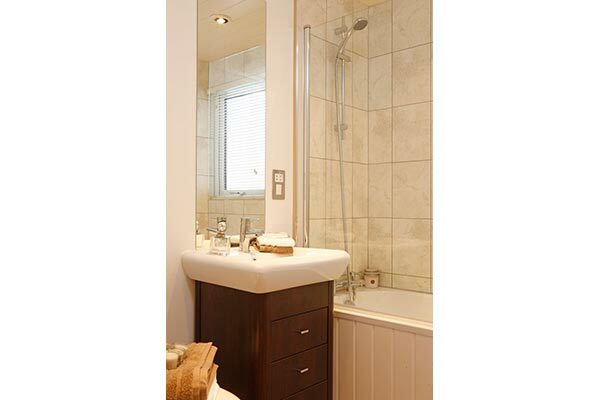 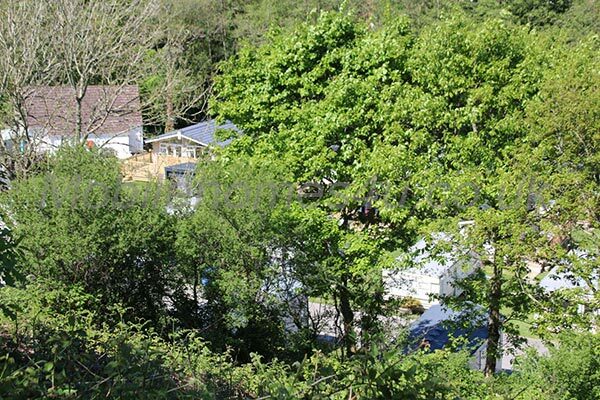 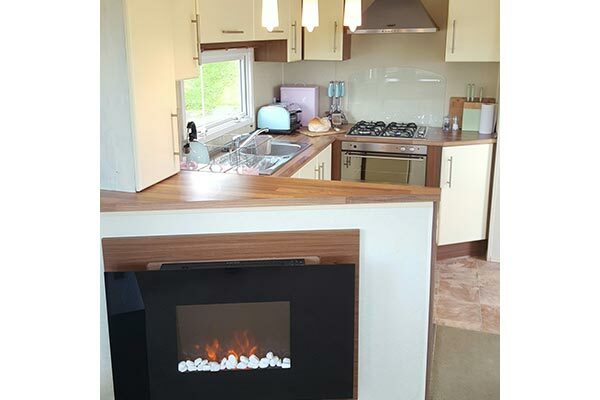 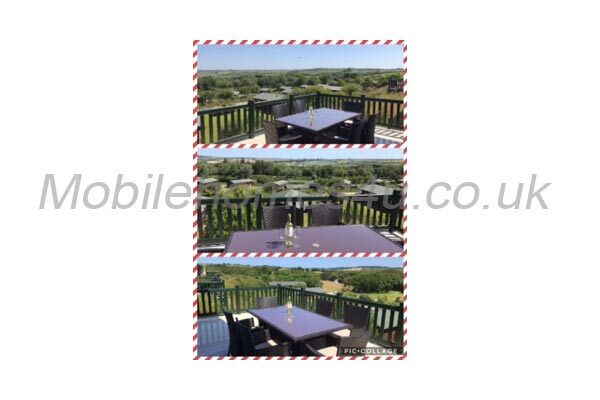 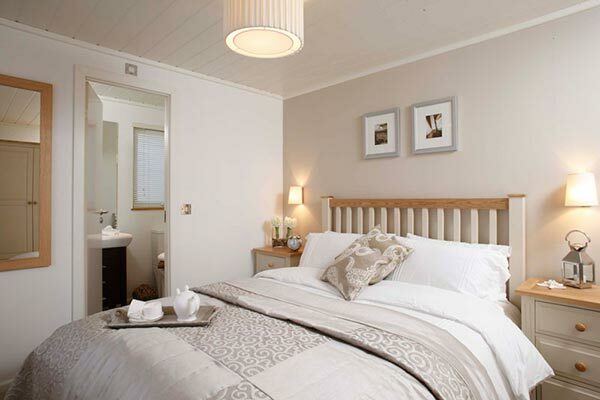 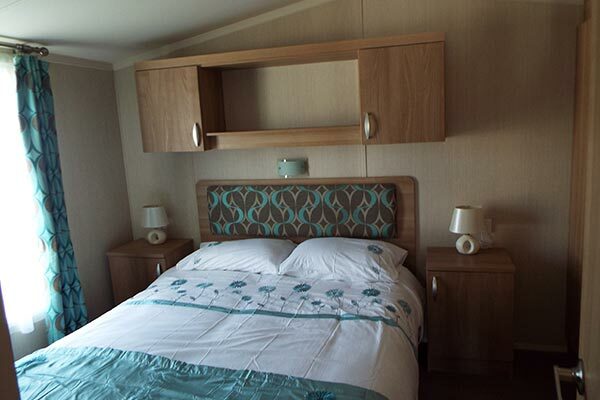 Almost new luxury caravan situated on a secluded, level position. 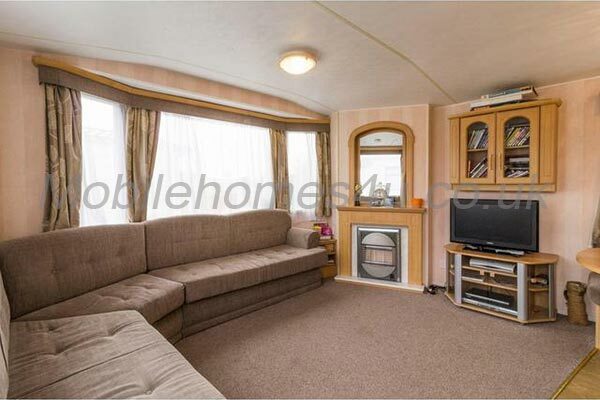 Spacious centrally heated caravan with own garden. 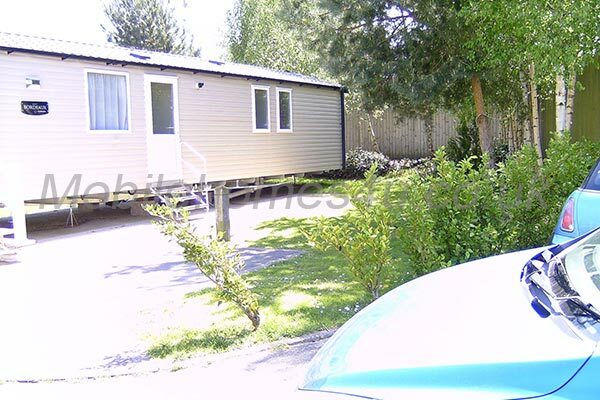 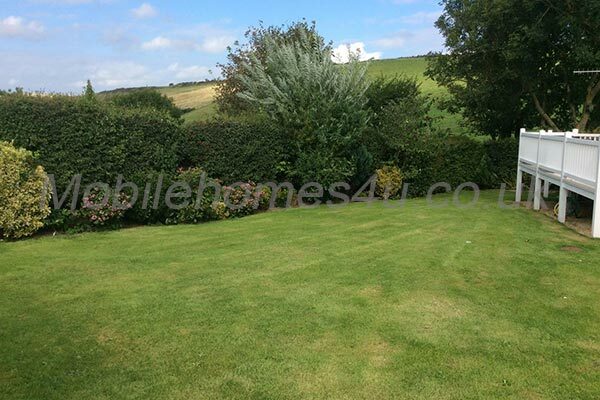 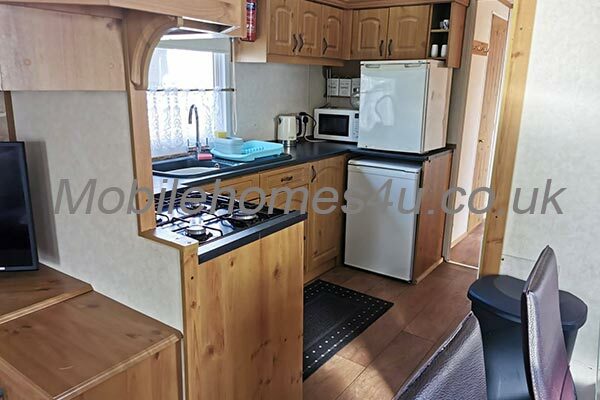 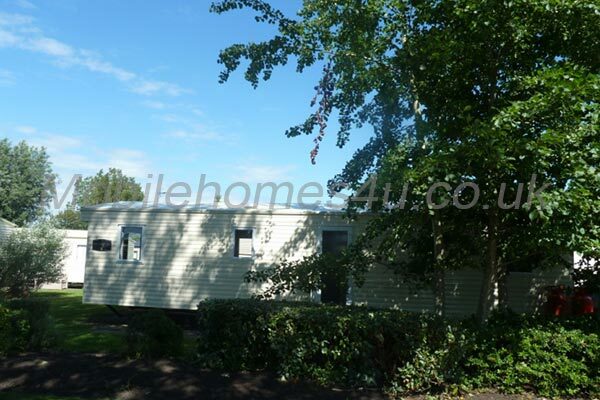 Immaculate well equipped caravan in a great location. 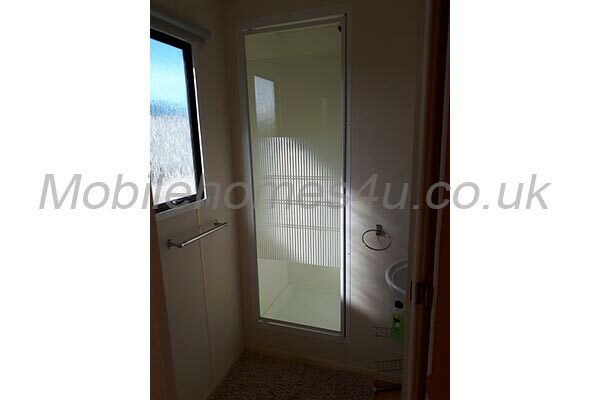 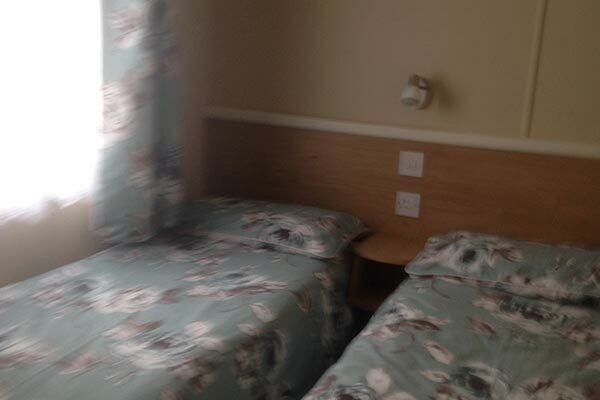 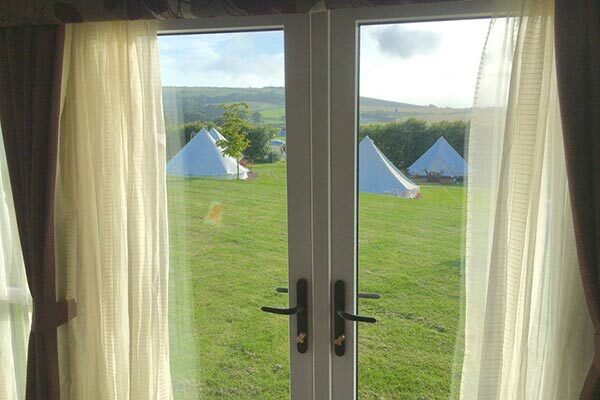 Double glazed static caravan just 5 minutes walk from the beach. 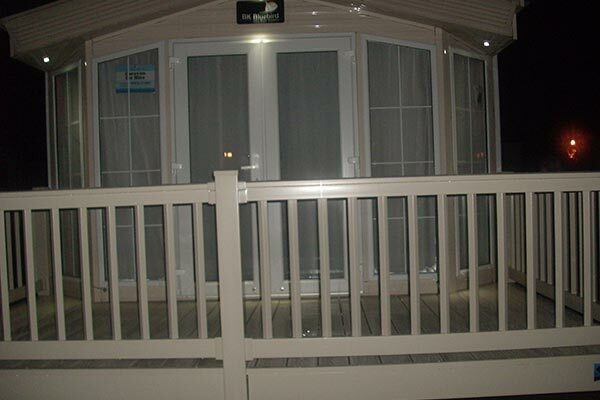 Double glazed caravan with decking near Bowleaze sea front.